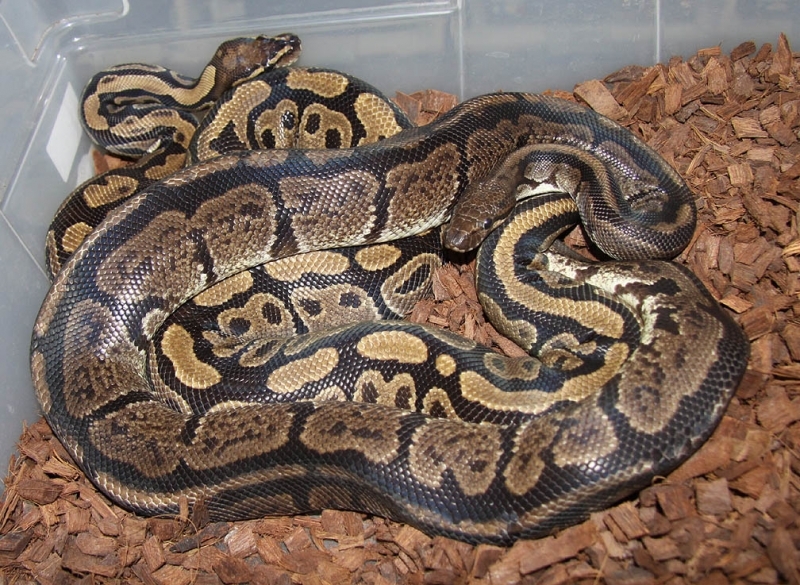 Description: Lesser Het Caramel 1/09 x Het Caramel 4/06. 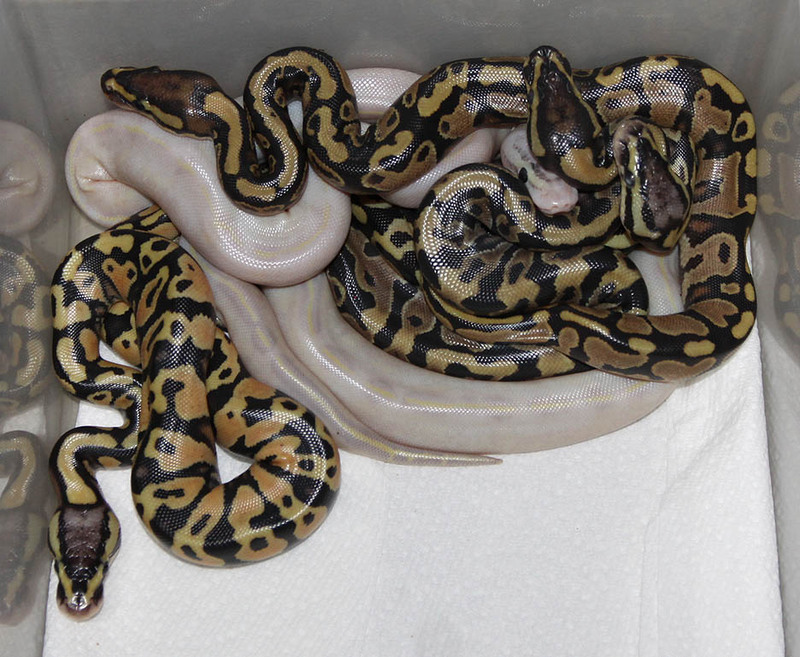 Description: Super Pastel Champagne PHOG 3/11 x Pastel Het Orange Ghost 14/06. 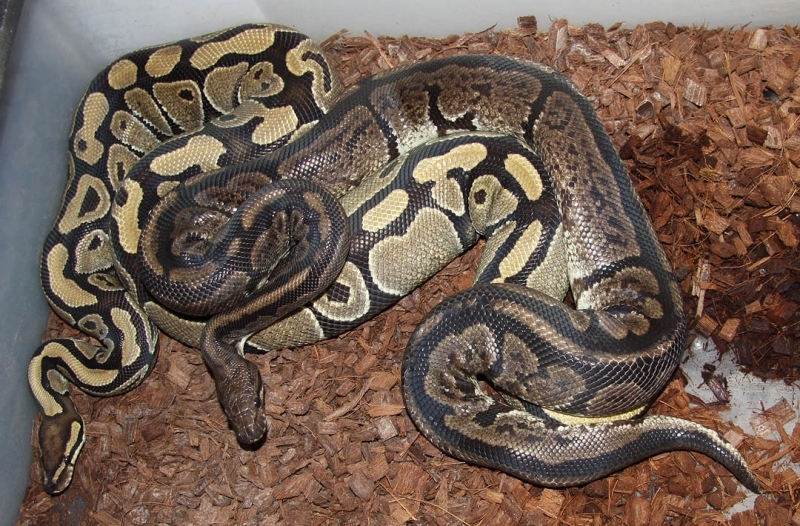 Description: Pastel Het RA Yellow Belly 1/10 x Het RA 26/06. 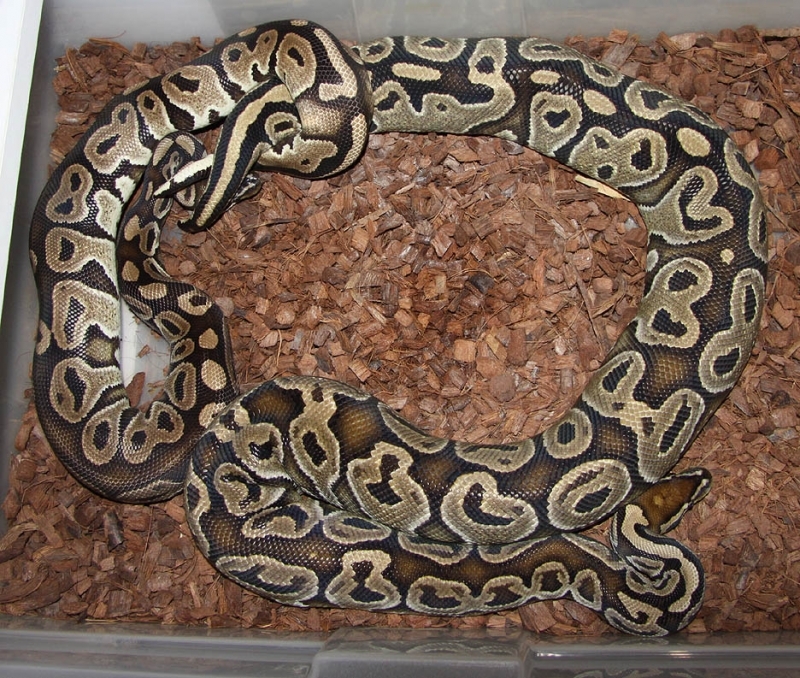 Description: Split Neck 1/06 x Het Split Neck 7/11. 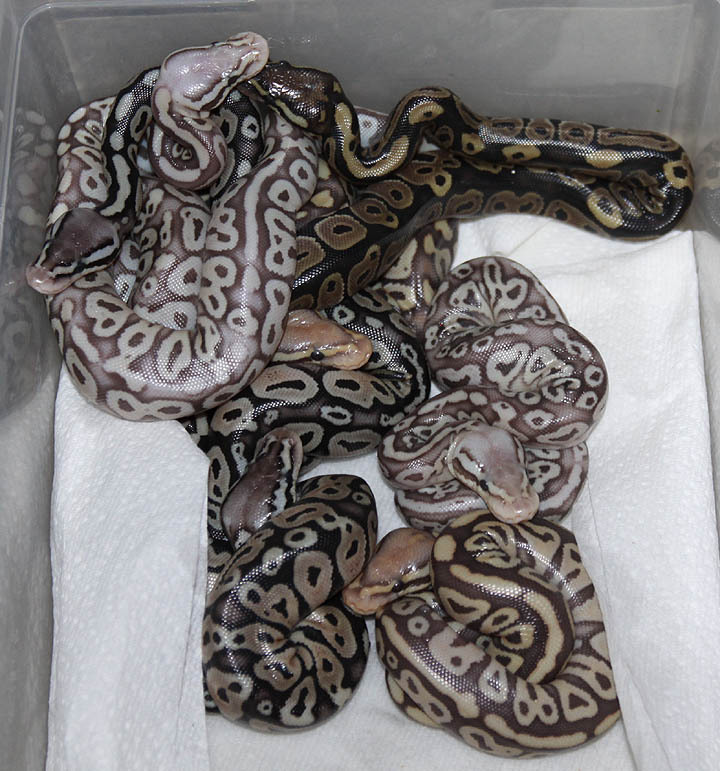 Description: Pastel Chocolate Het RA 2/11 x Het RA 14/06. 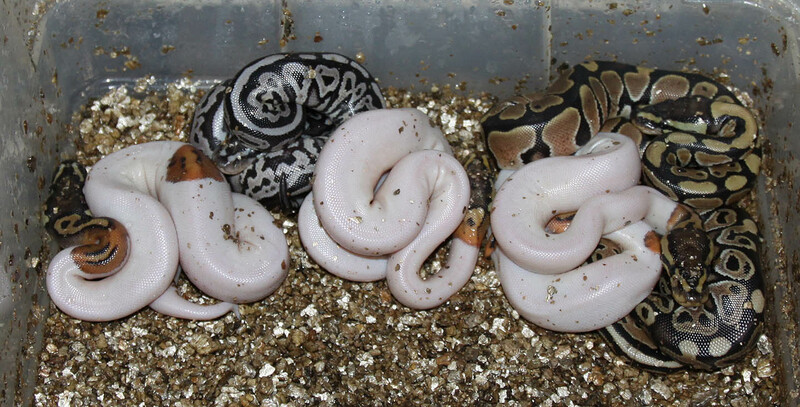 These guys hatched out while we were away at the Chicago Show. 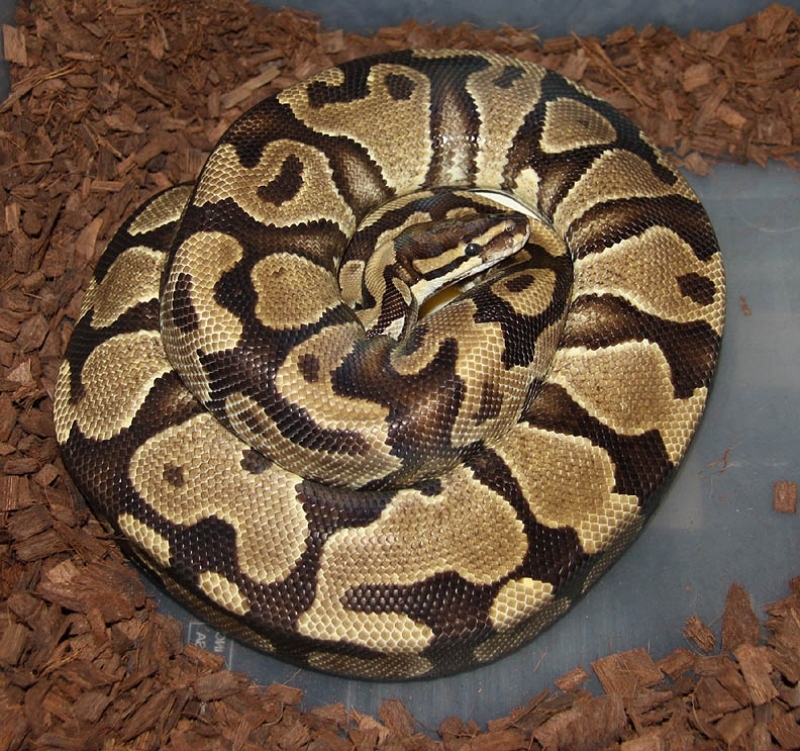 Description: Banded Het RA 1/11 x Het RA Het Banded 2/11. 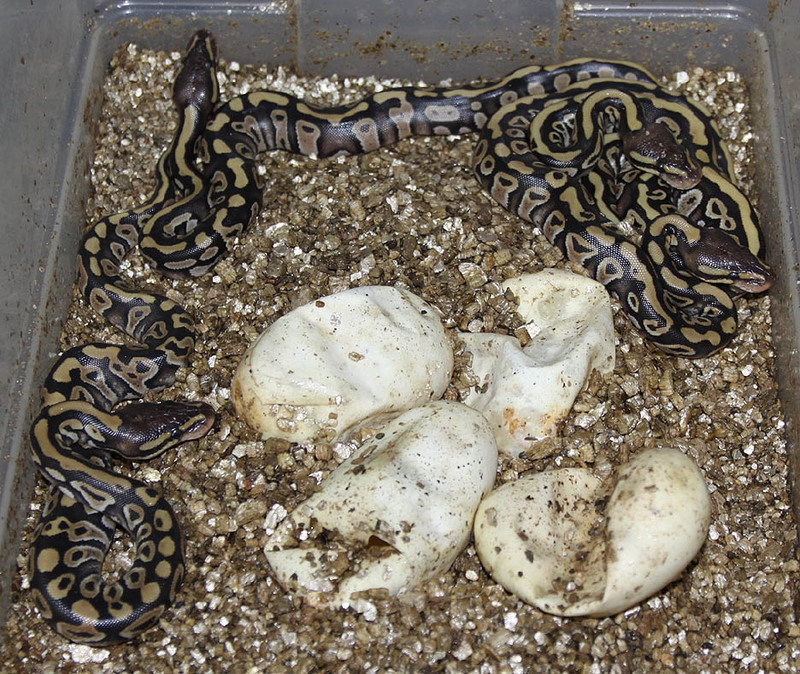 These guys hatched out while we were at the Chicago show. 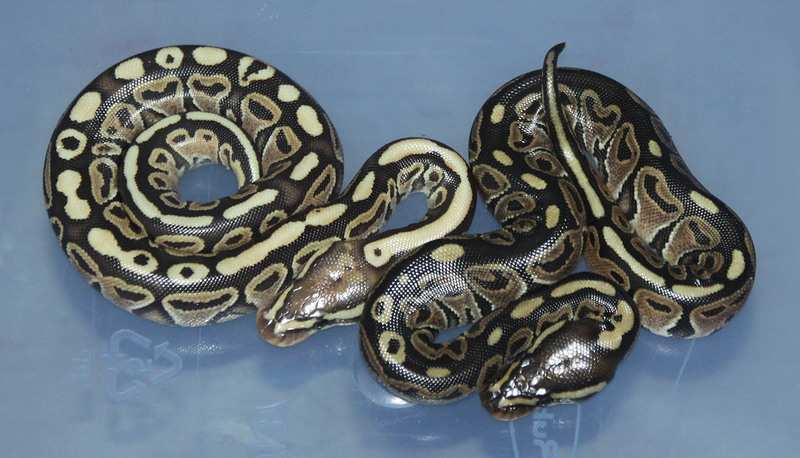 Description: Super Pastel Champ PHOG 3/11 x Pastel Het Orange Ghost 12/06. 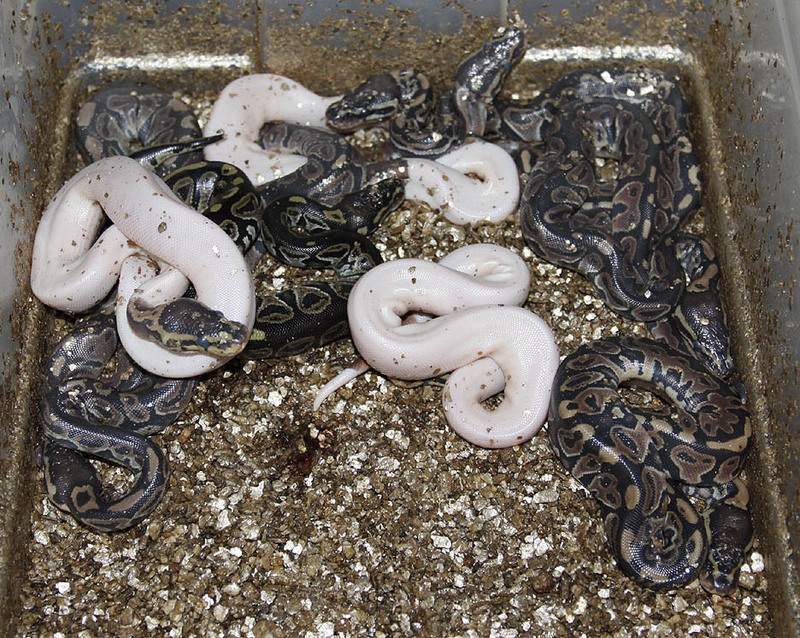 These guys hatched out while we were at the Chicago reptile show. 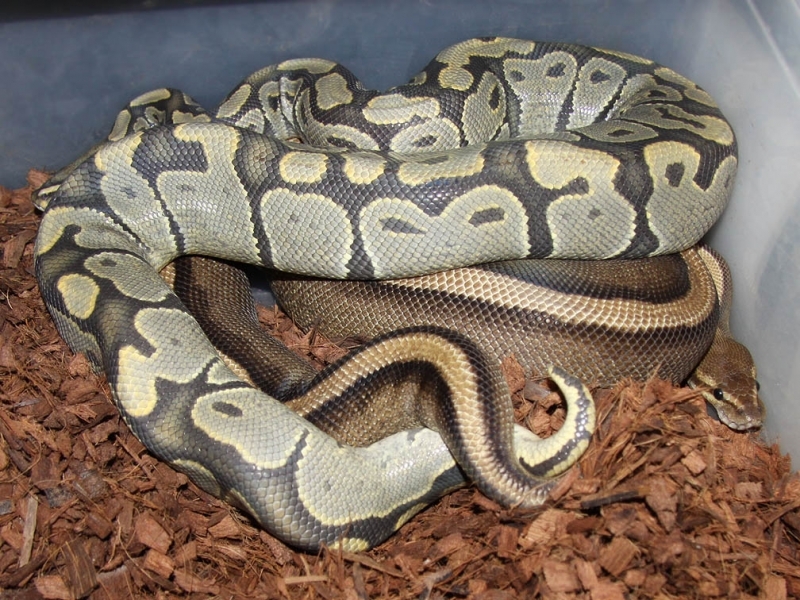 Description: Mutation X Het RA 1/11 x Het RA 21/06. 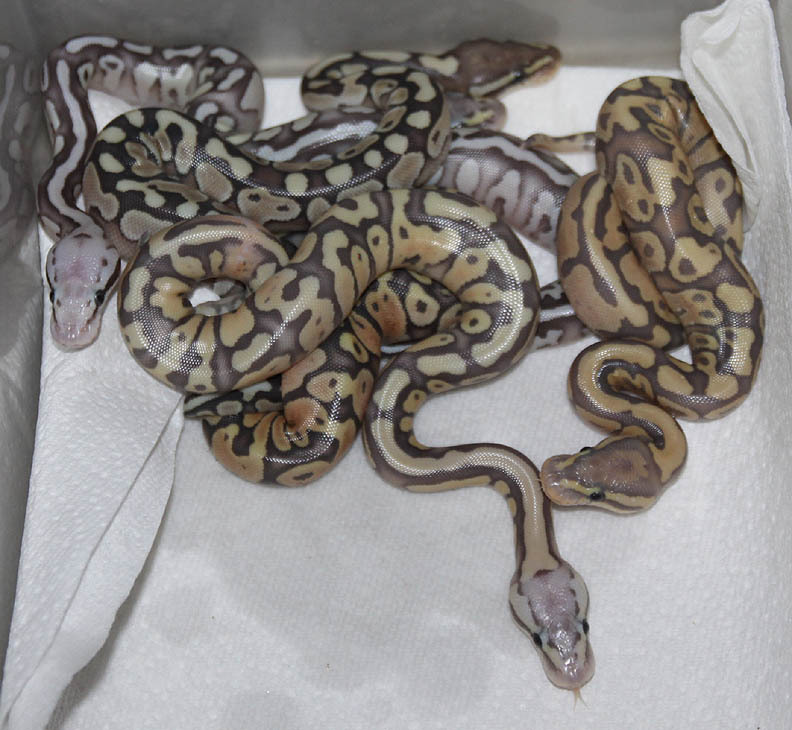 These guys hatched out while we were attending the Chicago Reptile Show. 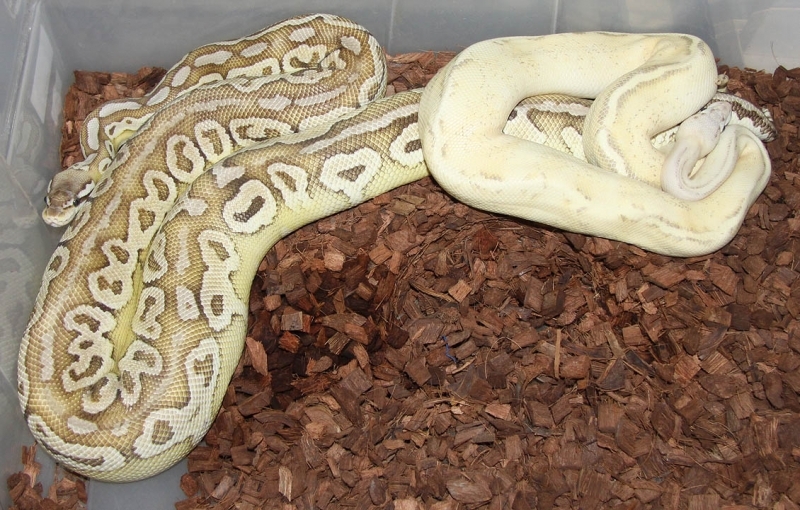 Description: Champagne Het Albino 1/11 x Het Albino 7/07. 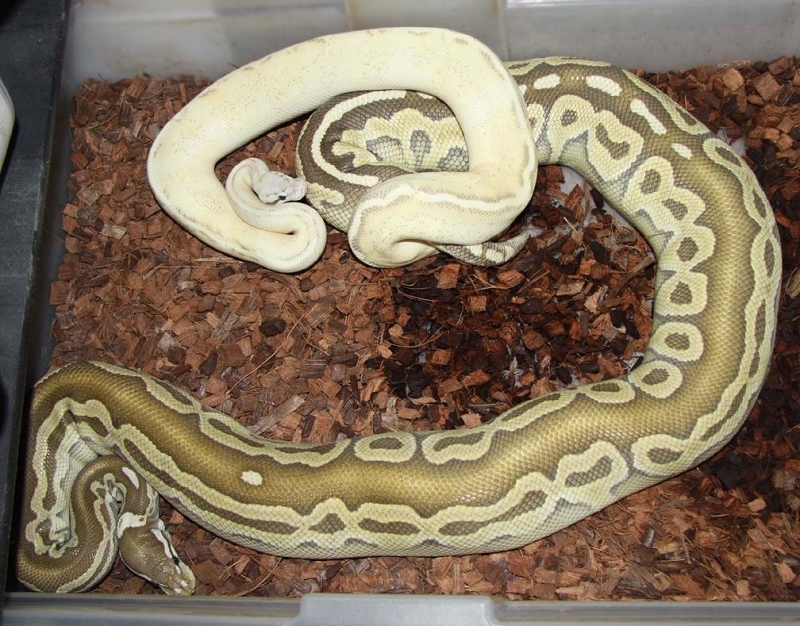 Never seen this pair breeding. 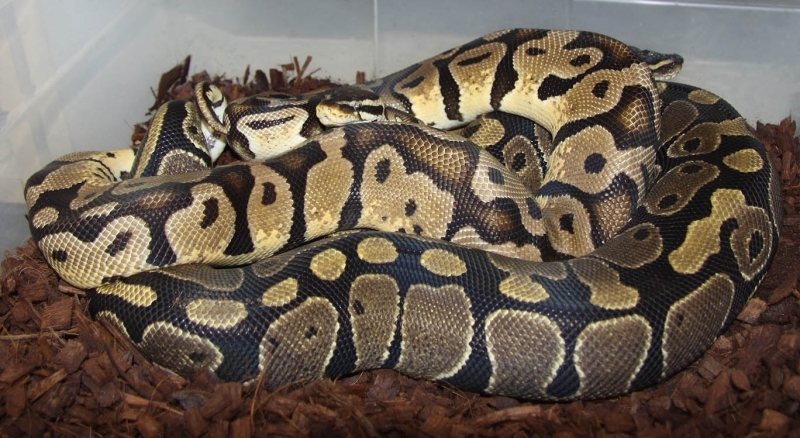 Description: Het RA Het Pied 1/10 x Het Pied 1/06. 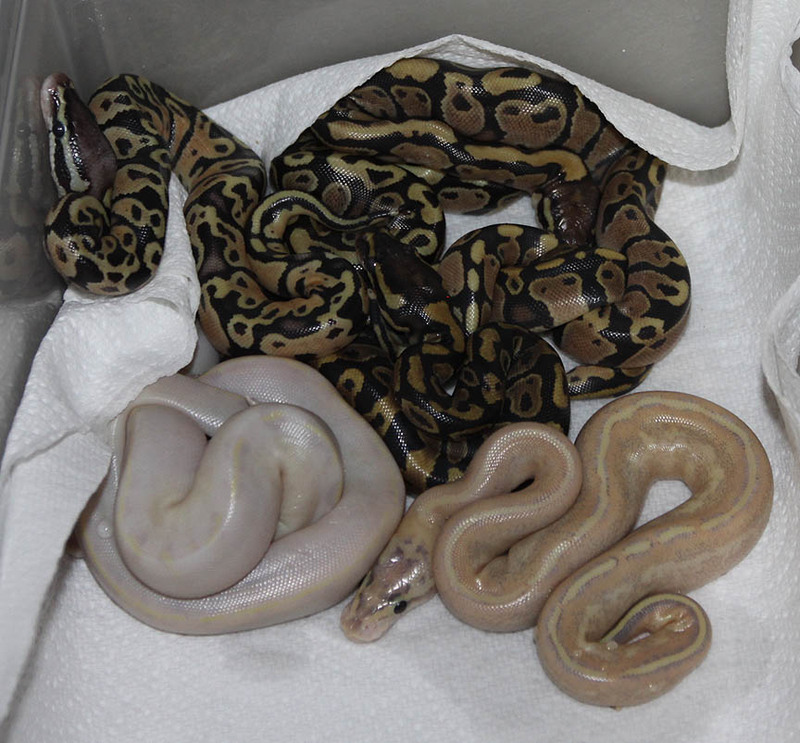 These guys hatched out while we were attending the Chicago Reptile Expo. 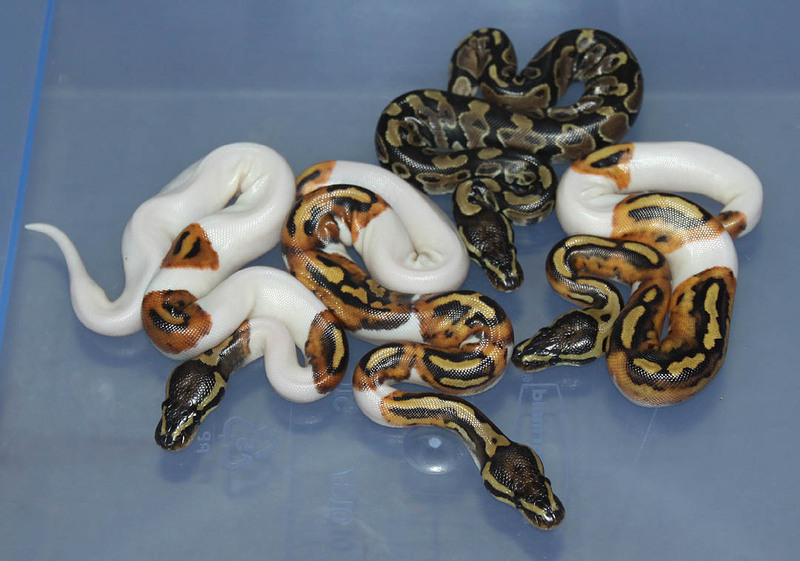 Description: Pastel Caramel HRA 1/11 & Pastel Red Axanthic Caramel 1/11 x Pied 10/10. 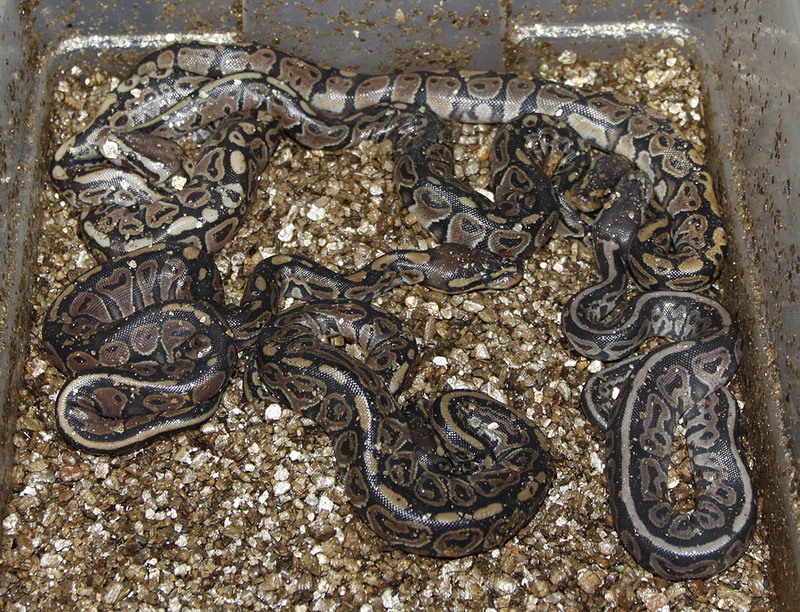 Description: Pastel Lesser RA PHGG 1/11 x Het RA 10/06. 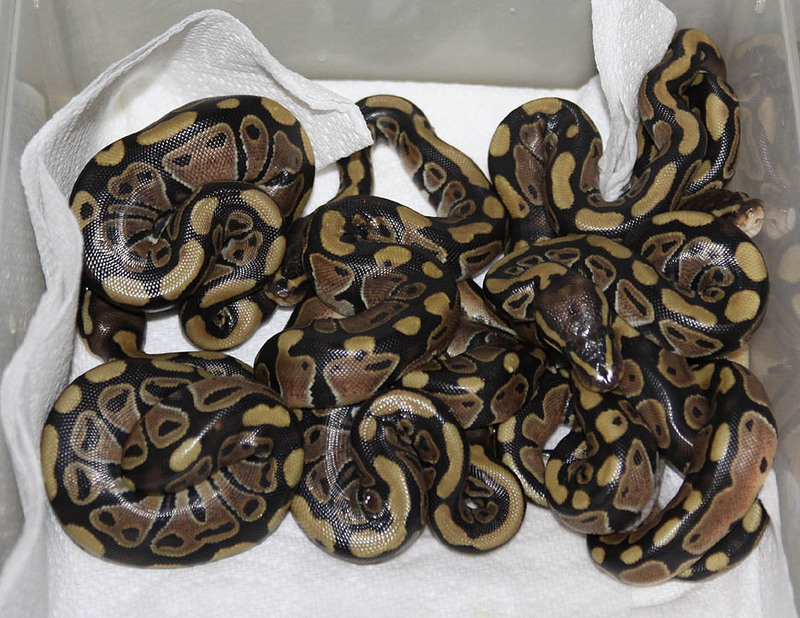 These guys hatched out while we were at the Chicago Reptile Expo. 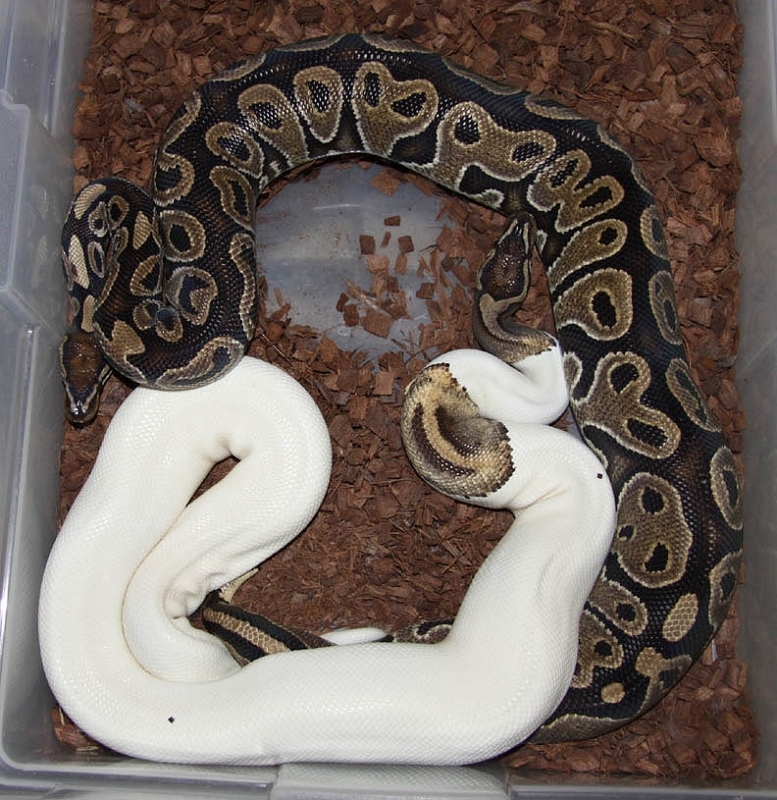 Description: Ivory Ghost 1/09 x Green Ghost 1/08. 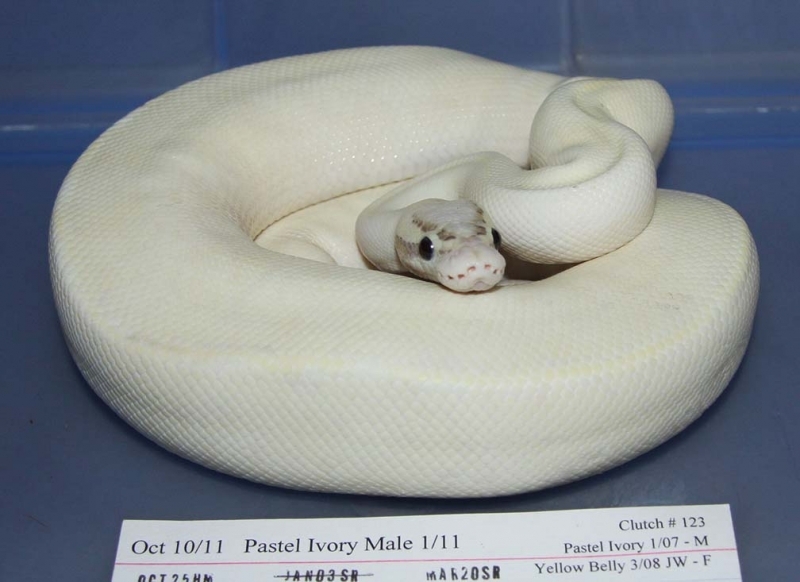 This clutch should help me figure out the whole "Ivory Ghost" thing. 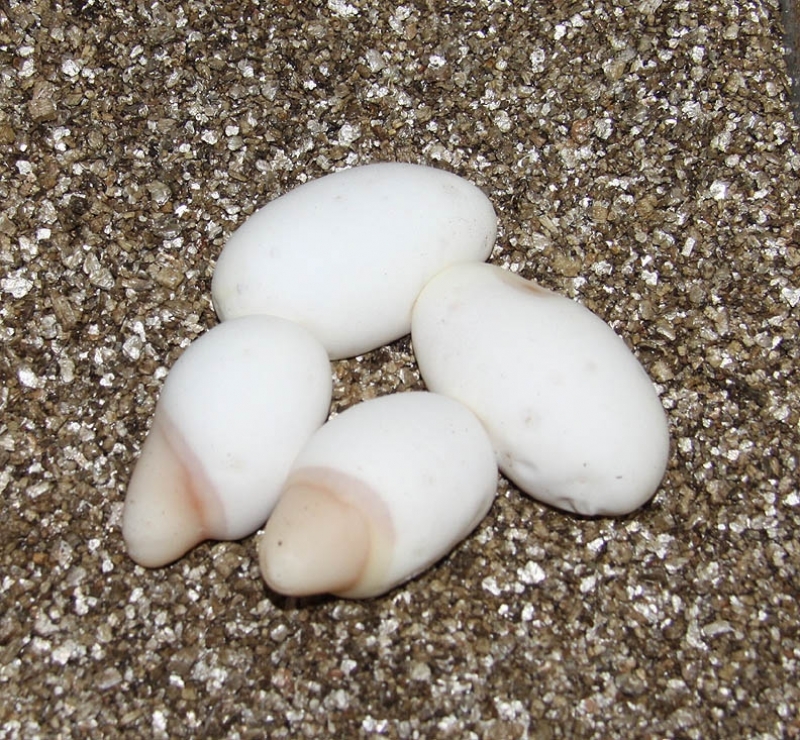 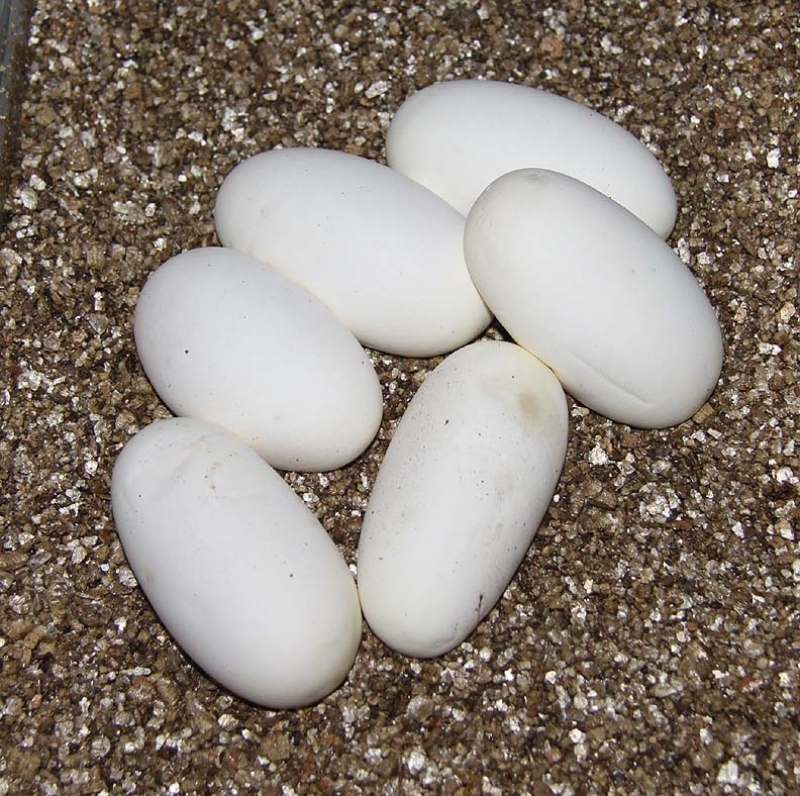 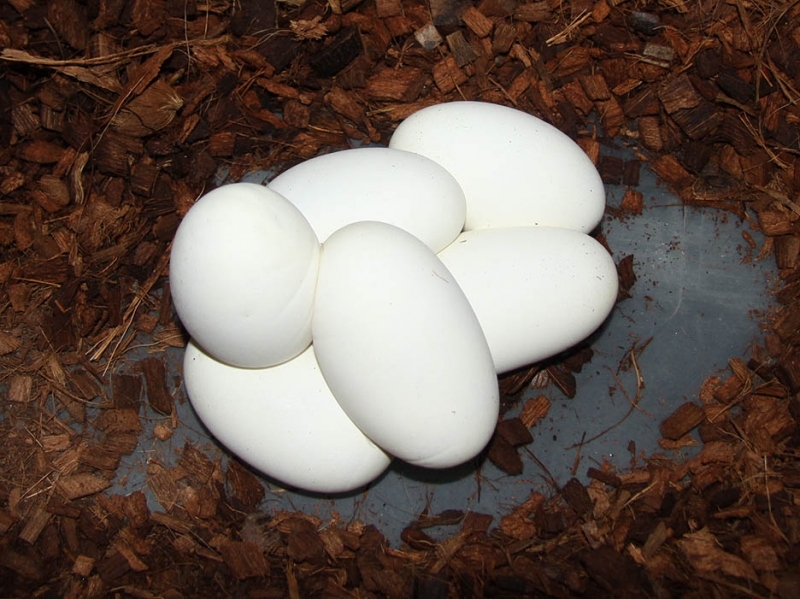 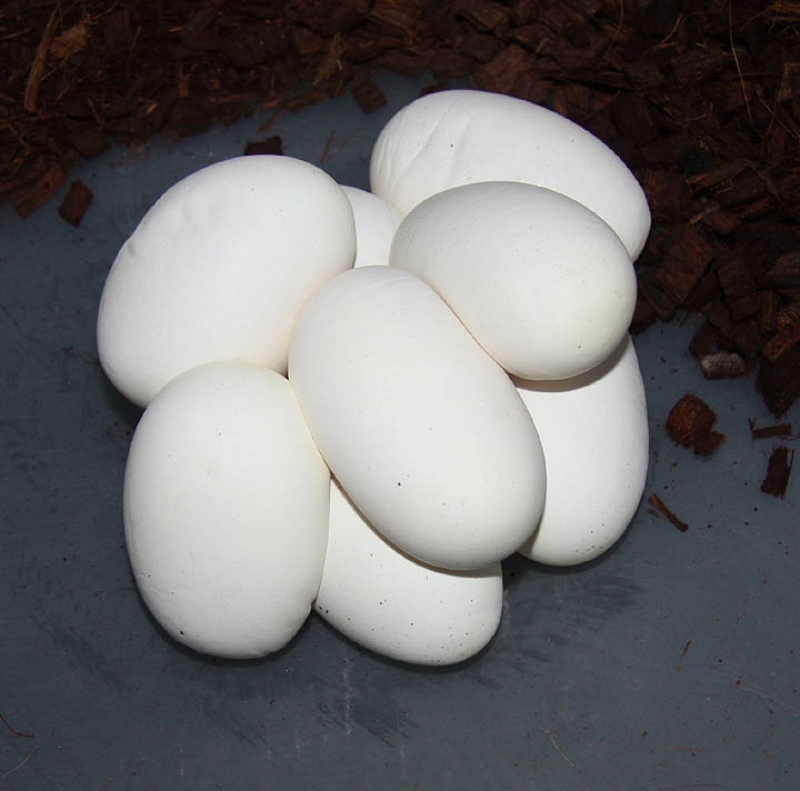 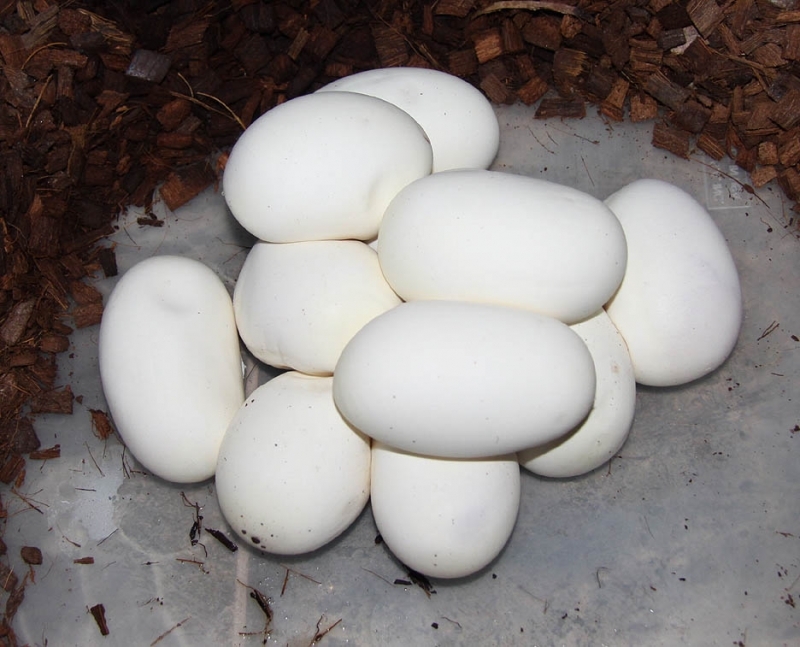 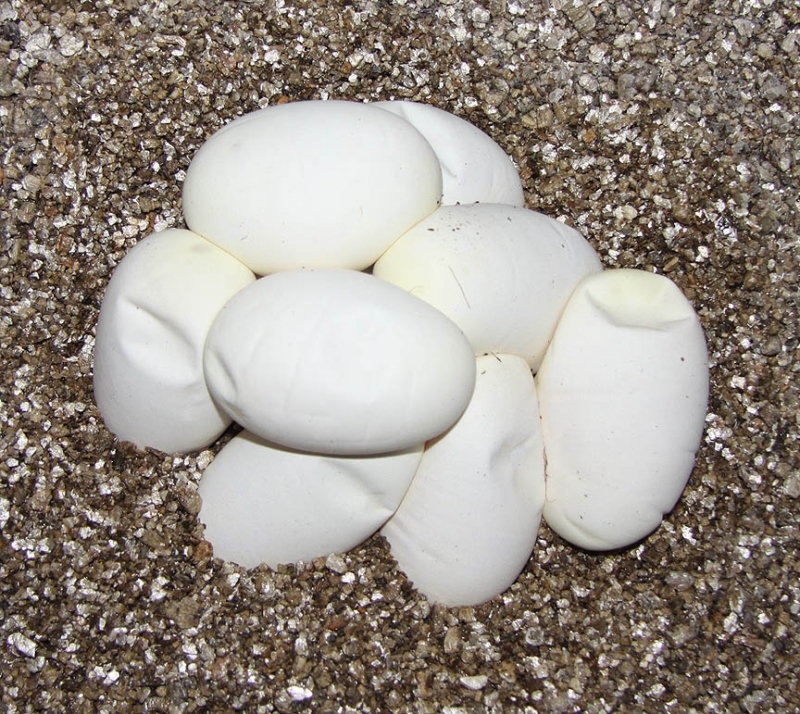 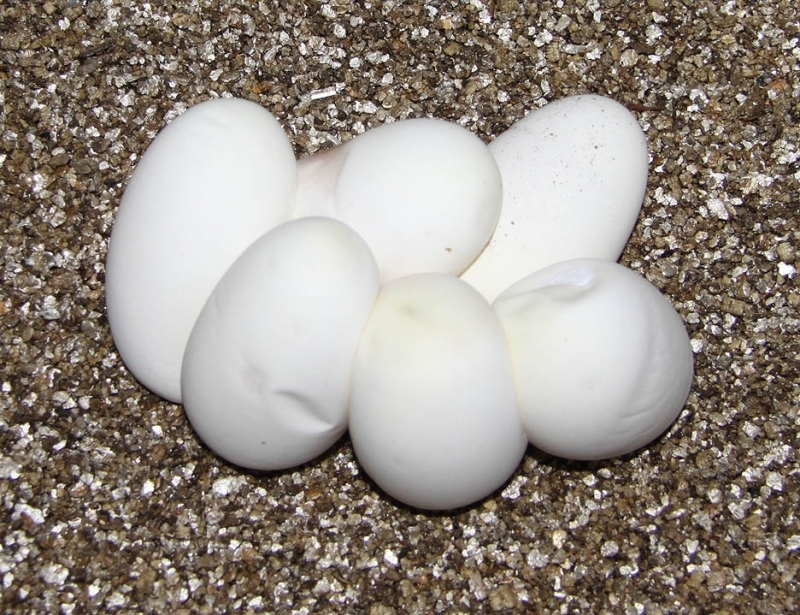 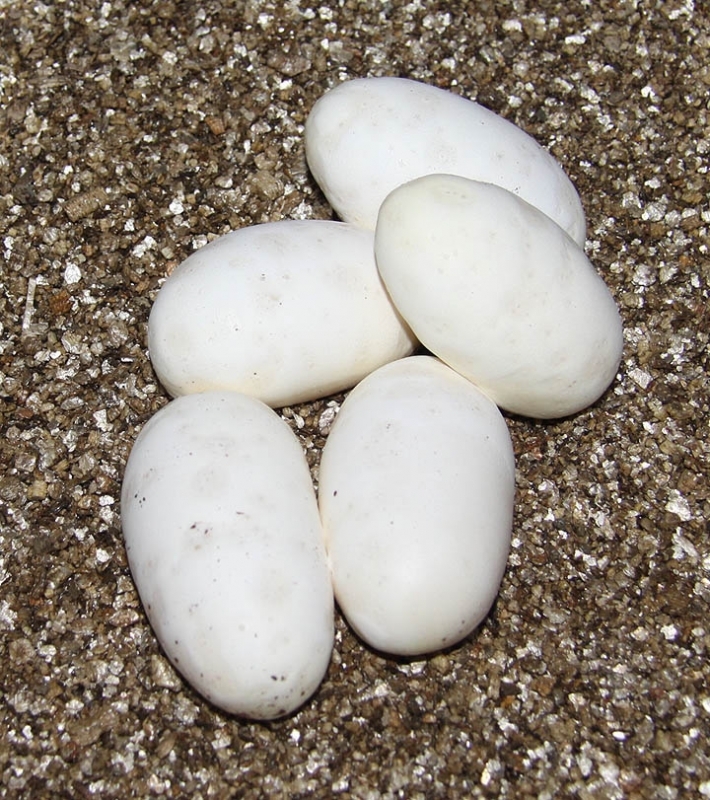 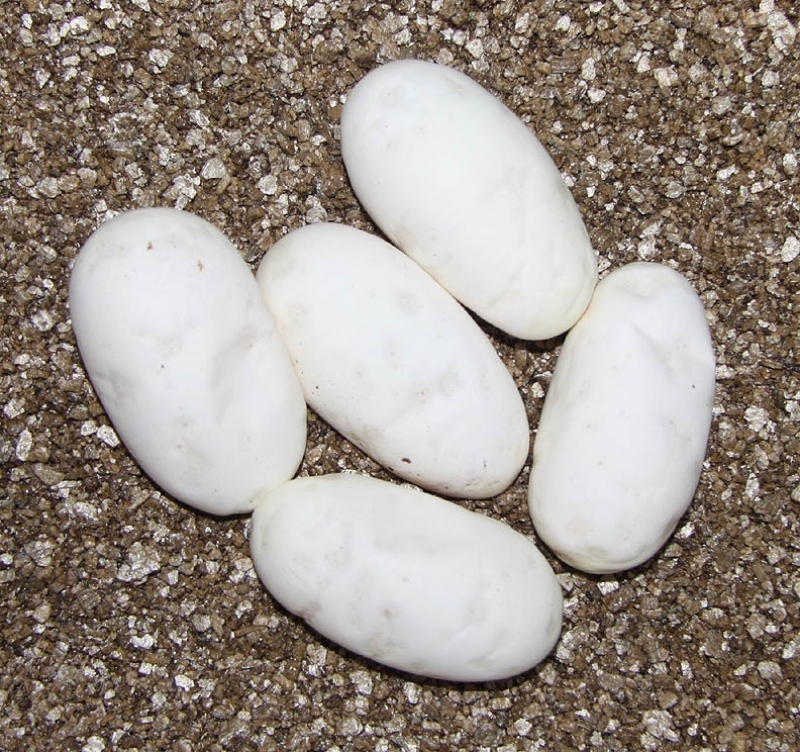 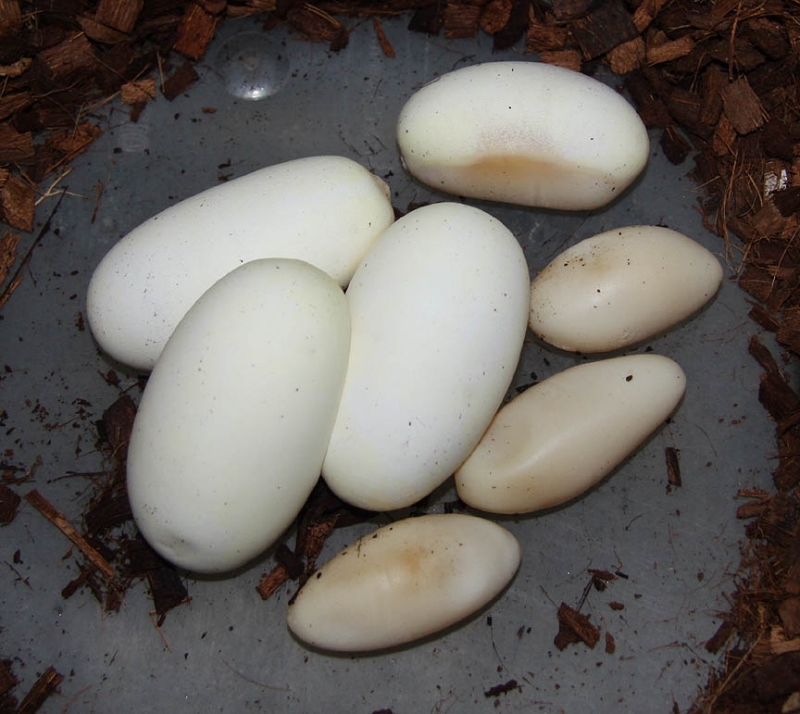 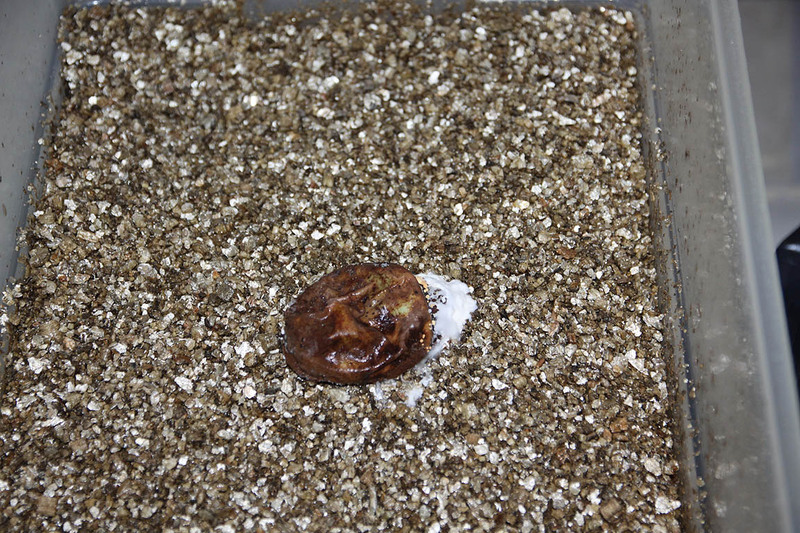 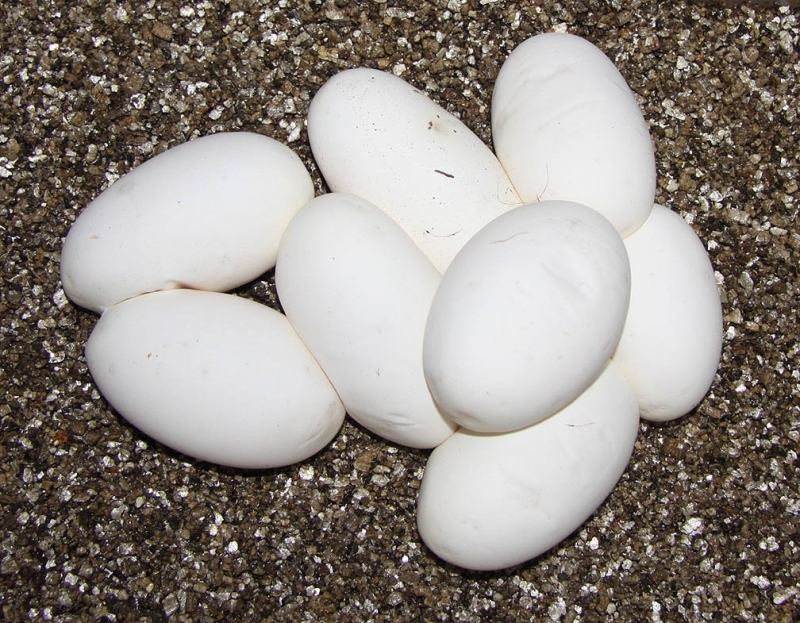 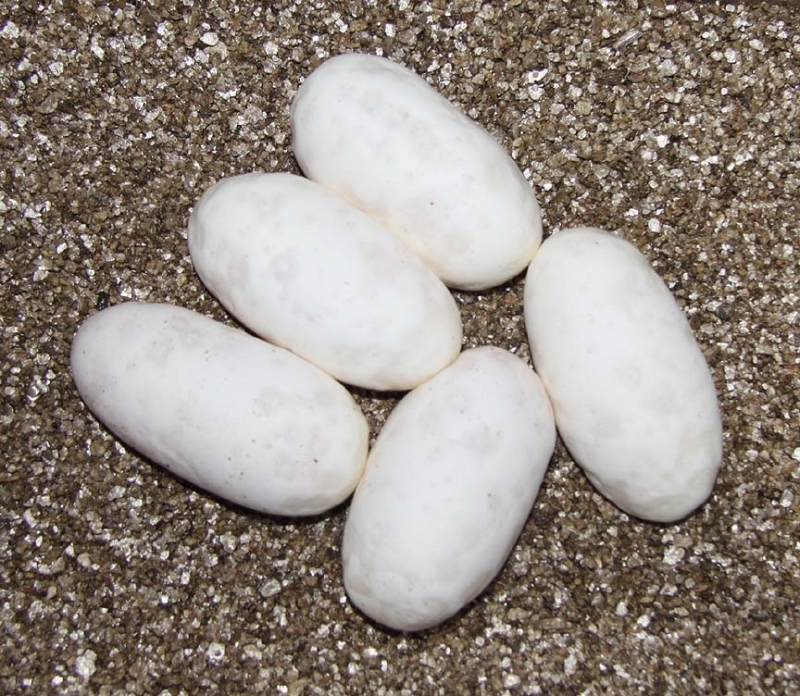 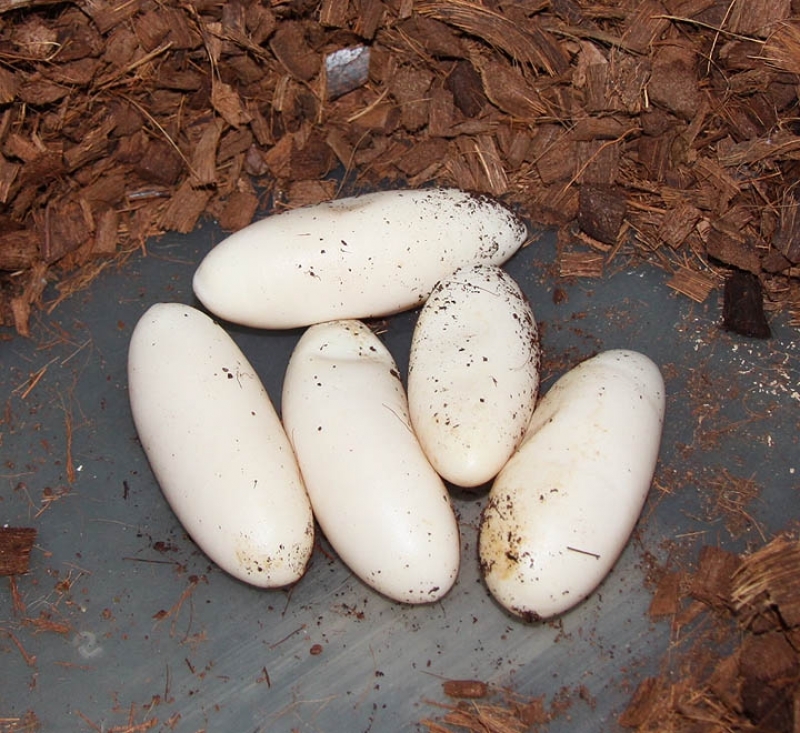 Any white snakes (Super Lessers) in this clutch will also be (Woods Line Recessive) Bandeds. 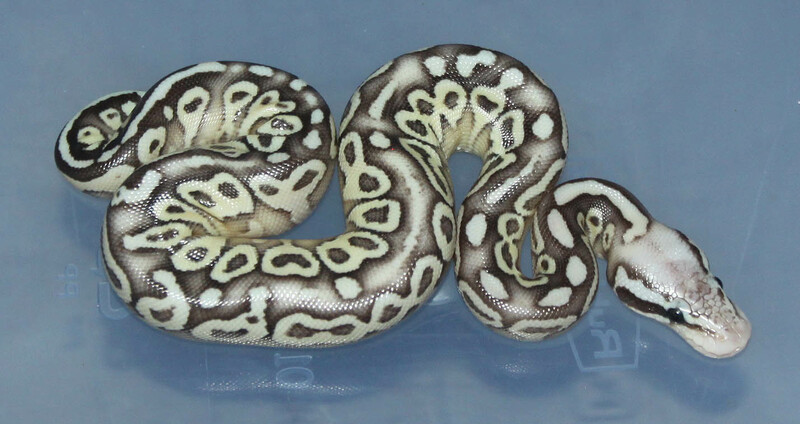 Description: Mutation X Pastel Het RA 1/11 x Pied 3/10. 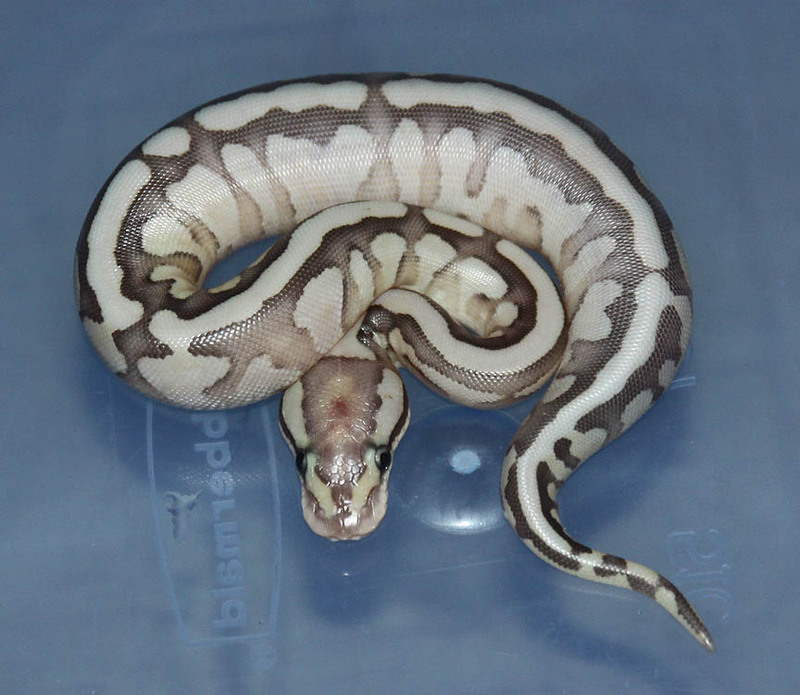 Cannot wait to see the Mutation X Pied!.... 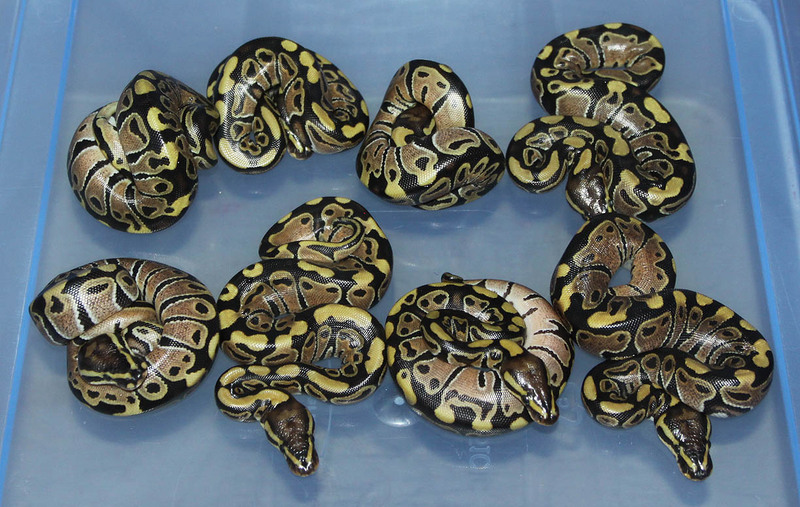 Stepping stones. 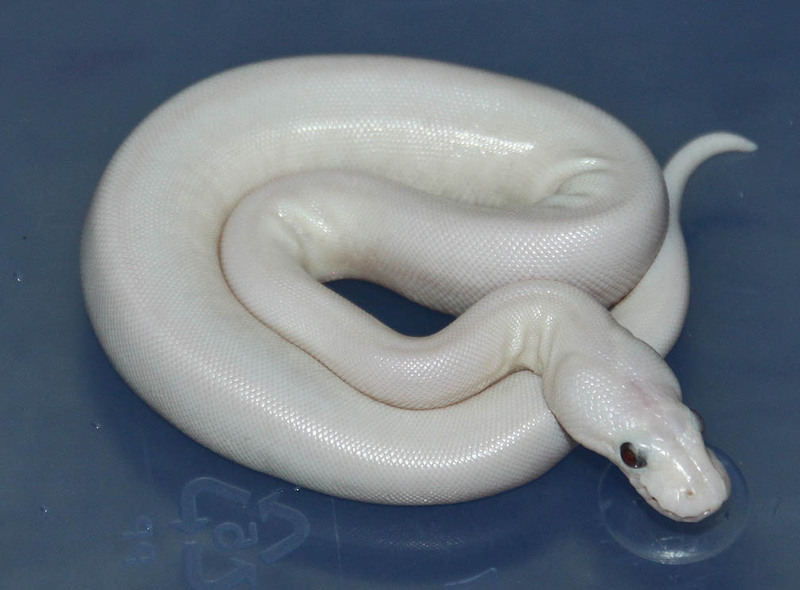 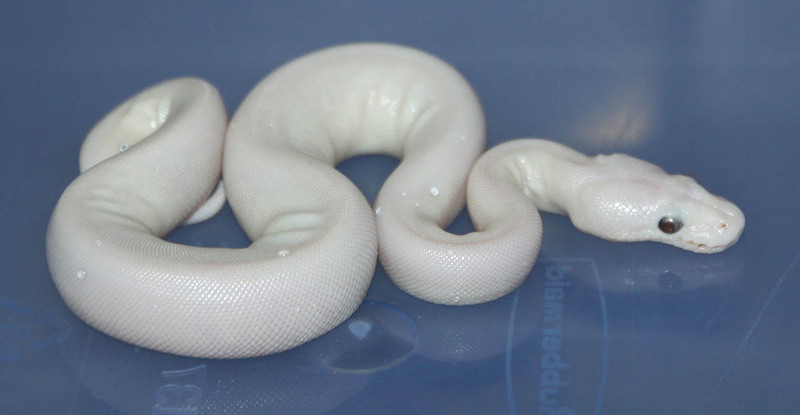 Description: Lavender 1/09 x Pied 14/10. 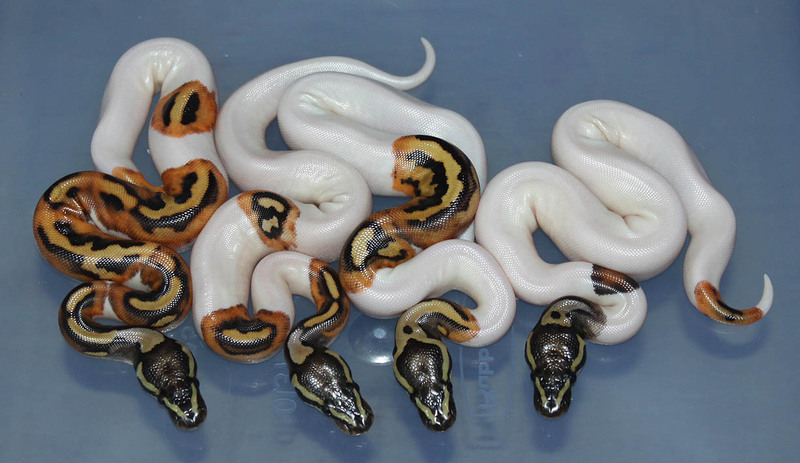 A very nice ringer in this group!! 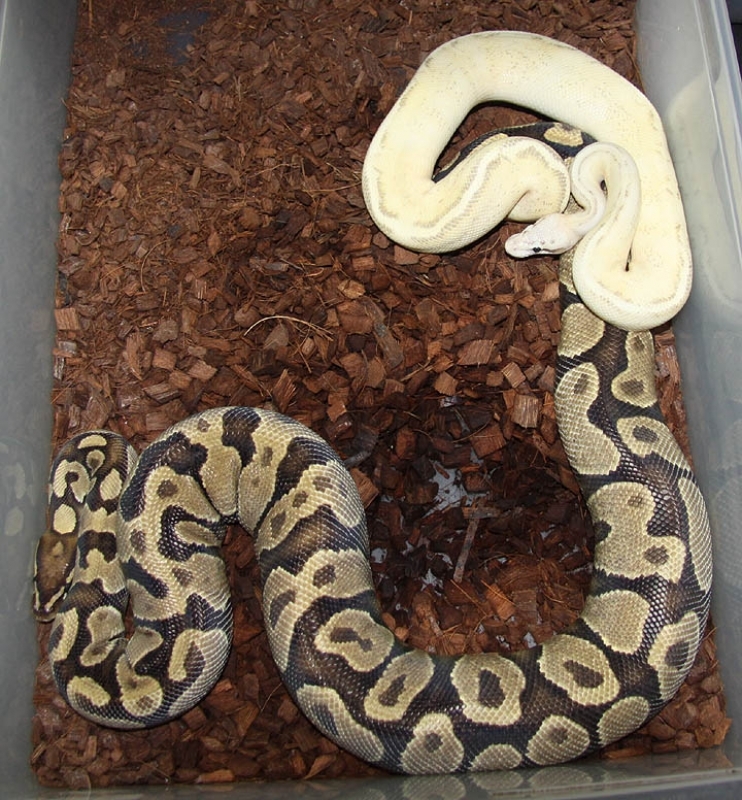 Description: POGL (Green) 1/07 x Pastel Het Green Ghost 2/06. 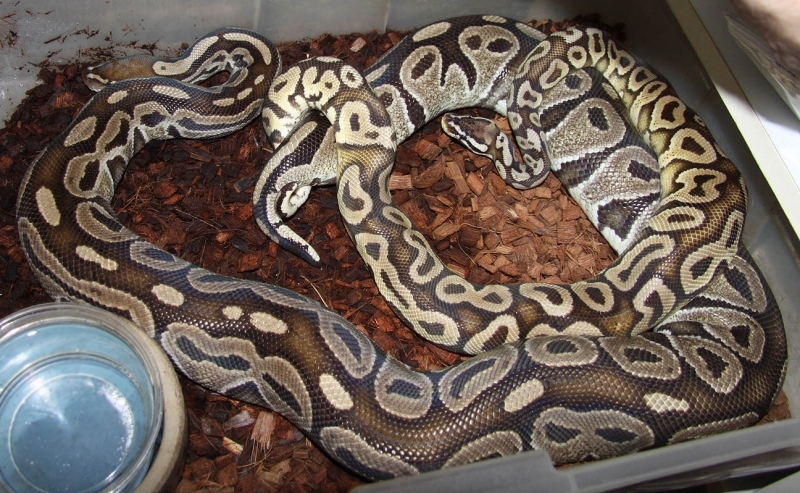 Description: Mutation X Het RA 1/11 x Het RA (Weird??) 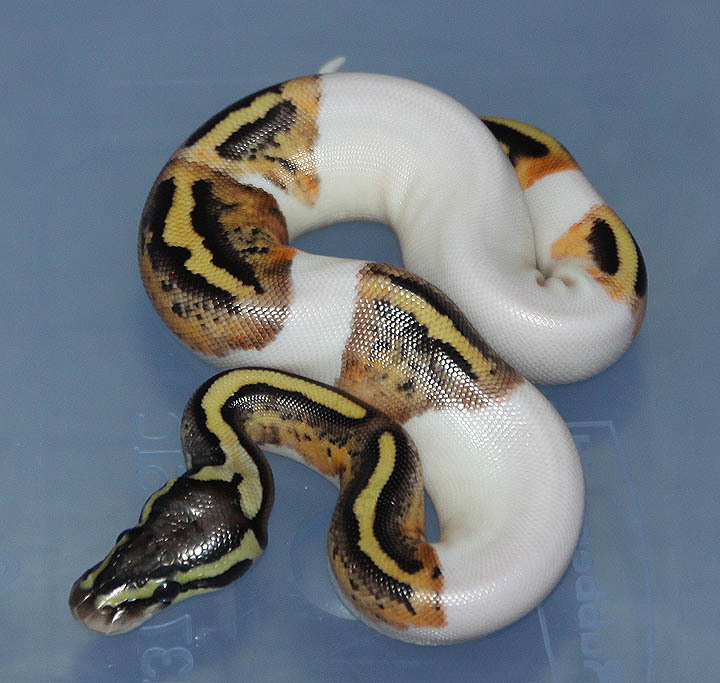 1/09. 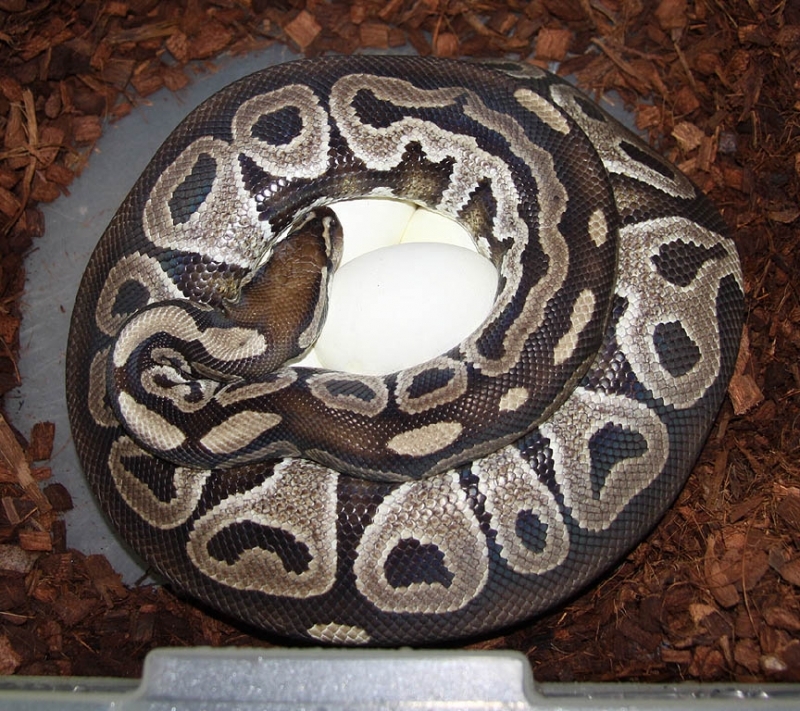 The Mutation X male took forever to hatch. 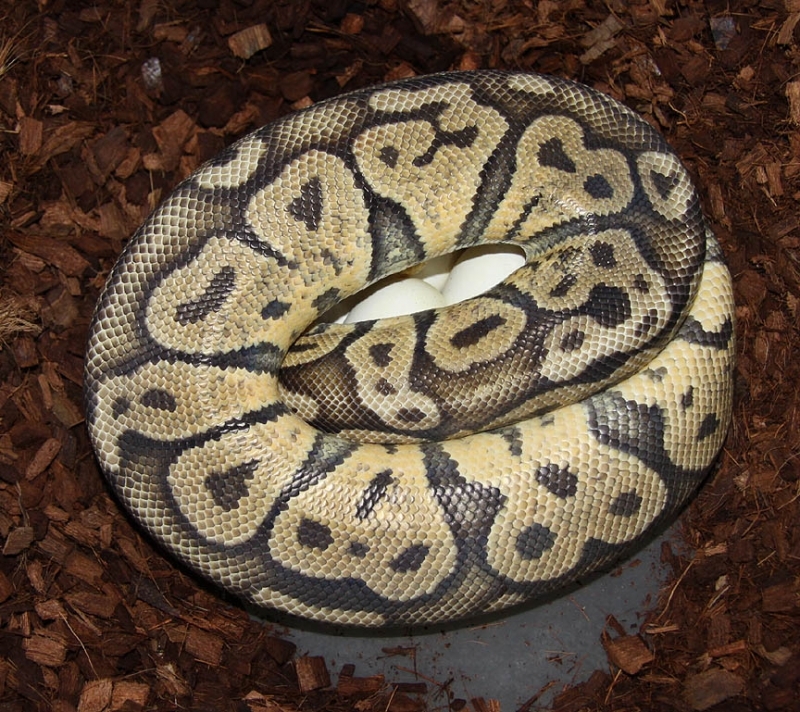 So, this clutch is in shed in the pics. 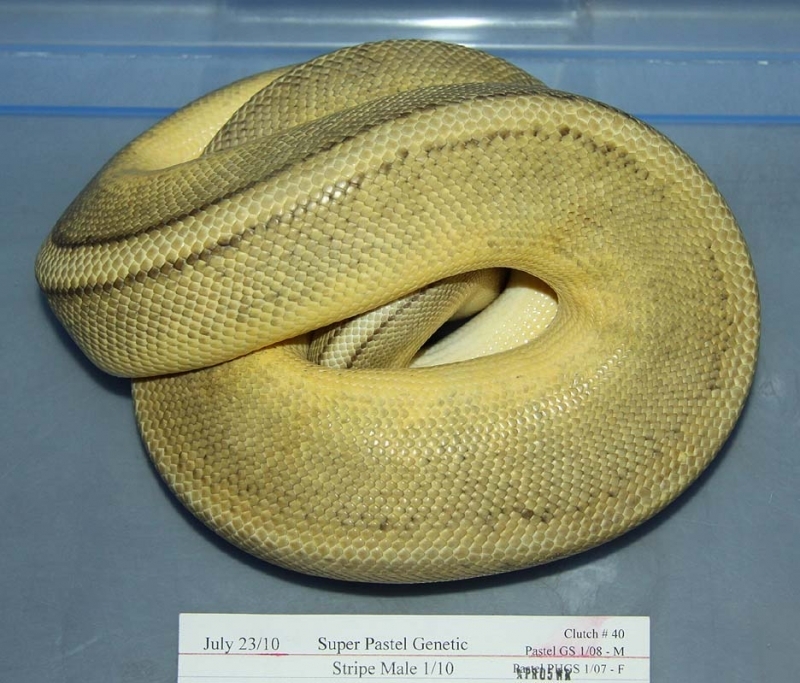 Description: Pastel Red Axanthic Caramel 1/11 x Genetic Stripe "Weird Belly" 1/10. 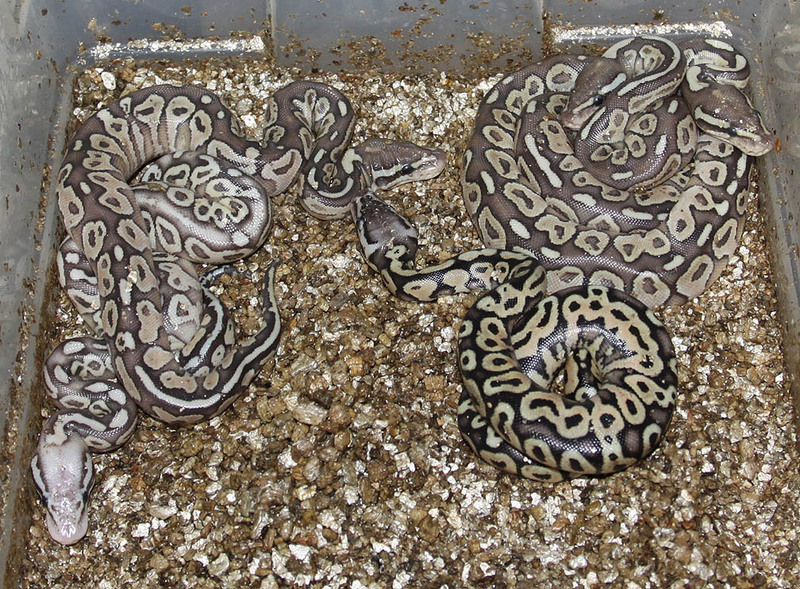 Description: Citrus Puma 1/11 x Lesser Red Axanthic 1/09. 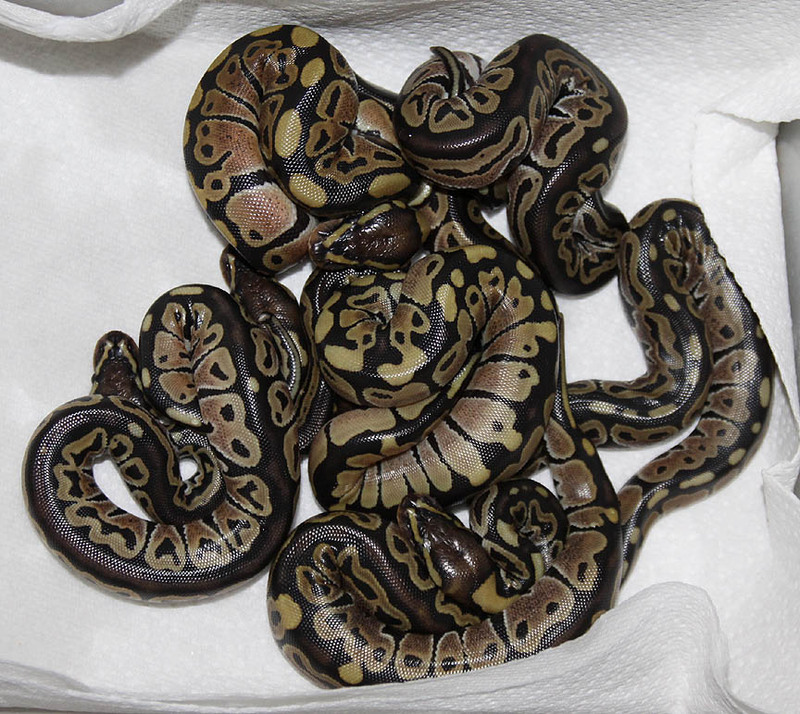 Description: Super Pastel Genetic Stripe 1/10 x Pastel Pos Het GS 3/08. 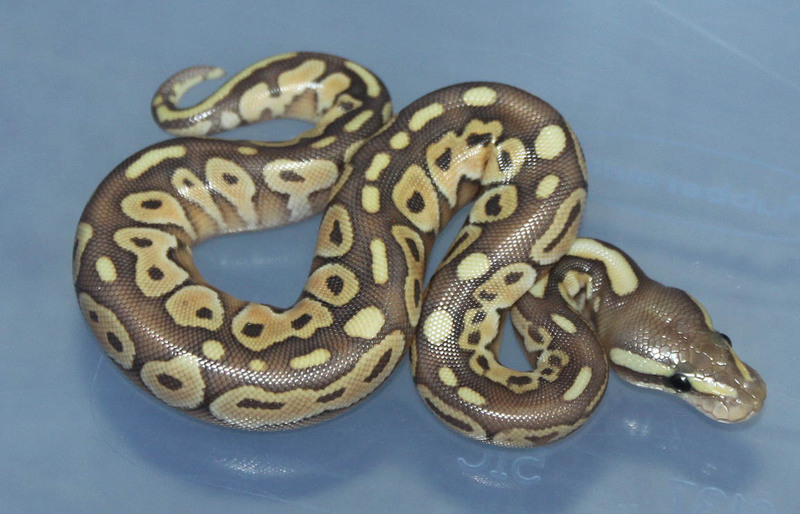 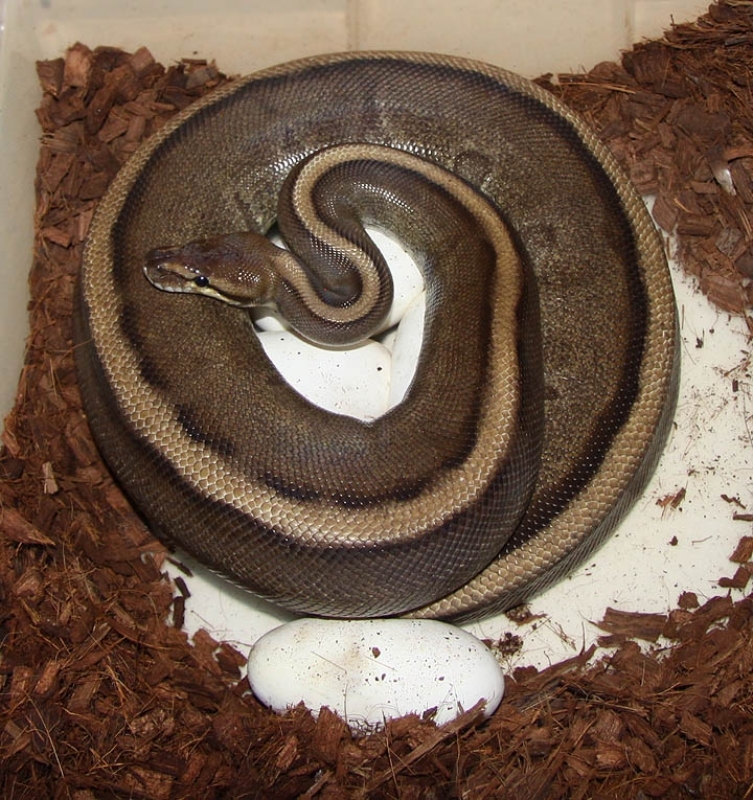 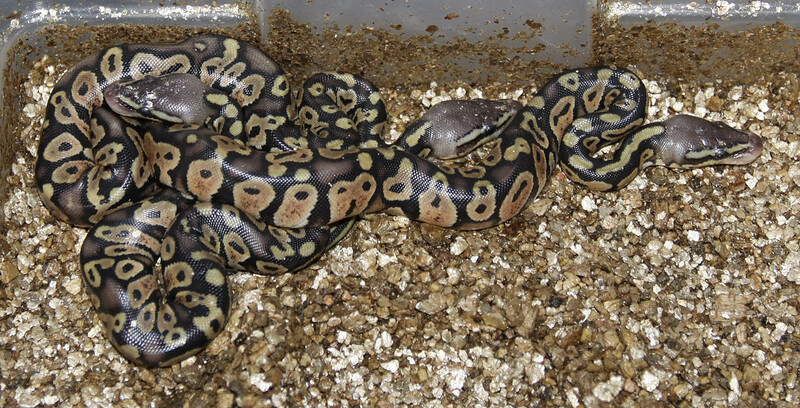 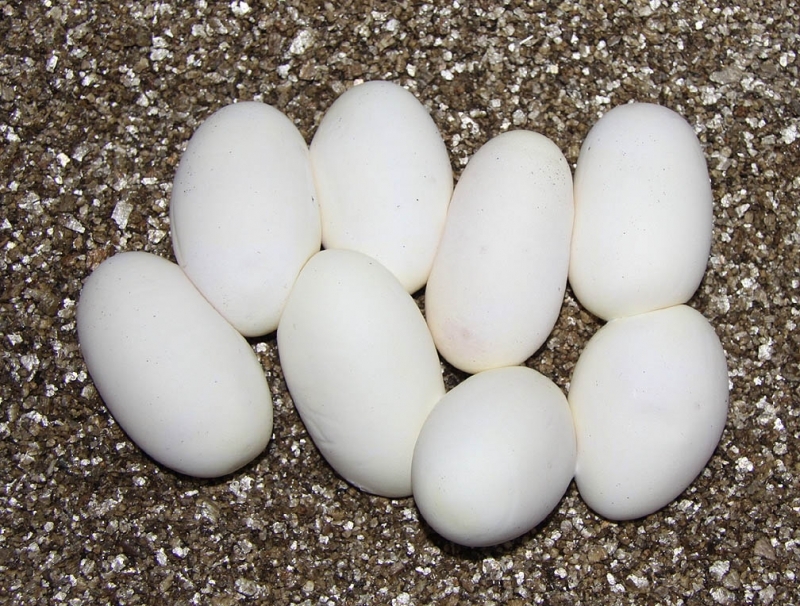 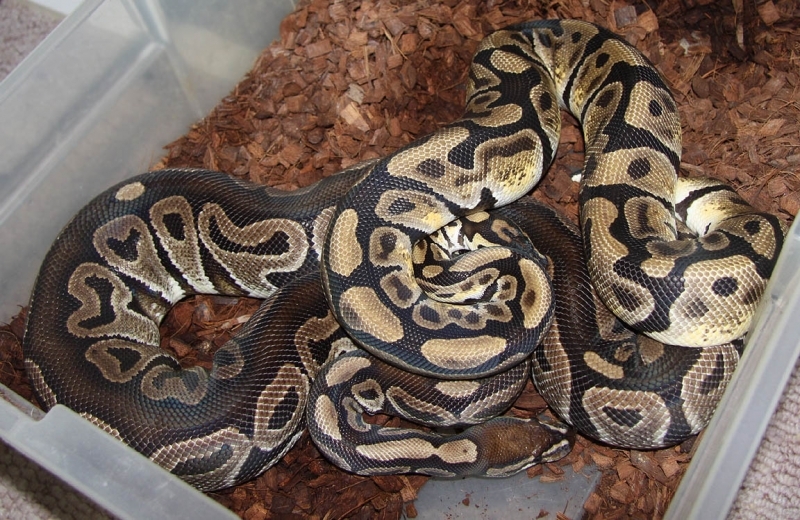 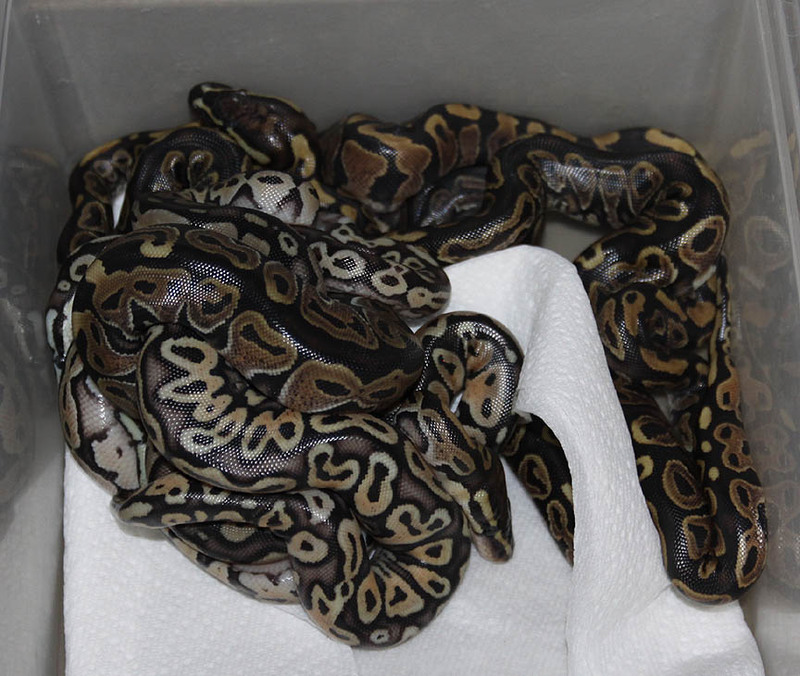 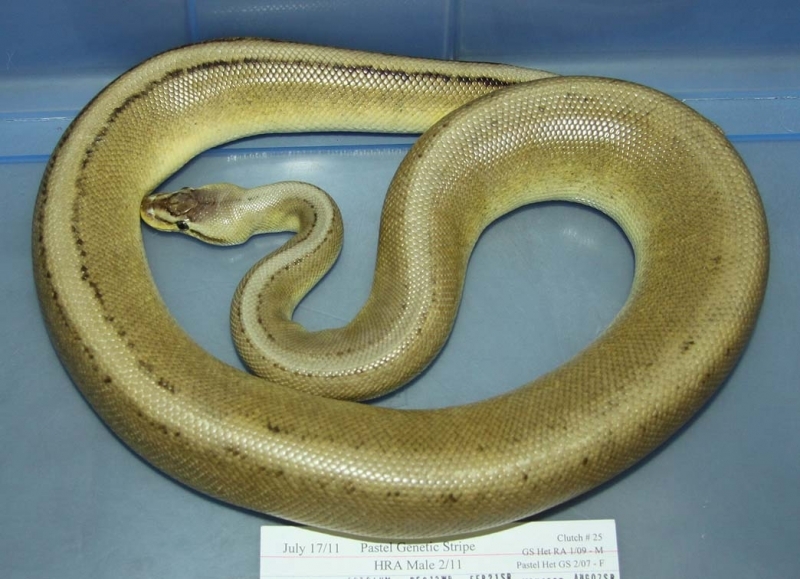 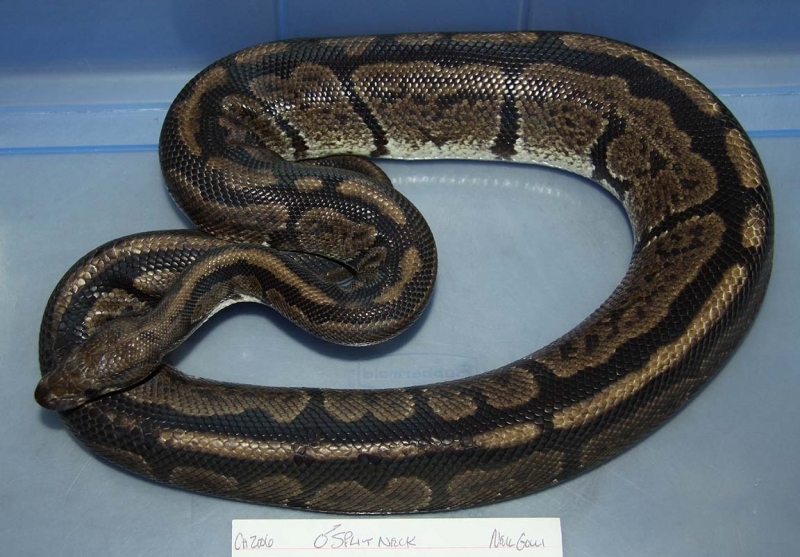 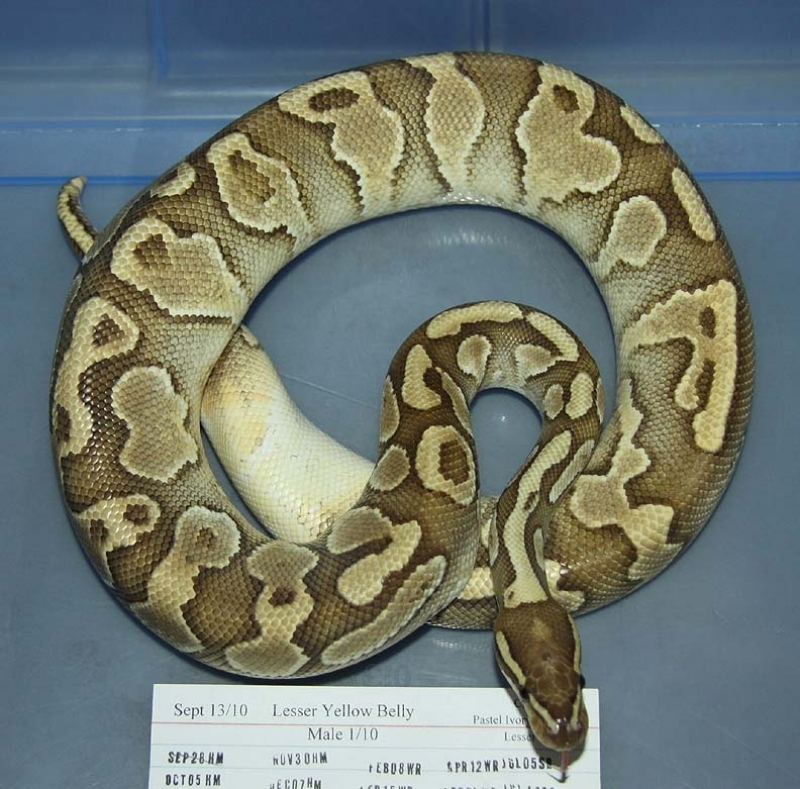 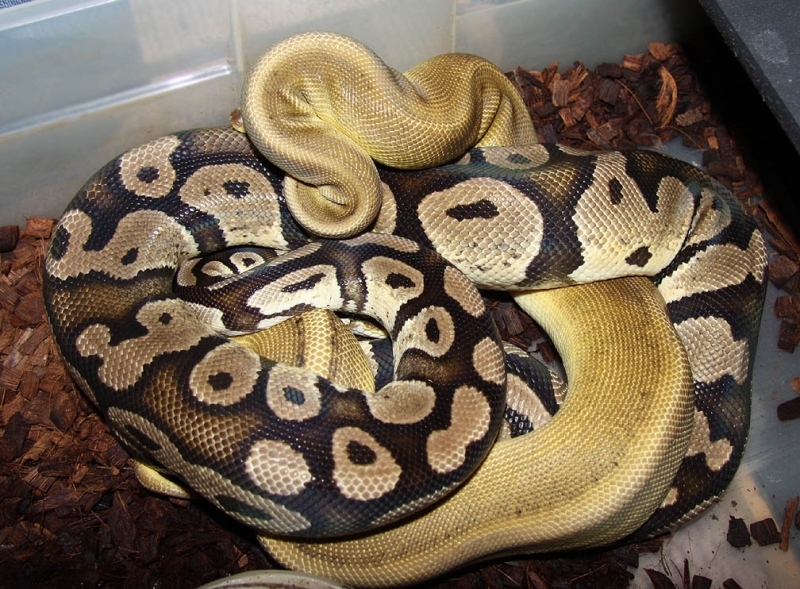 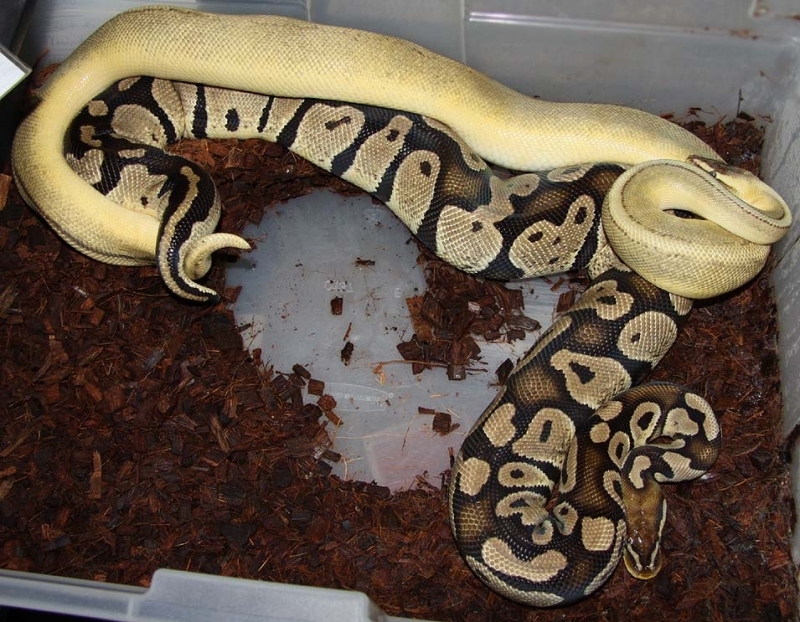 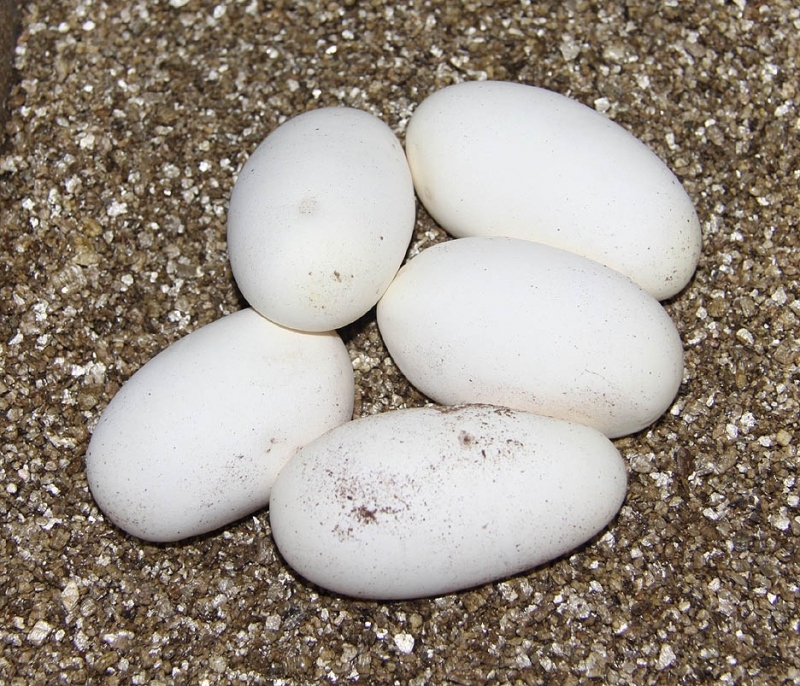 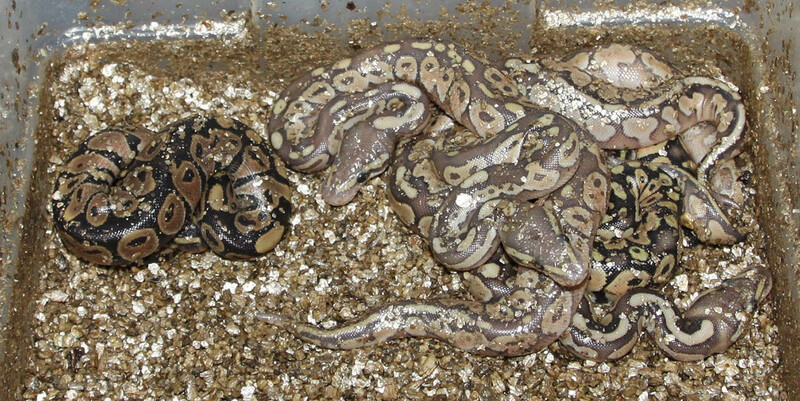 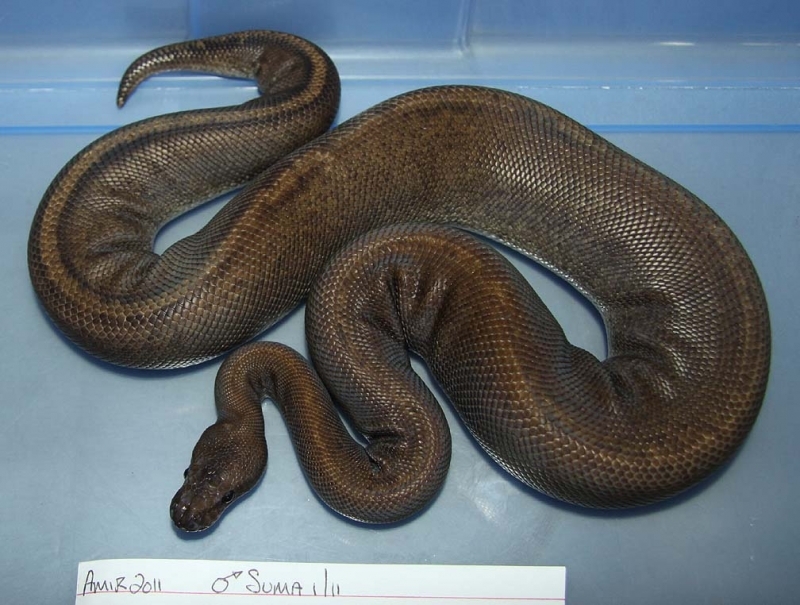 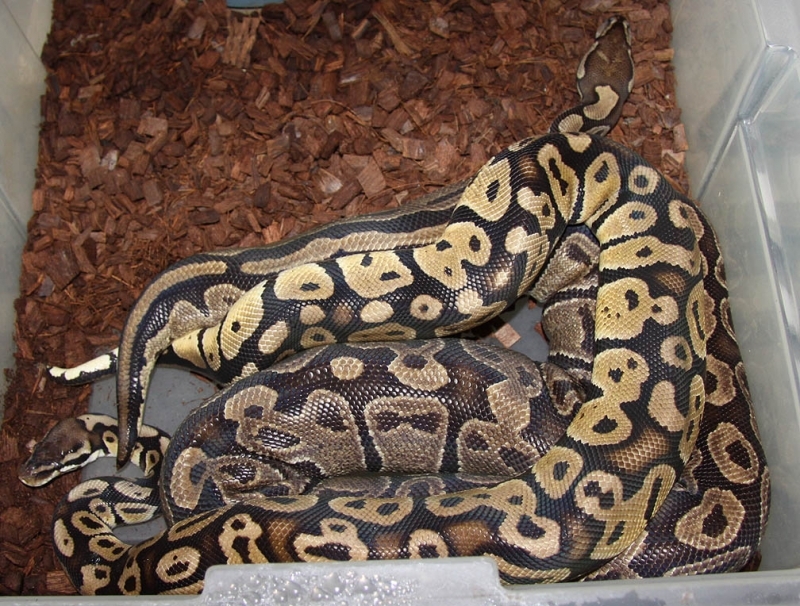 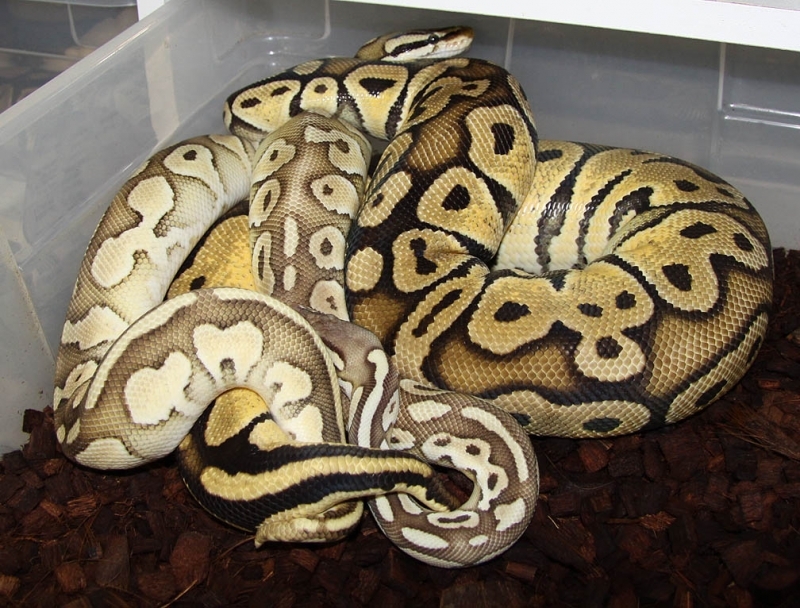 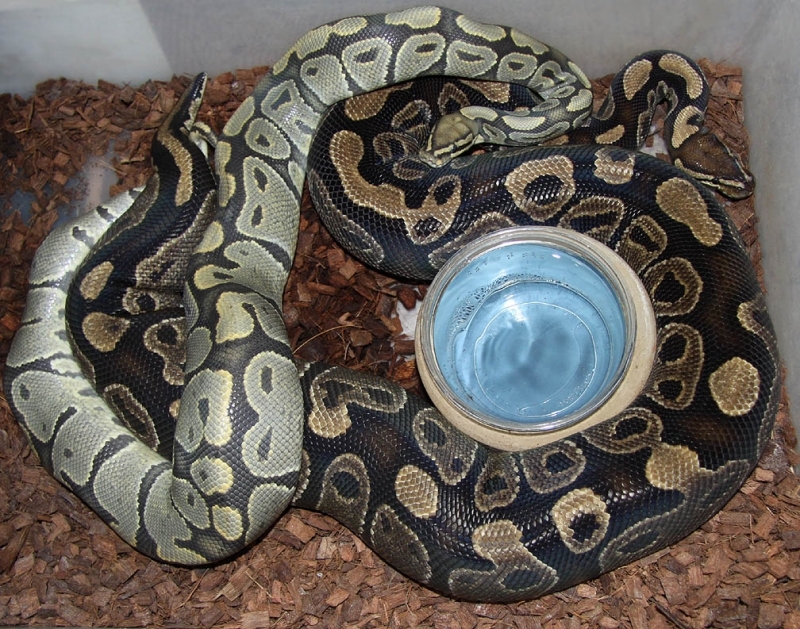 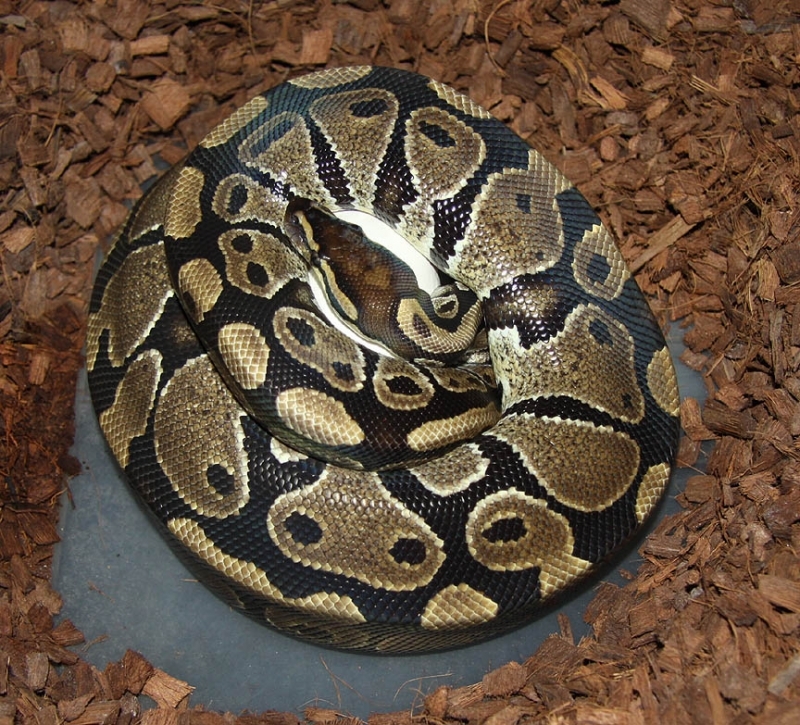 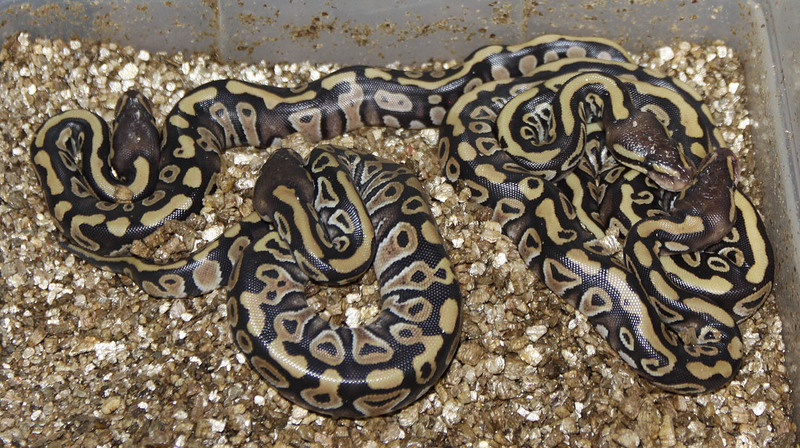 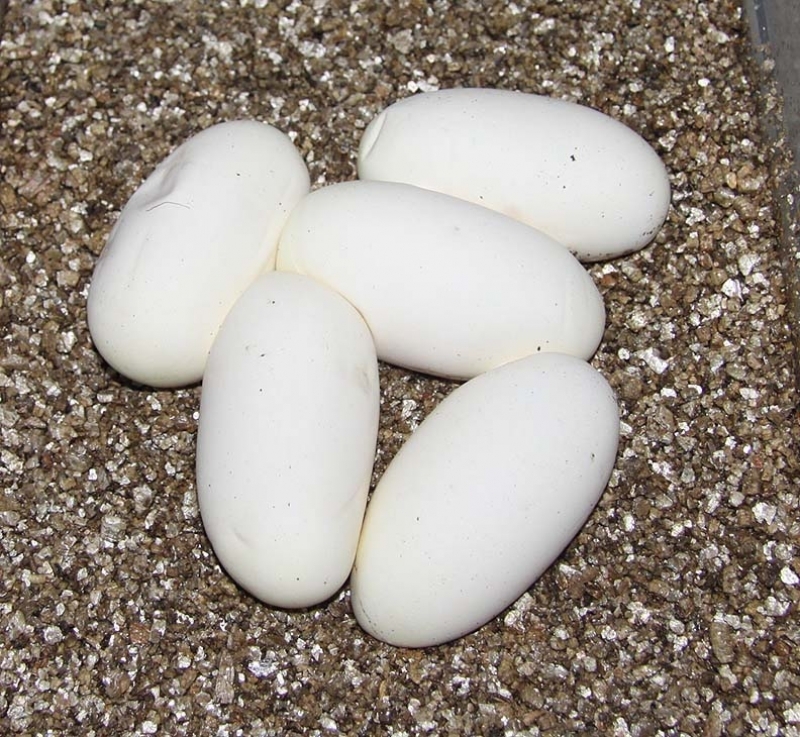 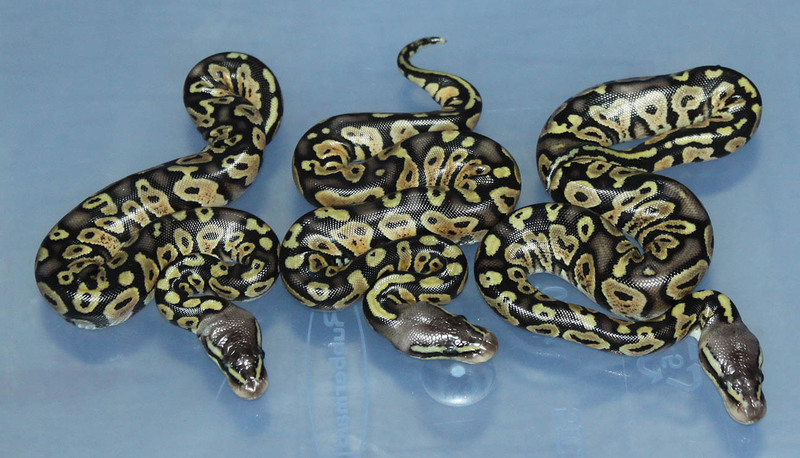 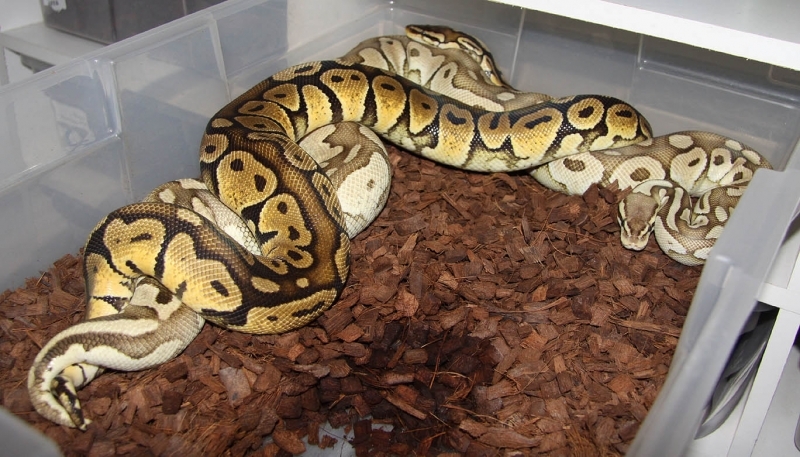 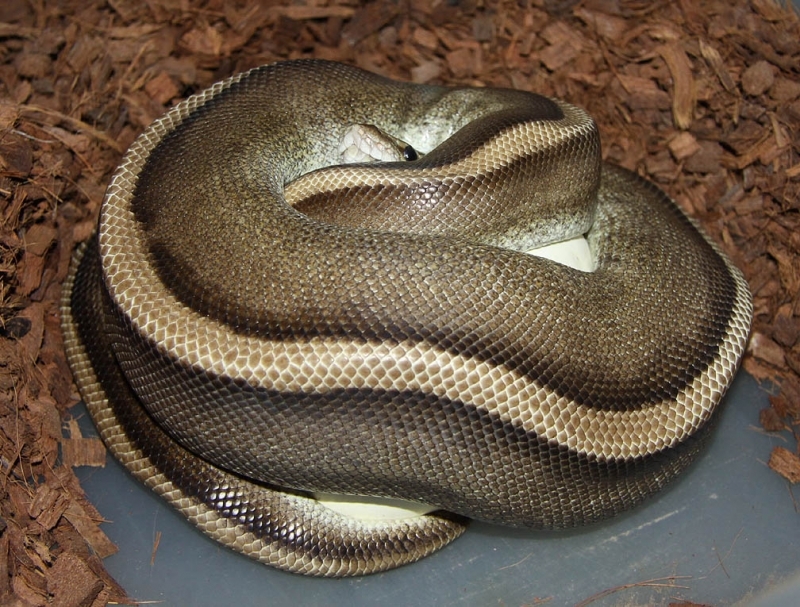 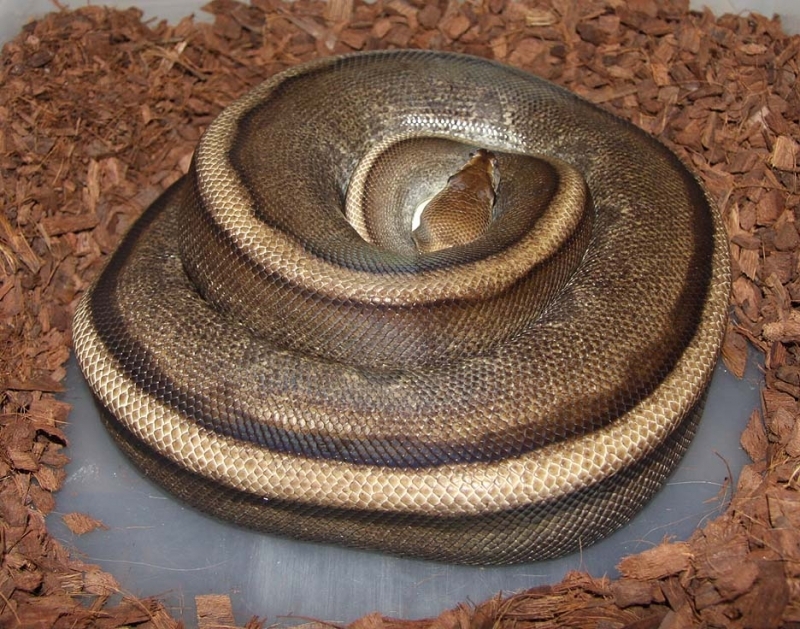 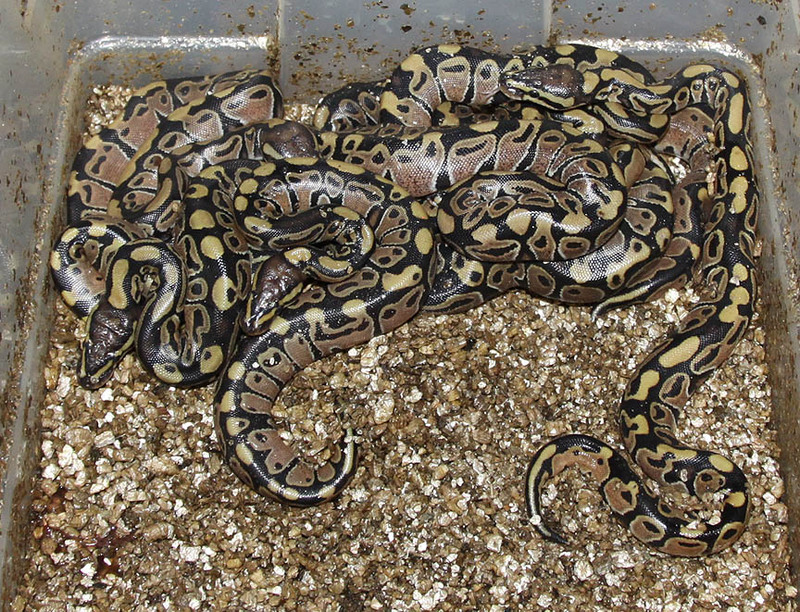 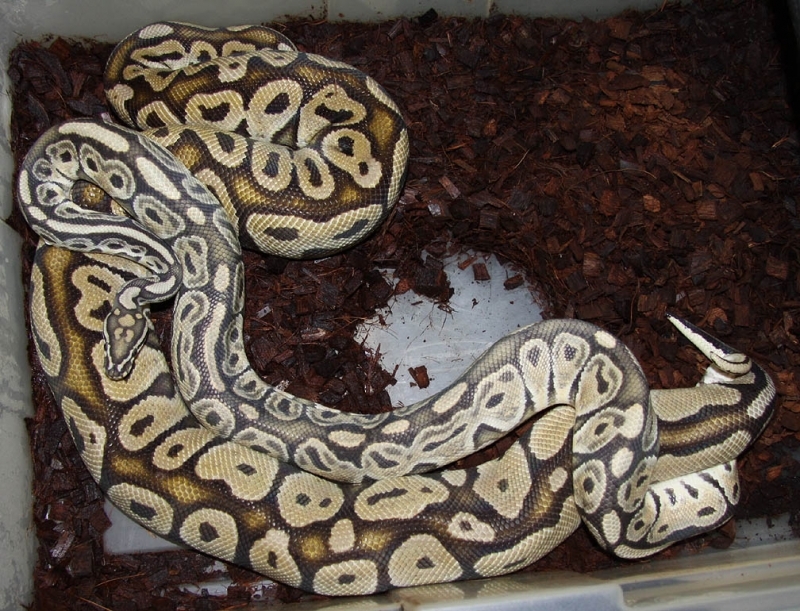 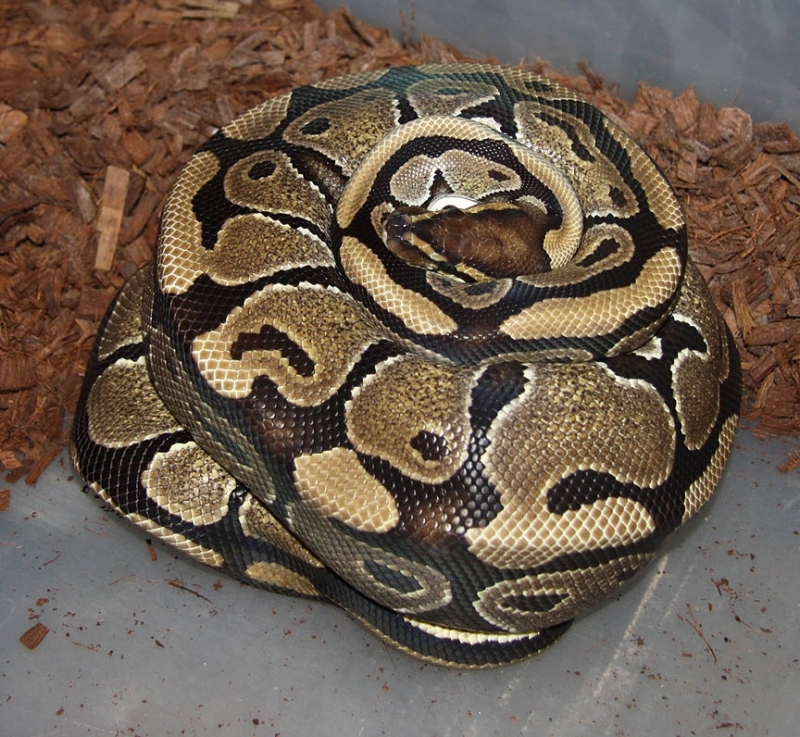 Description: Lesser Yellow Belly 1/10 x Het RA 5/06. 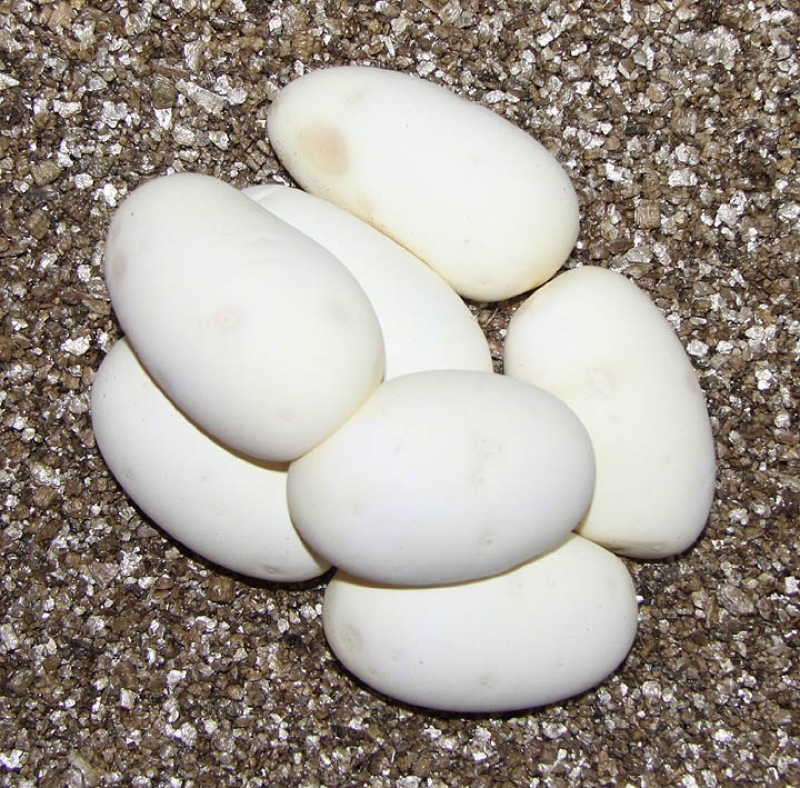 Missed on the Lessers in this clutch. 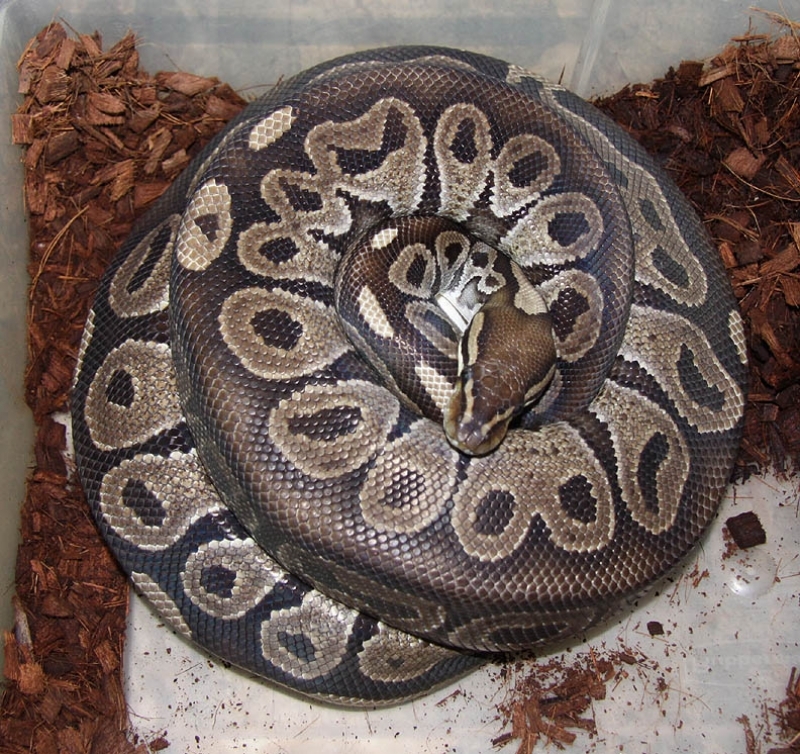 Description: Het RA Het Pied 1/10 x Het Pied 9/06. 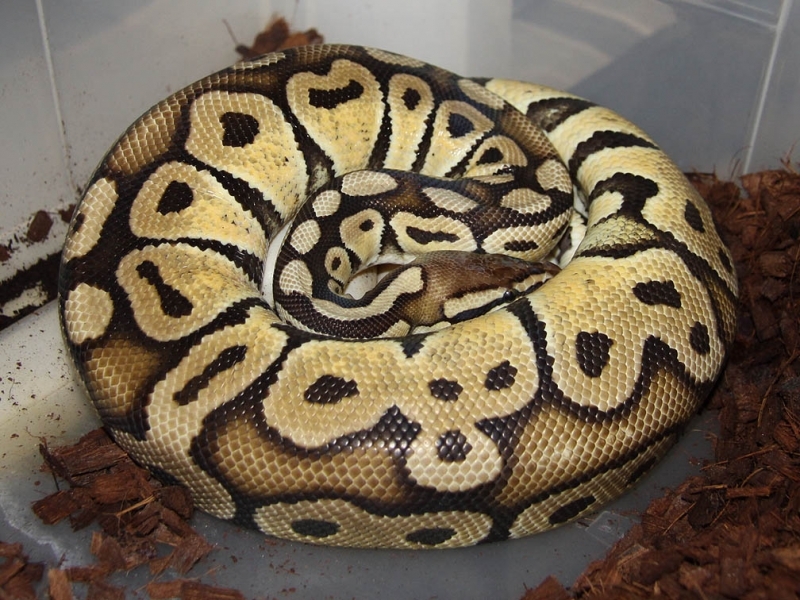 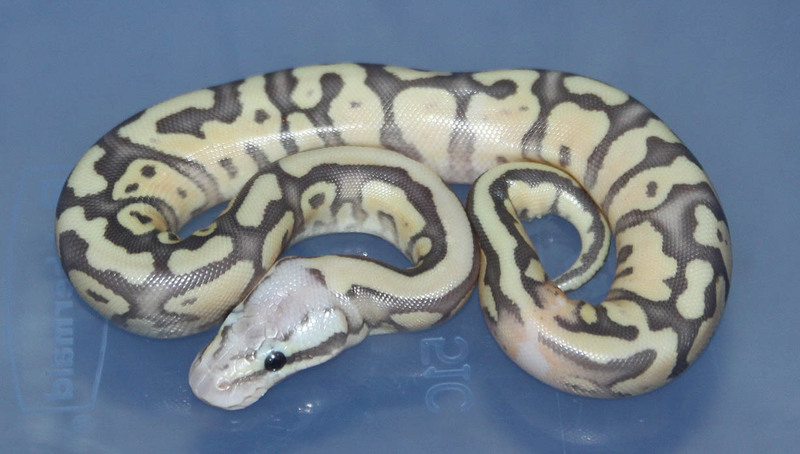 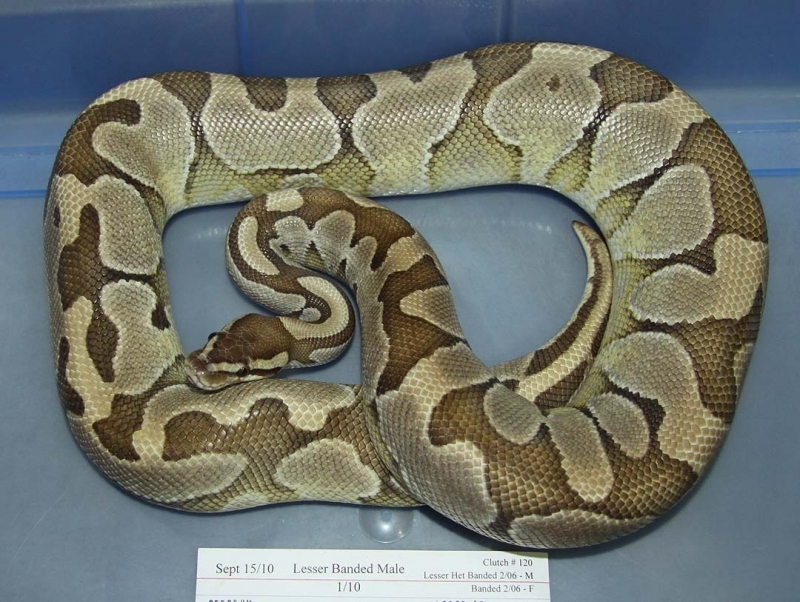 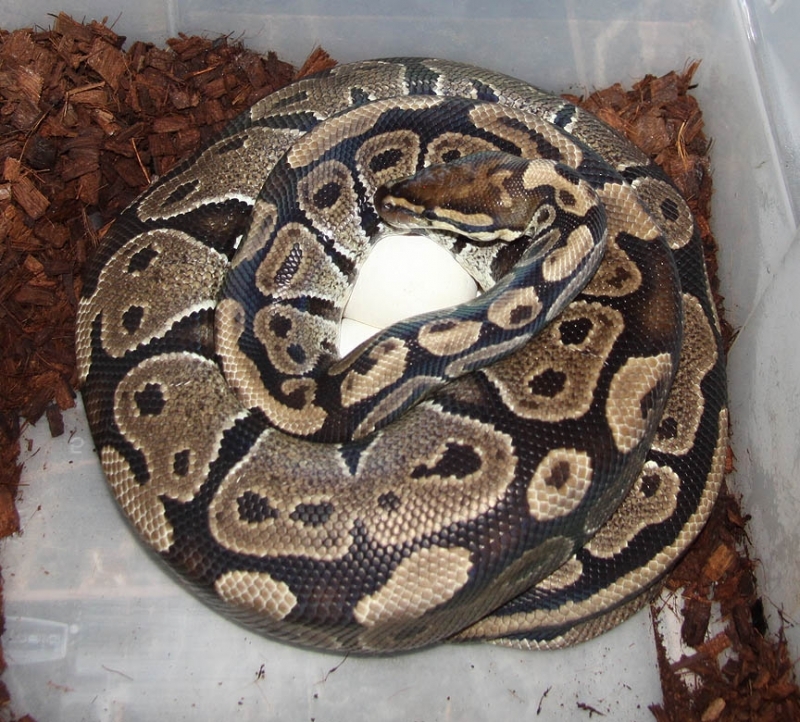 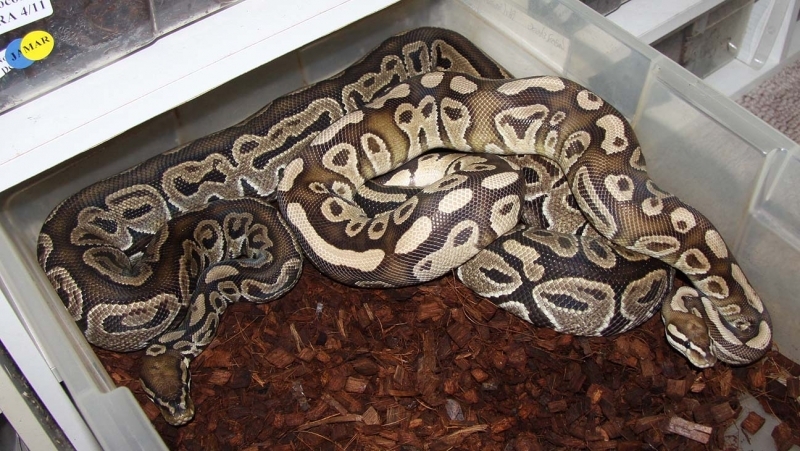 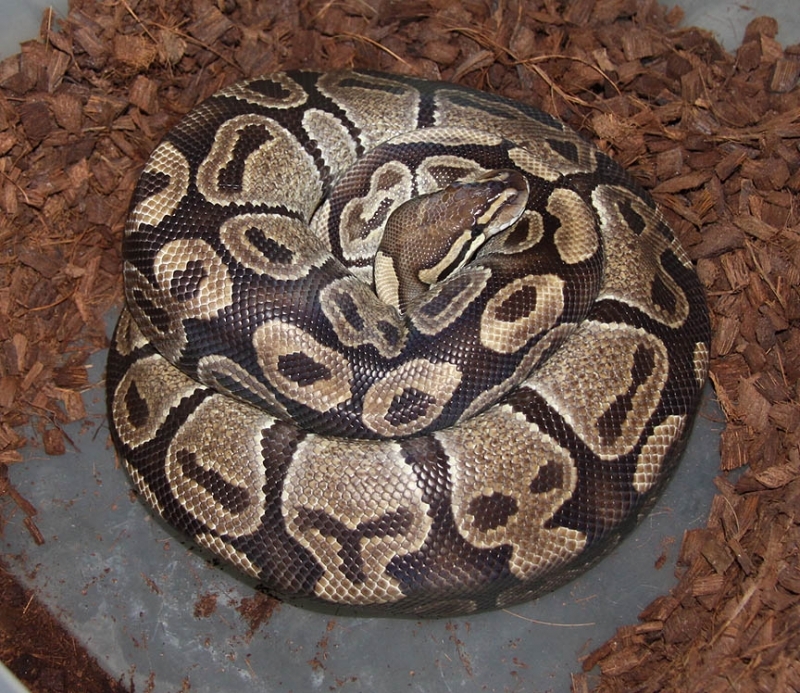 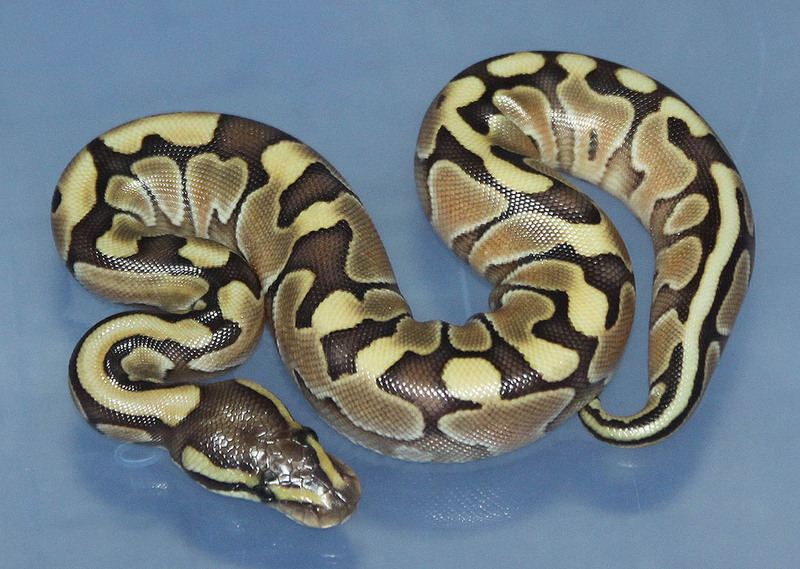 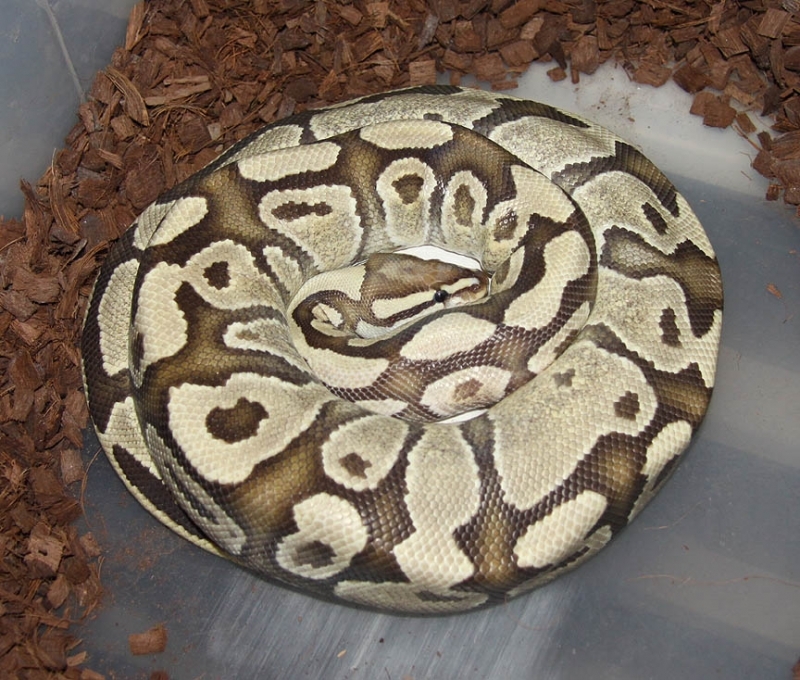 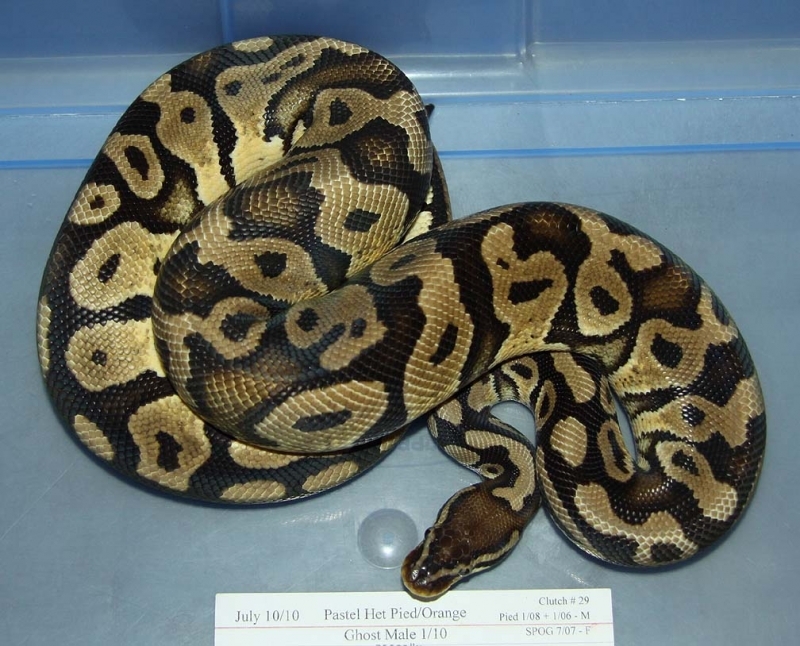 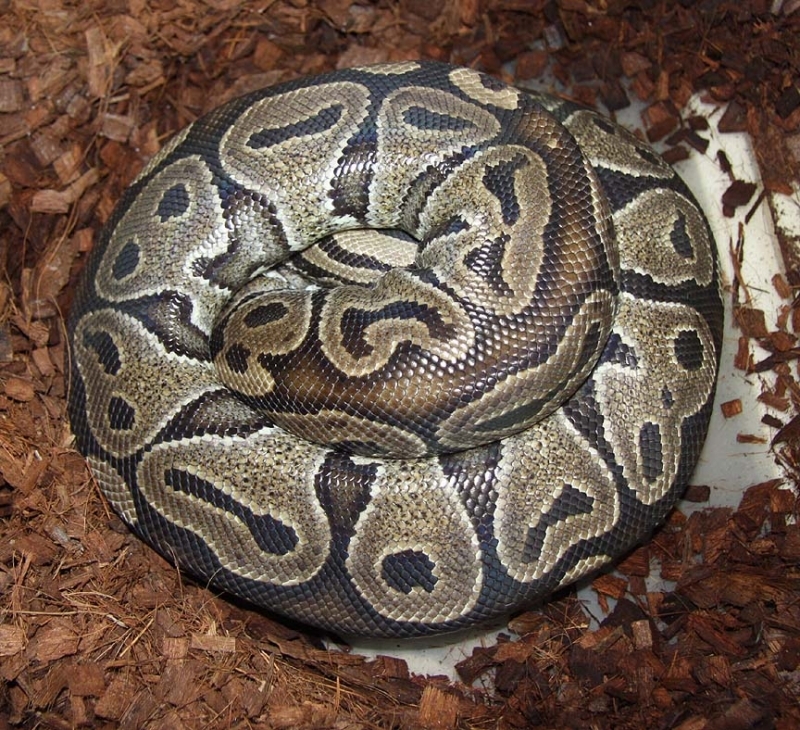 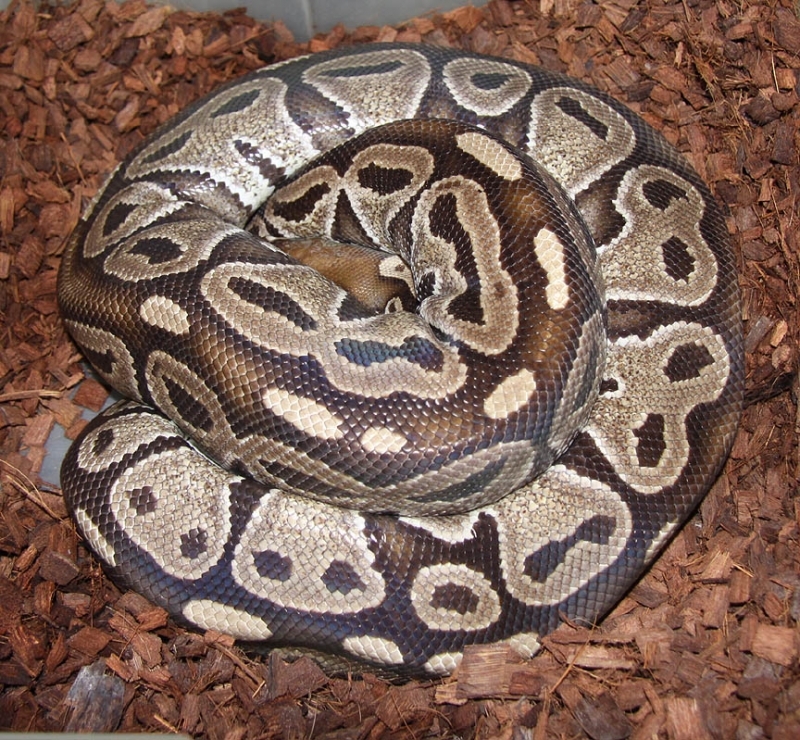 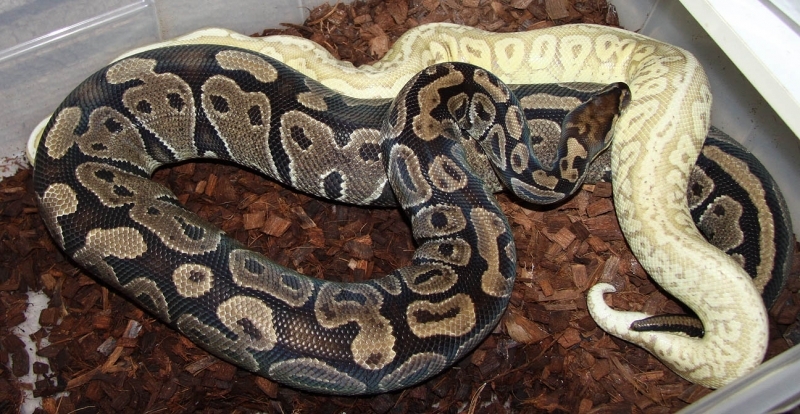 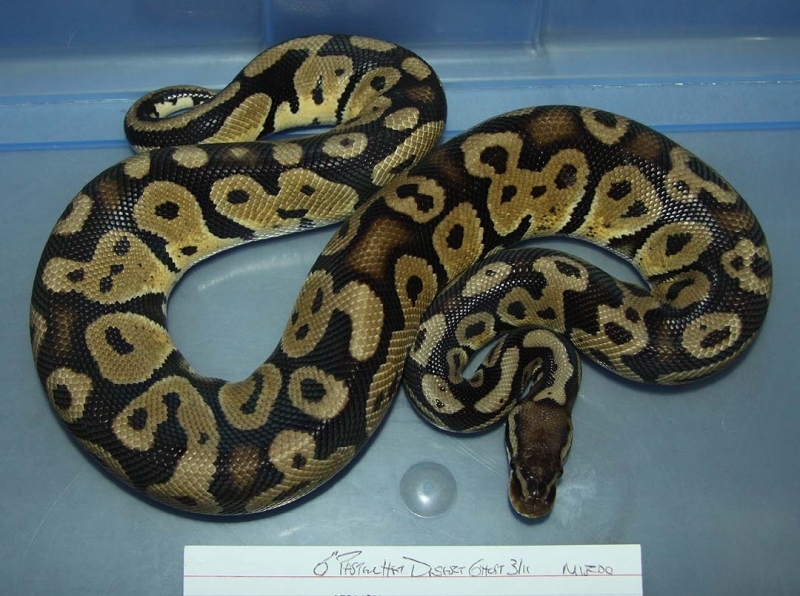 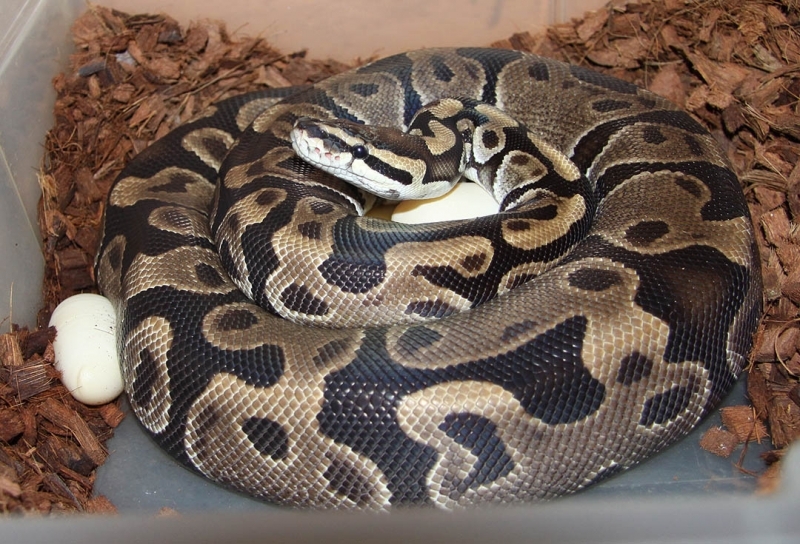 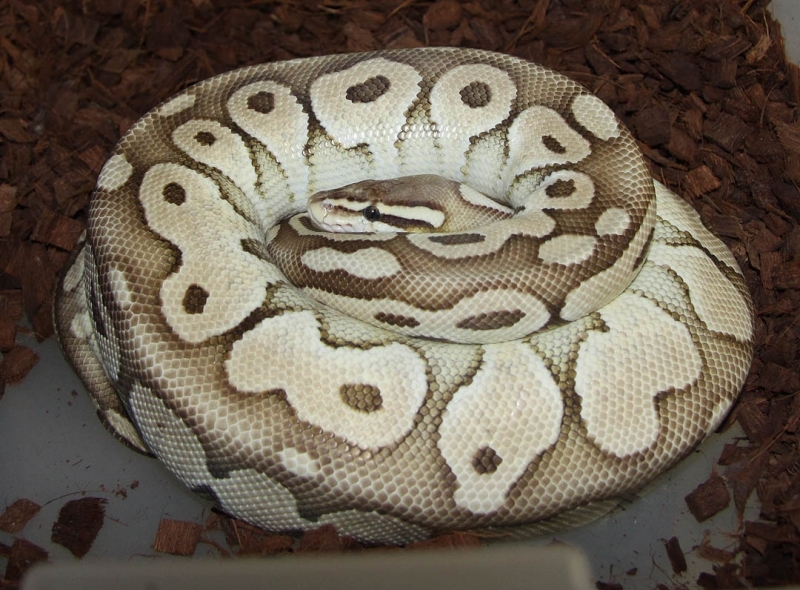 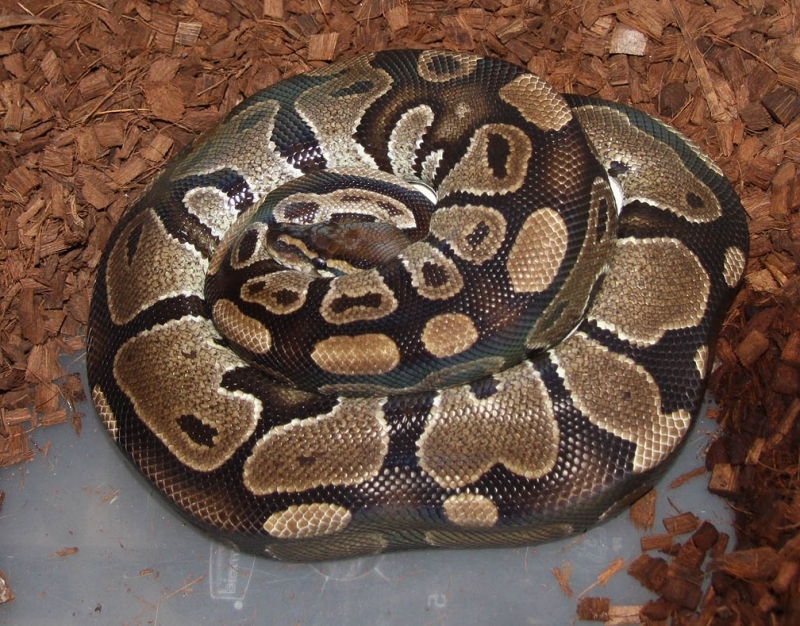 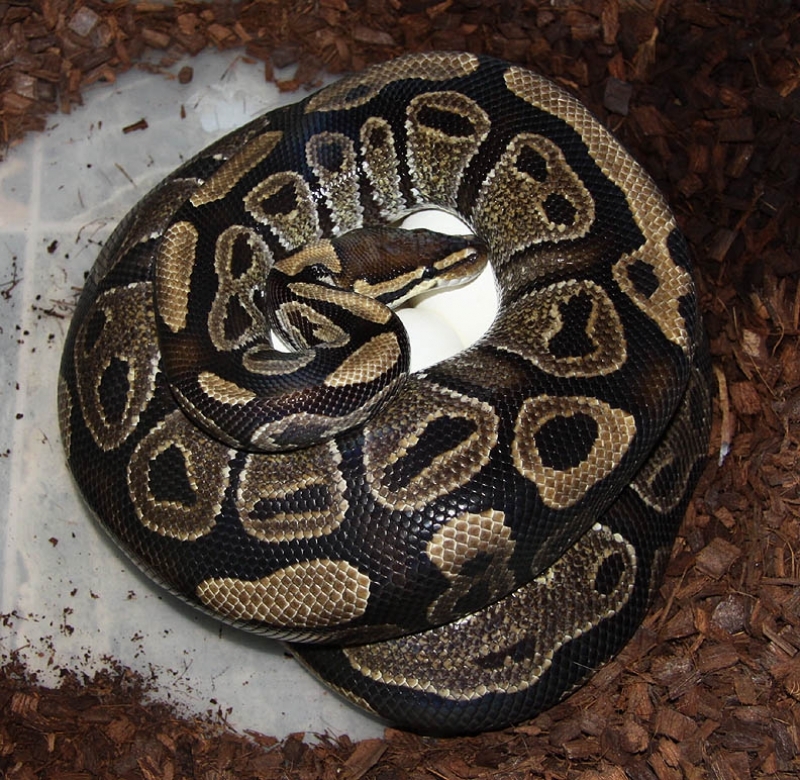 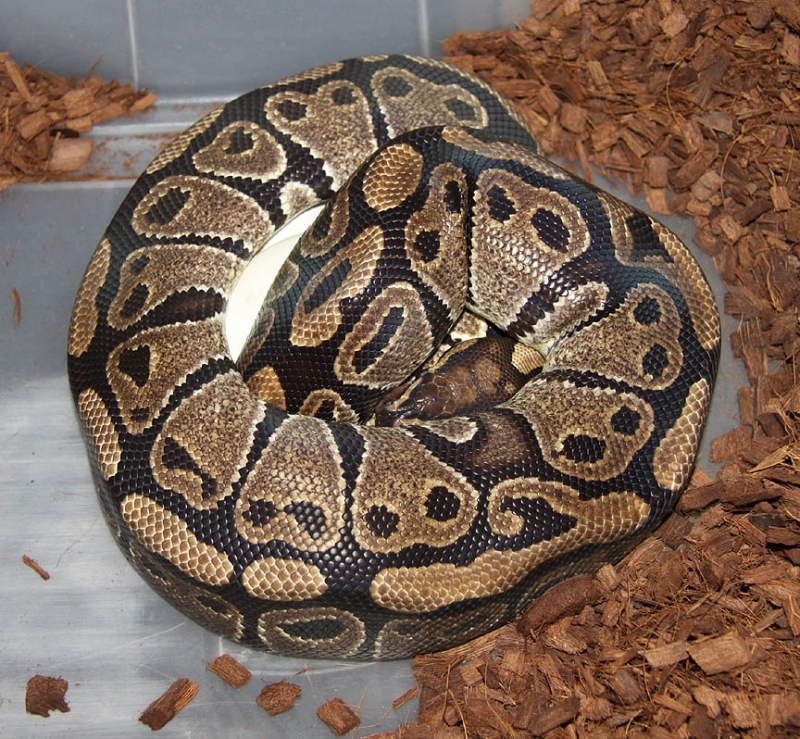 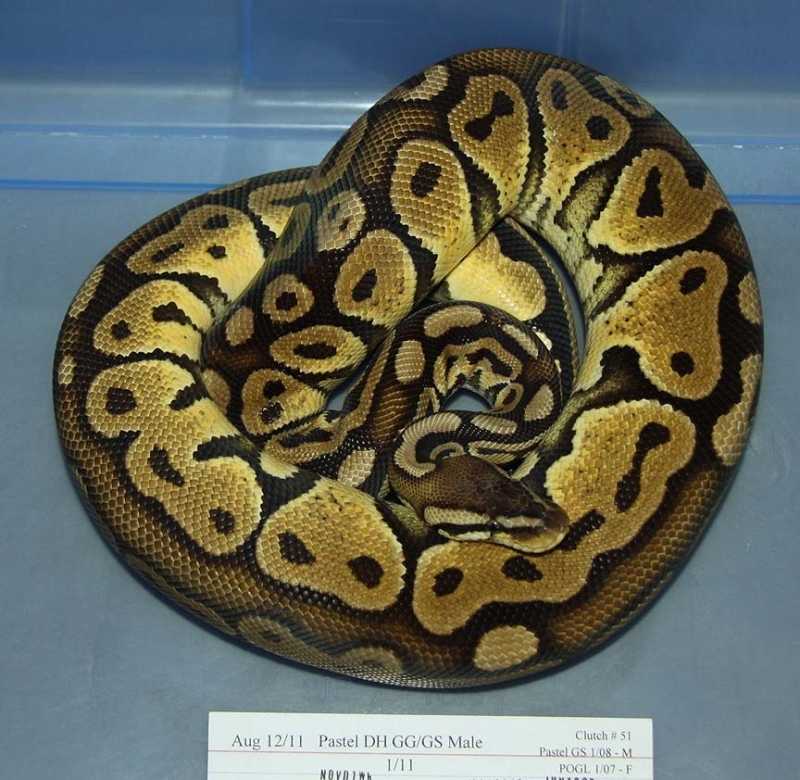 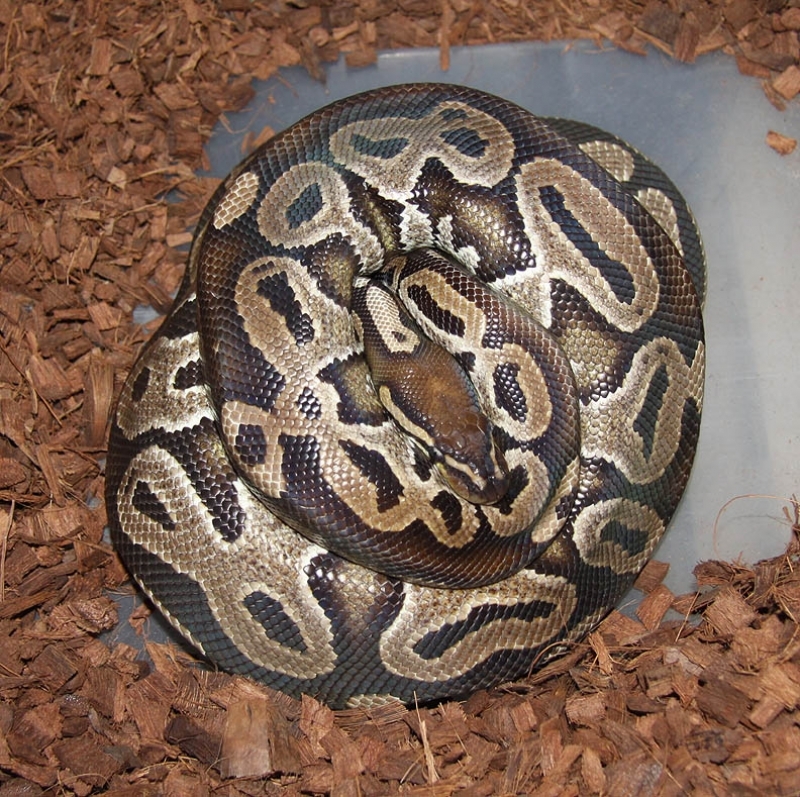 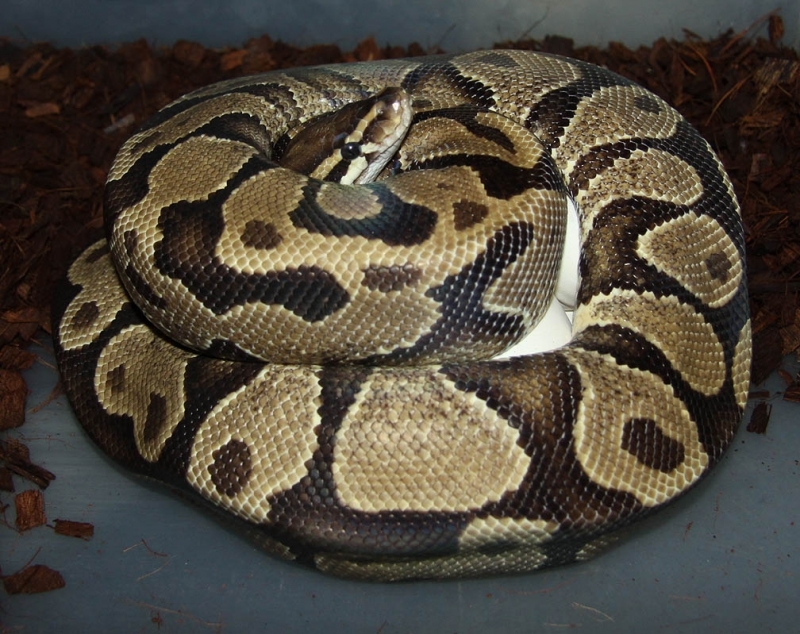 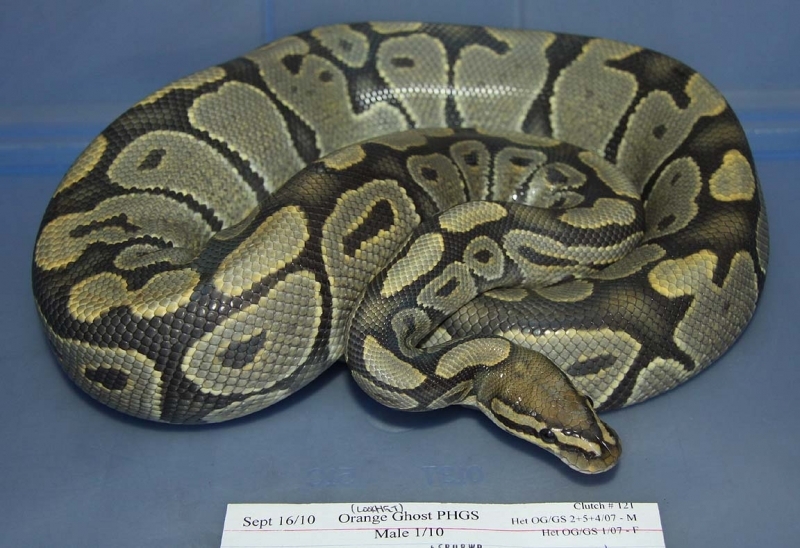 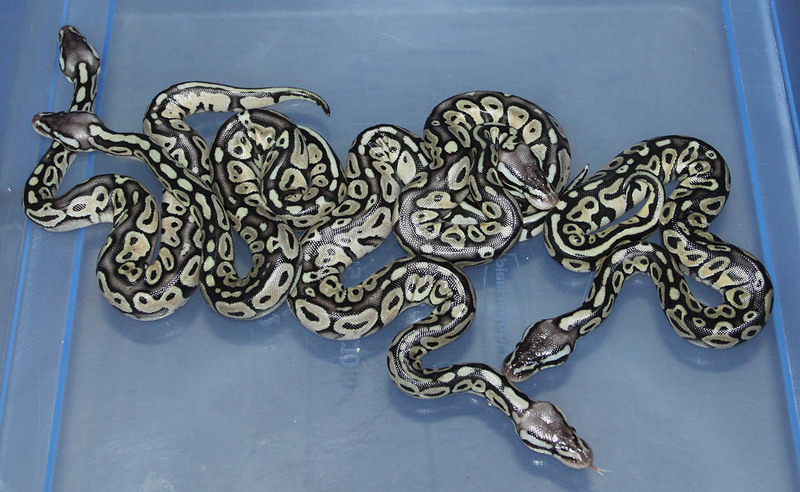 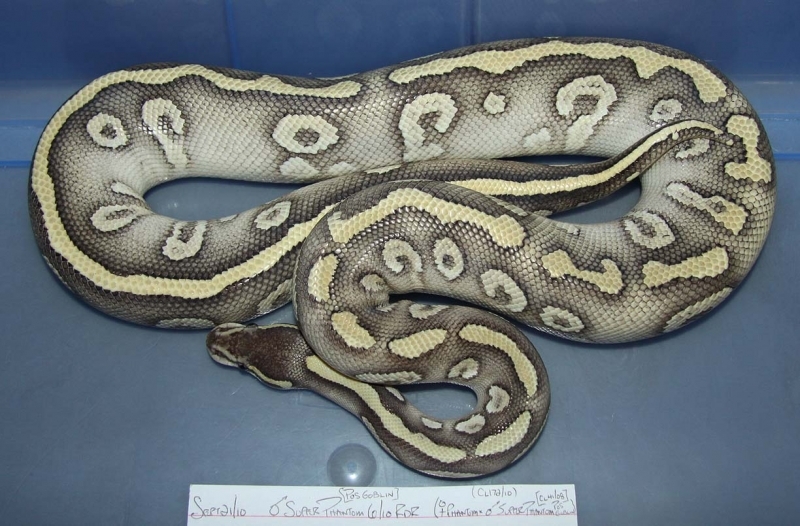 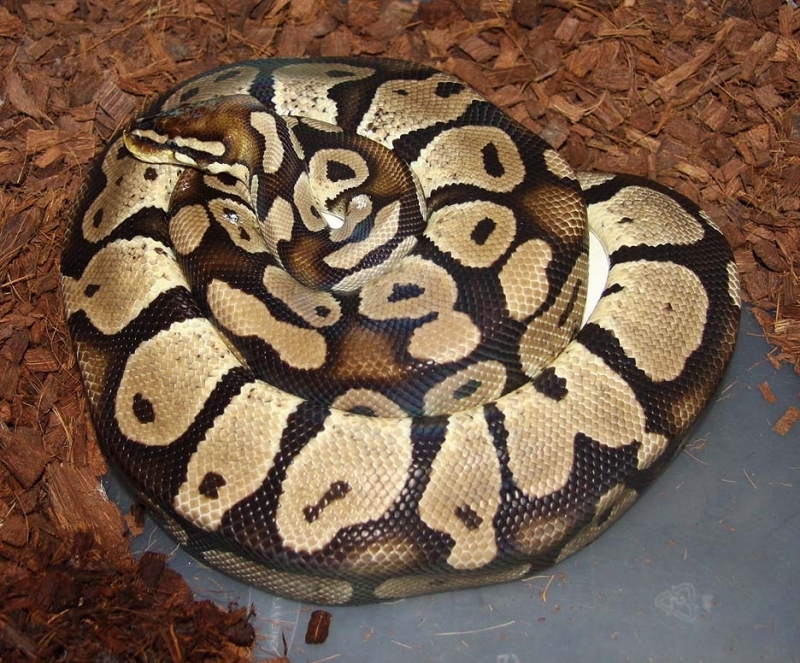 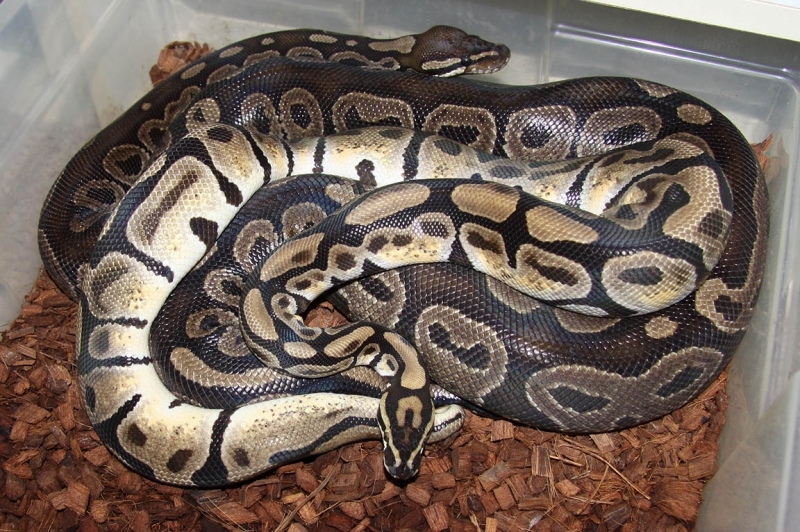 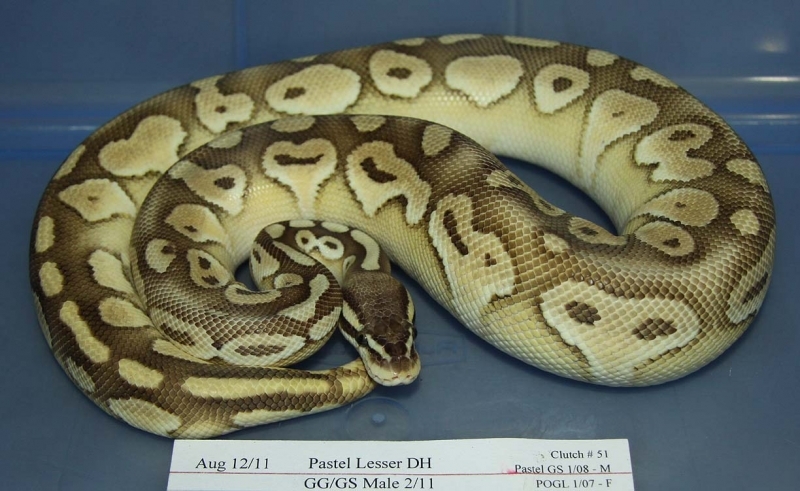 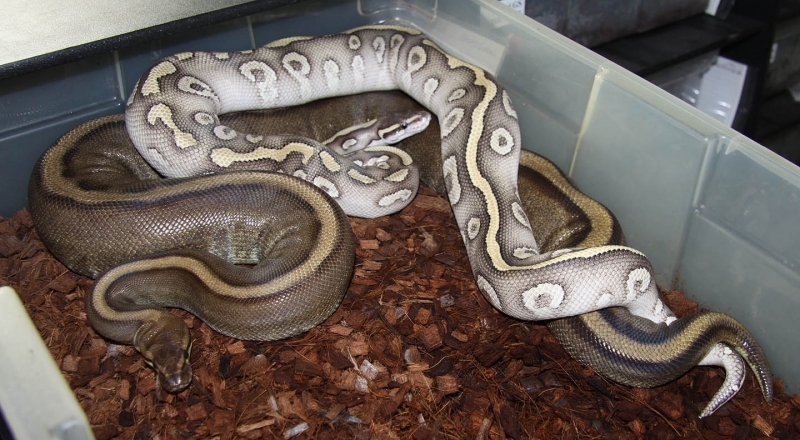 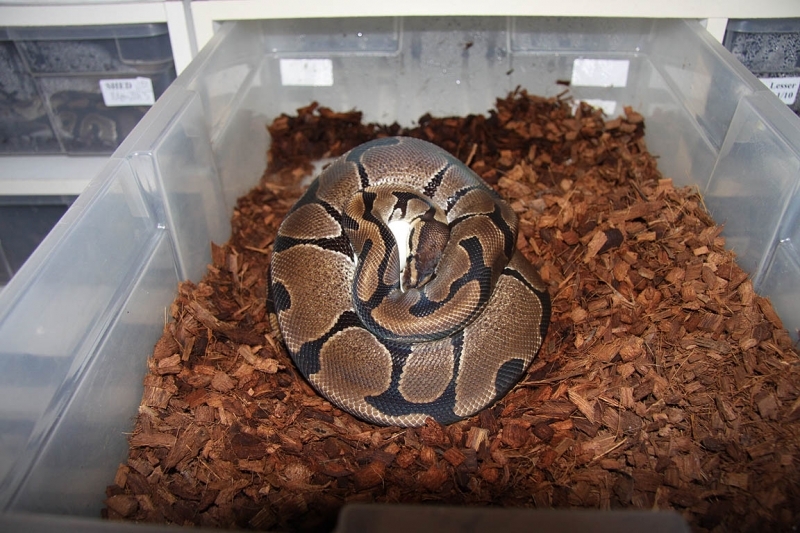 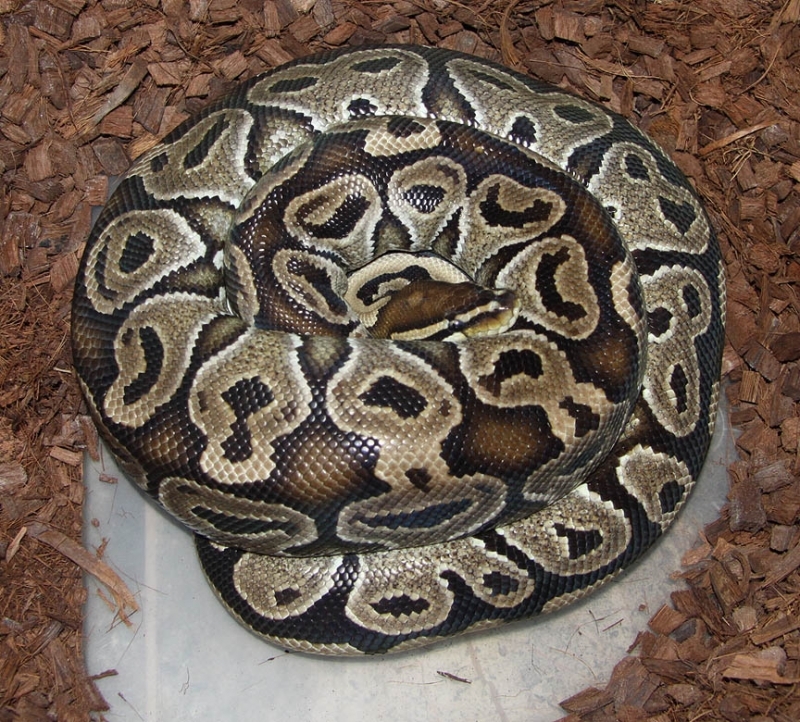 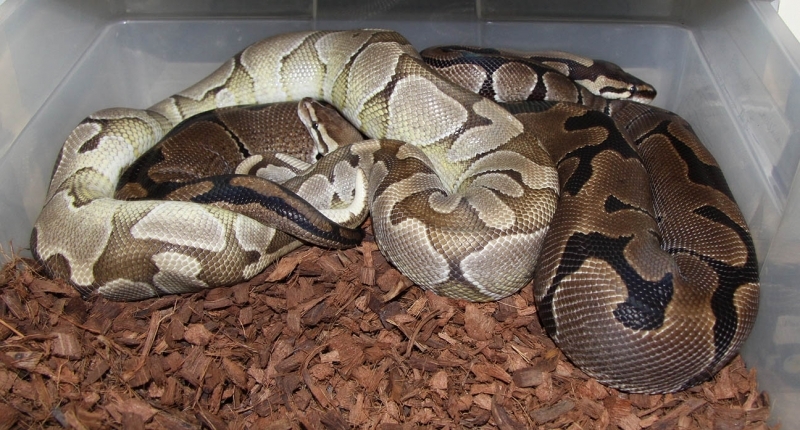 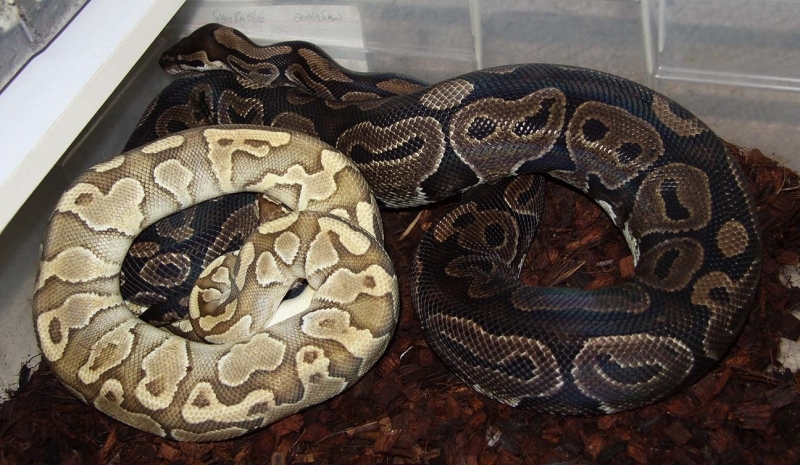 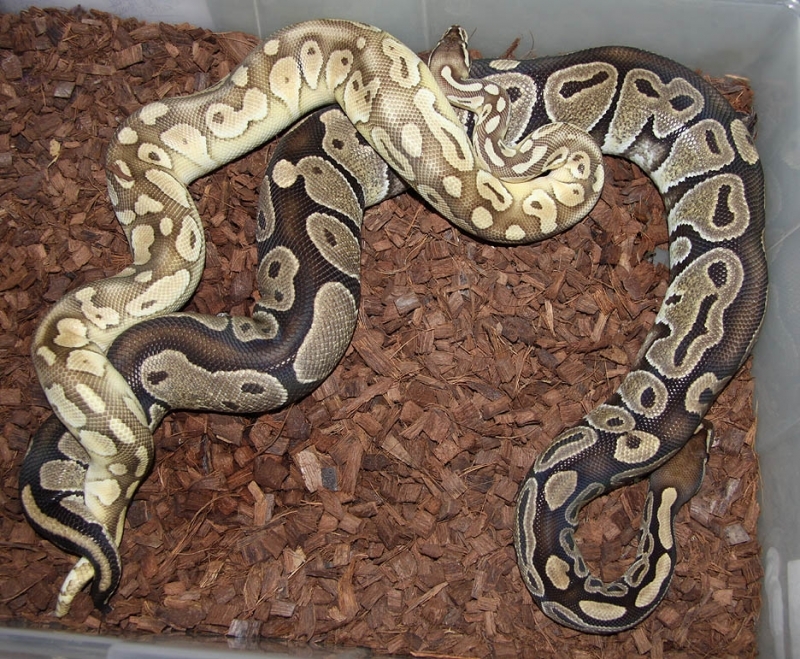 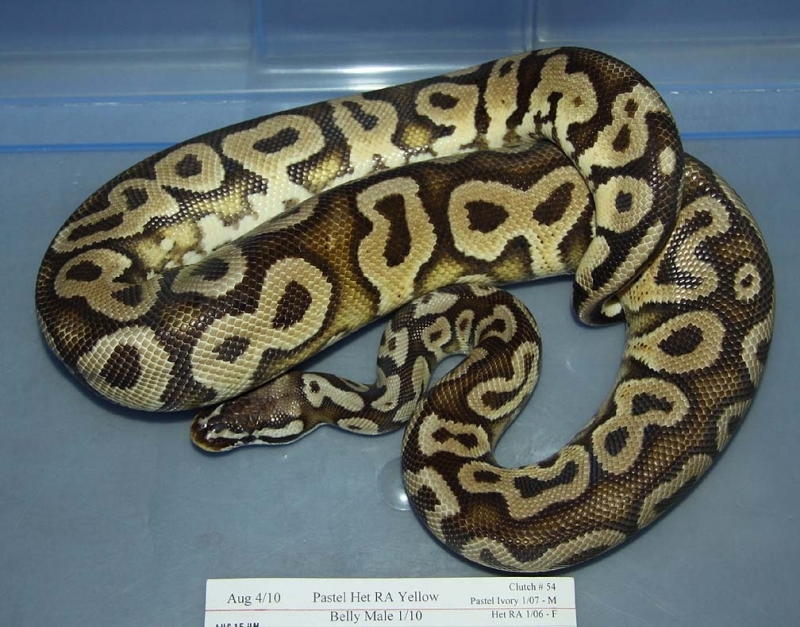 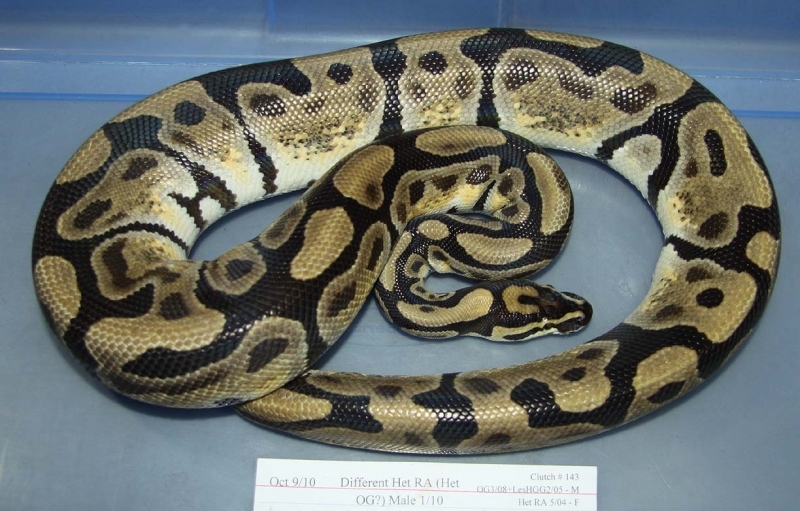 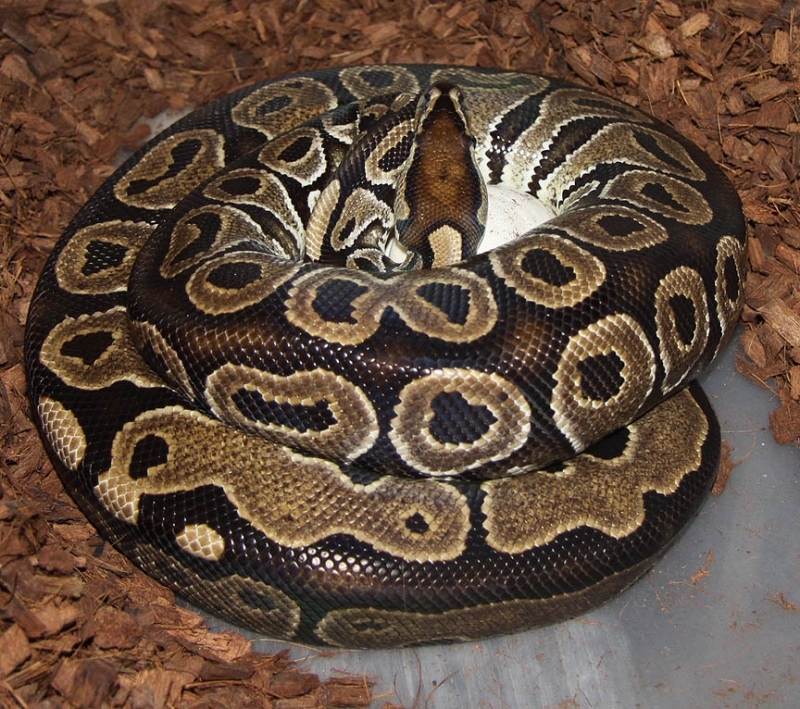 Description: Pastel Het RA YB 1/10 x Het RA 6/06. 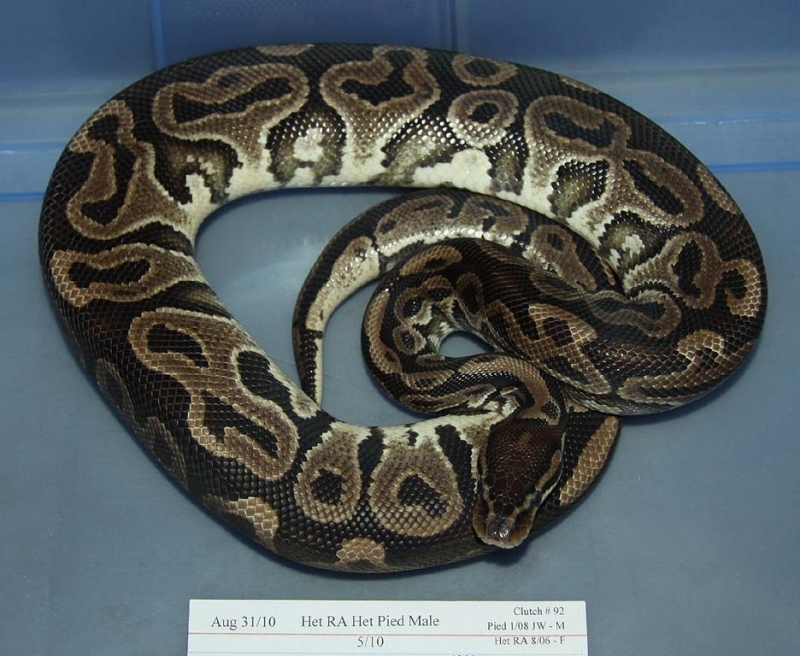 Description: Het RA Het Pied 5/10 x Het Pied 1/09. 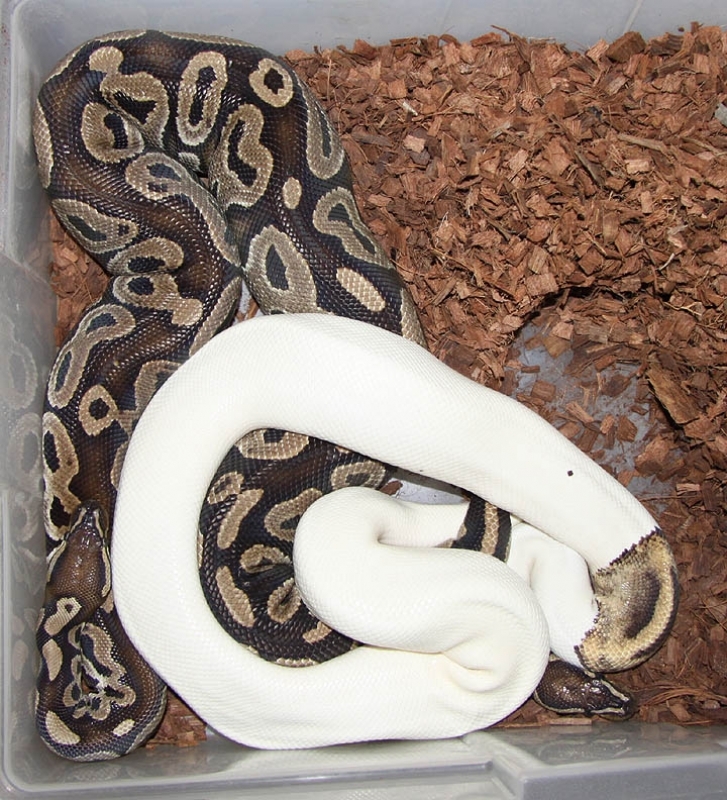 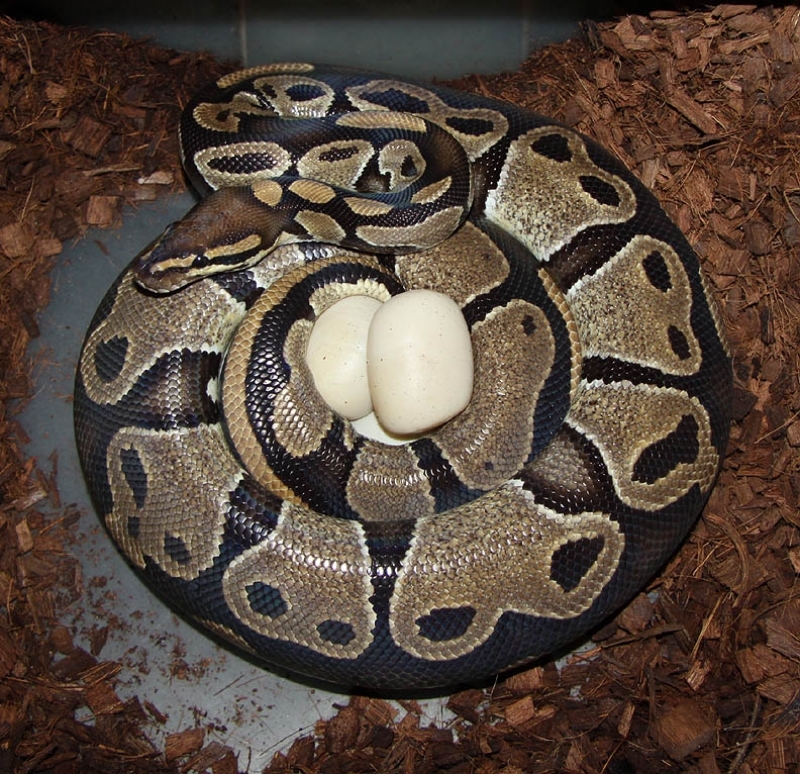 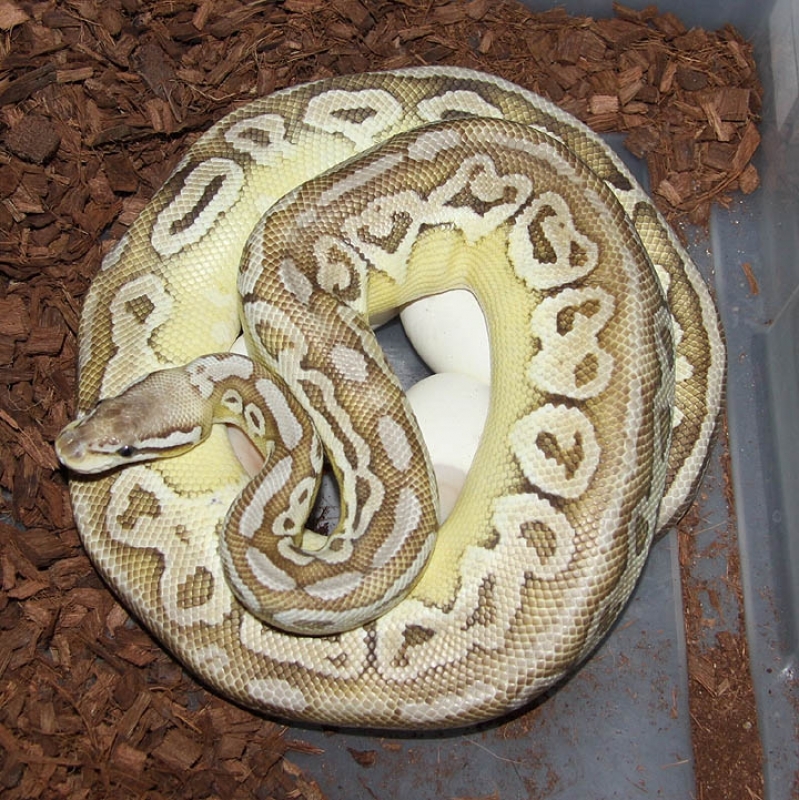 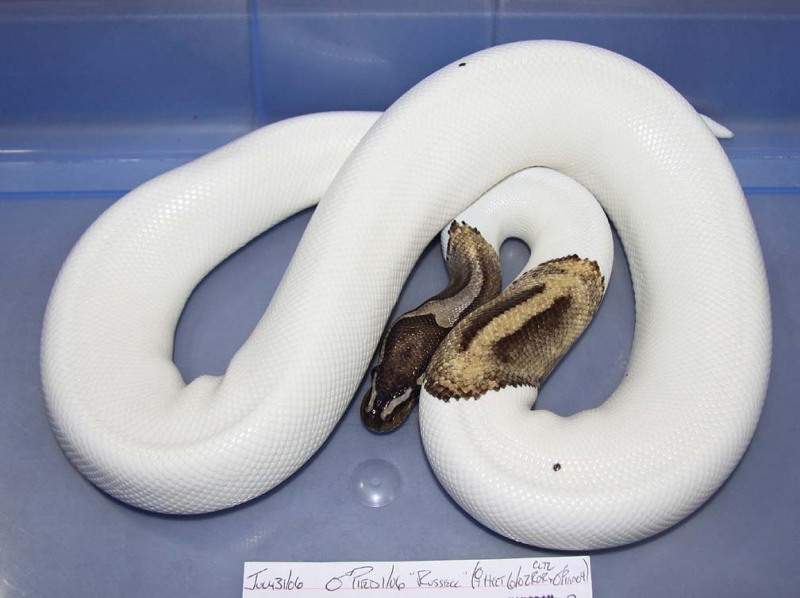 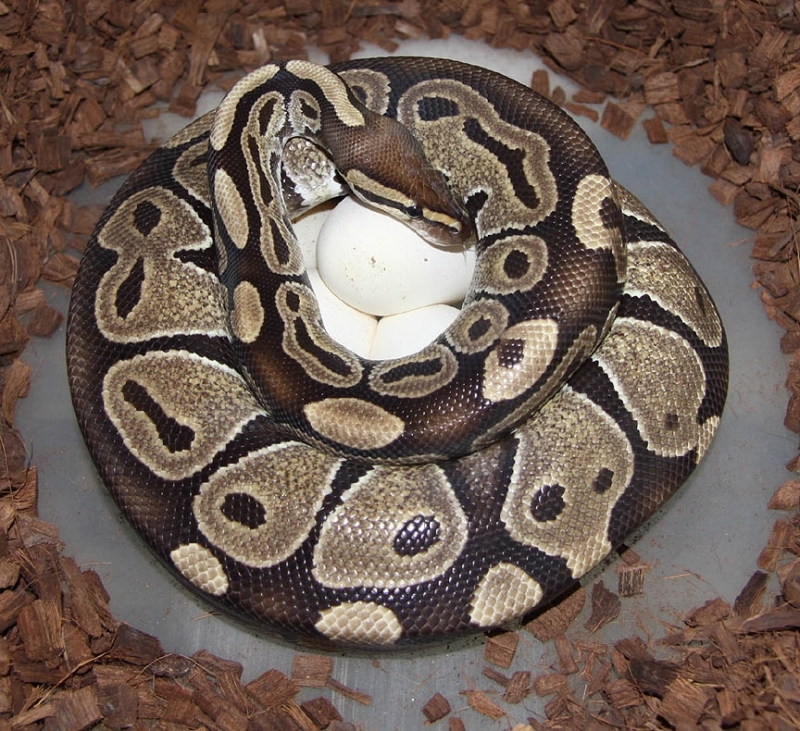 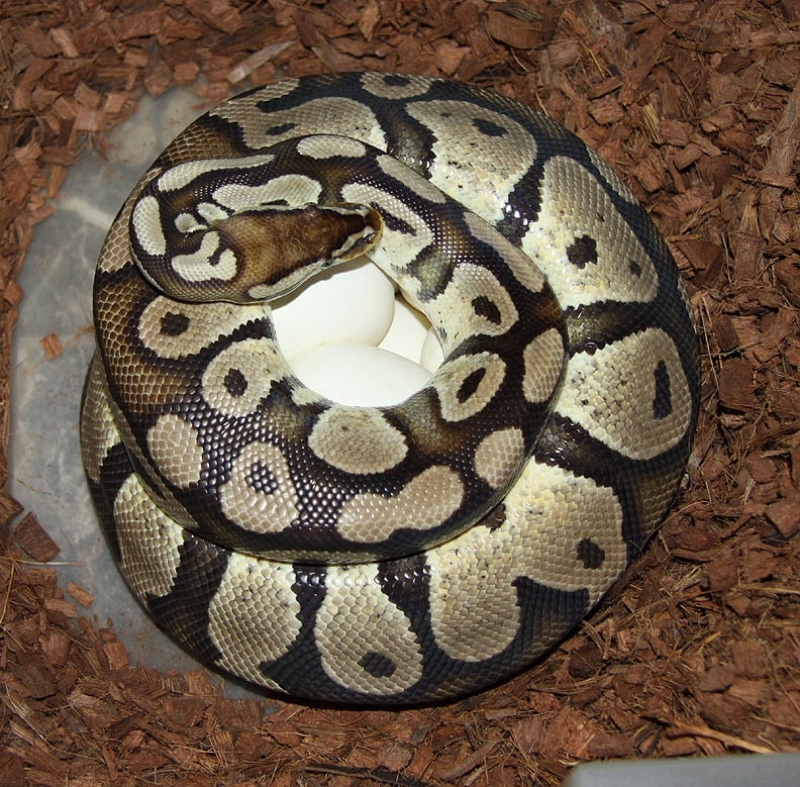 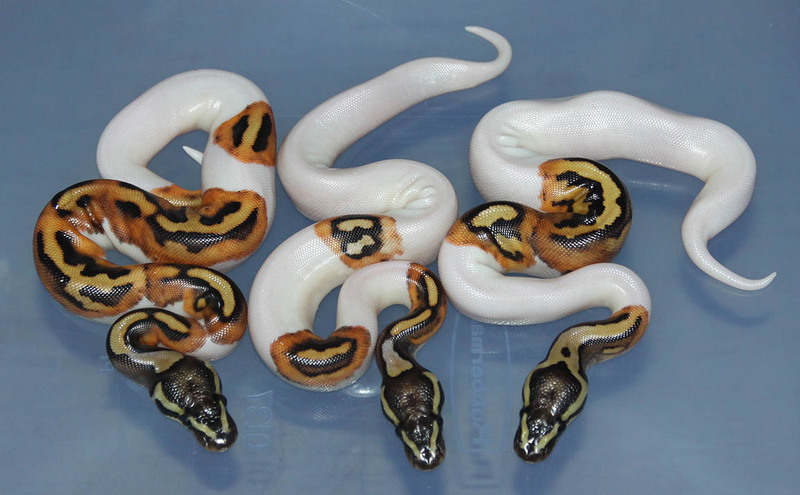 Description: Pastel Double Het Orange Ghost/Pied 1/10 x Double Het Orange Ghost/Pied 5/11. 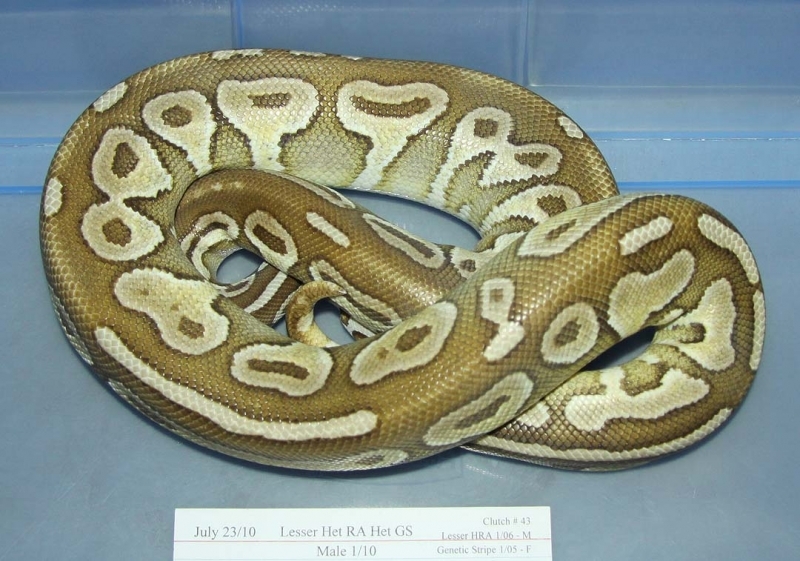 Description: Pied 1/06 "Russell" x Het RA Het Pied 9/10. 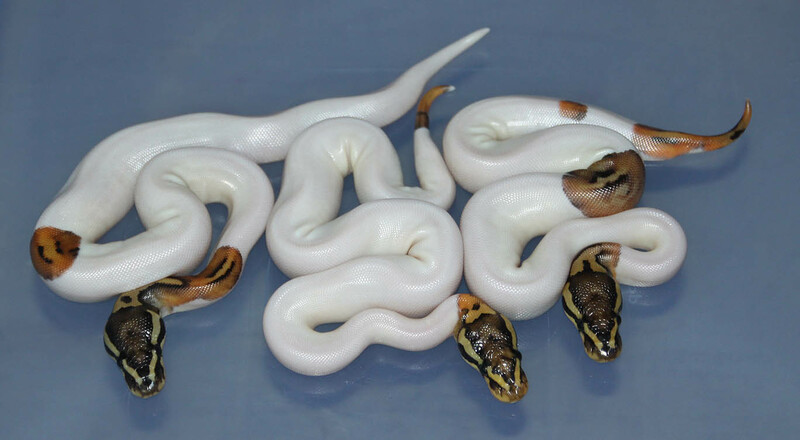 I really like these Pieds! 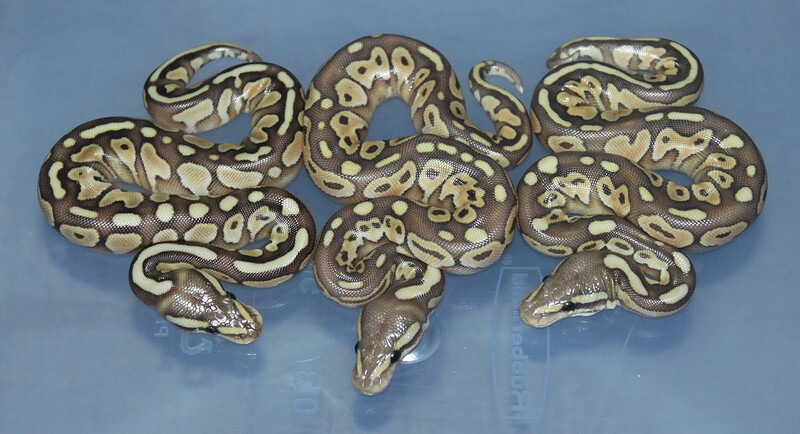 Description: Citrus Puma 2/11 & 1/11 x High Yellow YB 5/09. 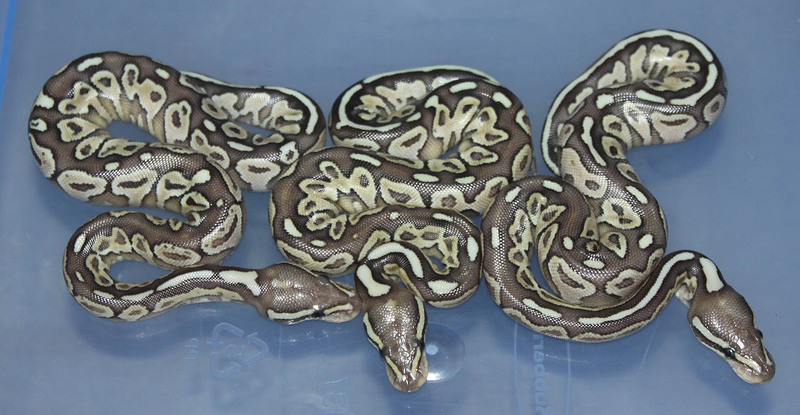 Description: Pastel Het Desert Ghost 3/11 x Het Weird 1/08. 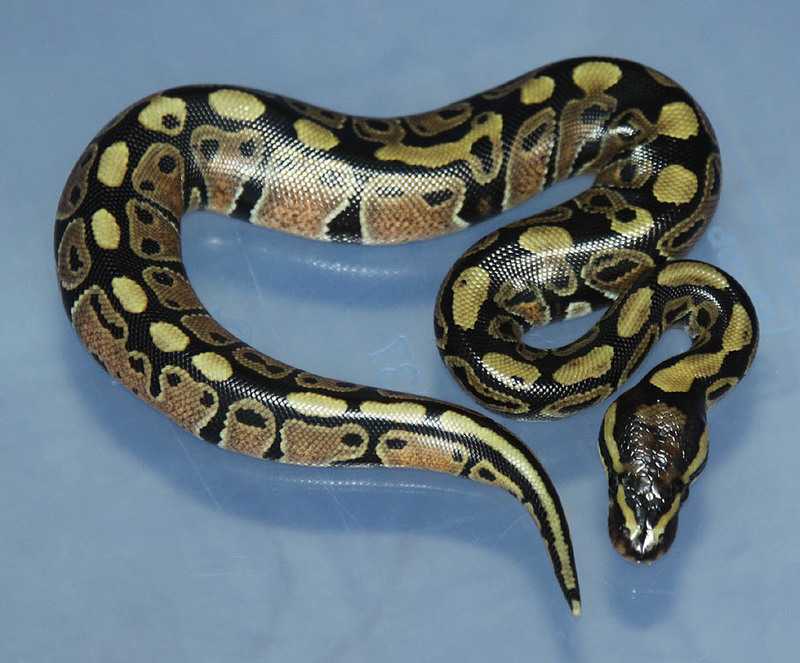 Description: Orange Ghost Pos Het GS 1/10 x Genetic Stripe 5/10. 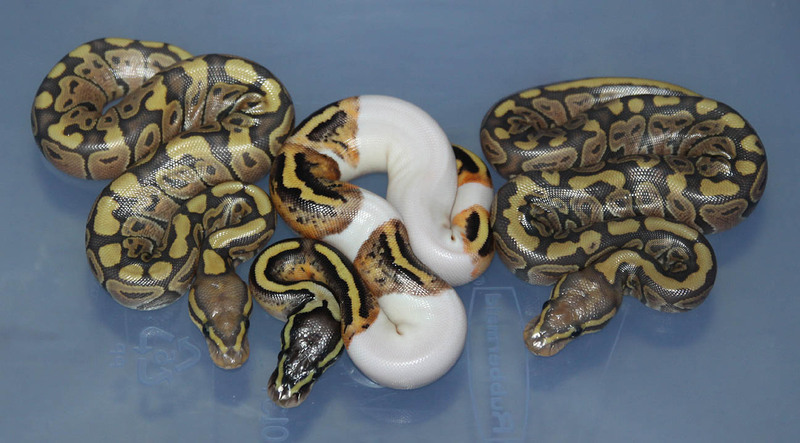 I think it's safe to say the OG PHGS male is just an Orange Ghost. 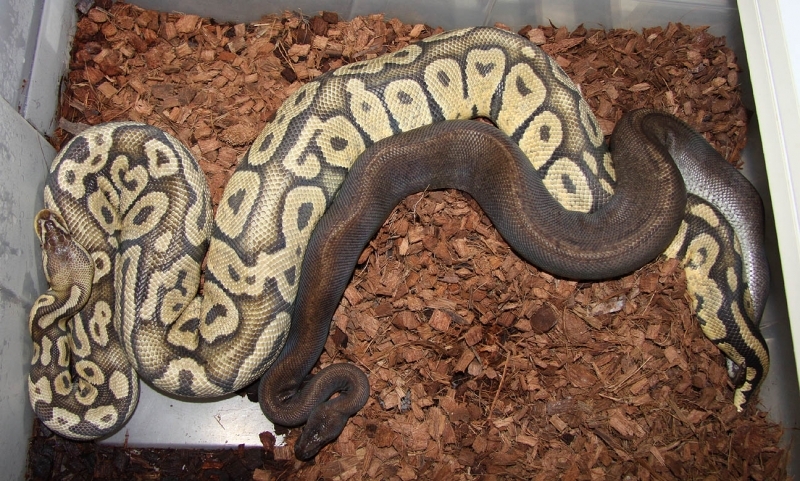 Description: Split Neck 1/06 x Het Split Neck 3/11. 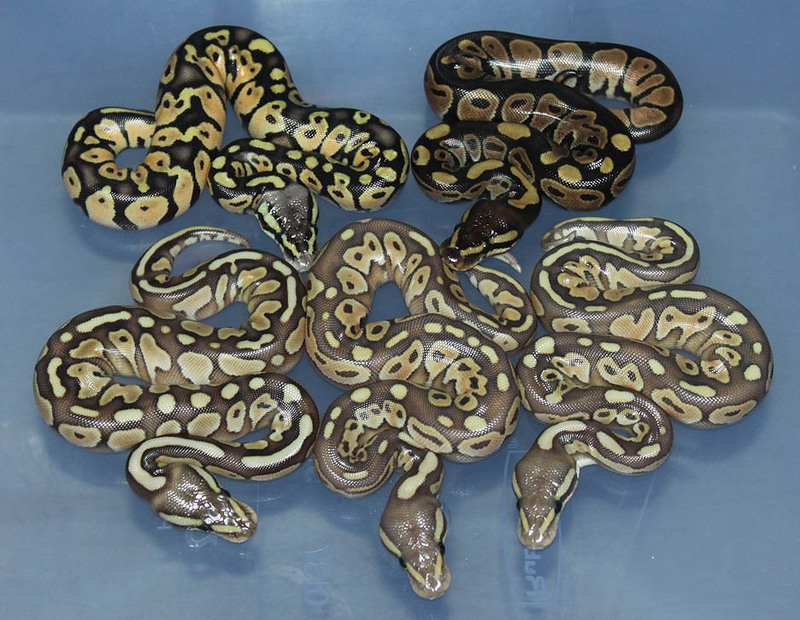 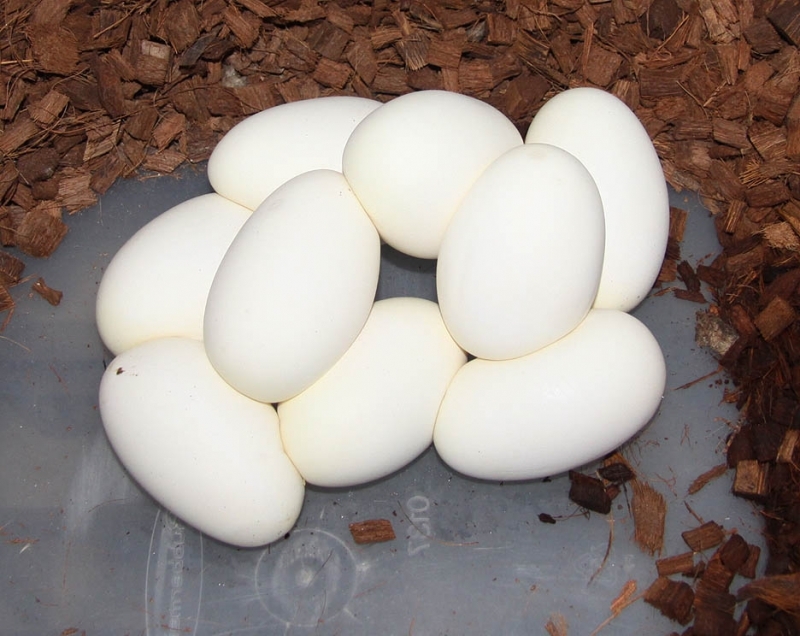 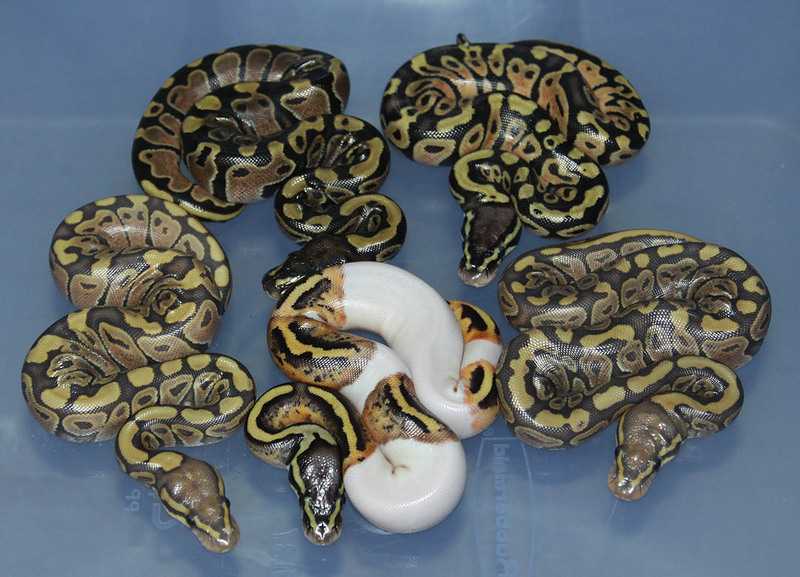 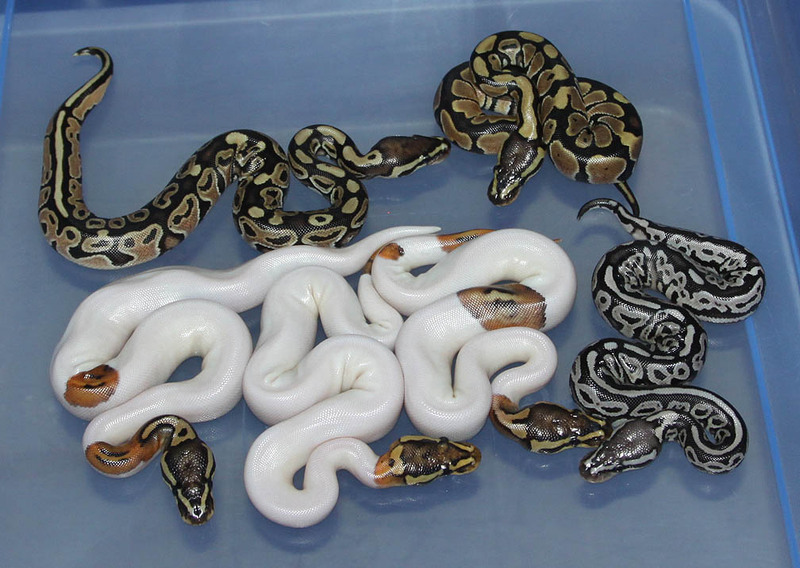 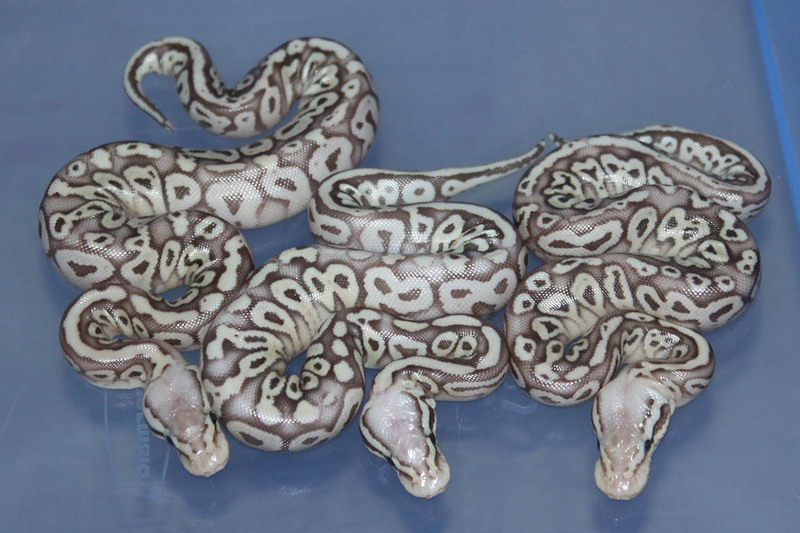 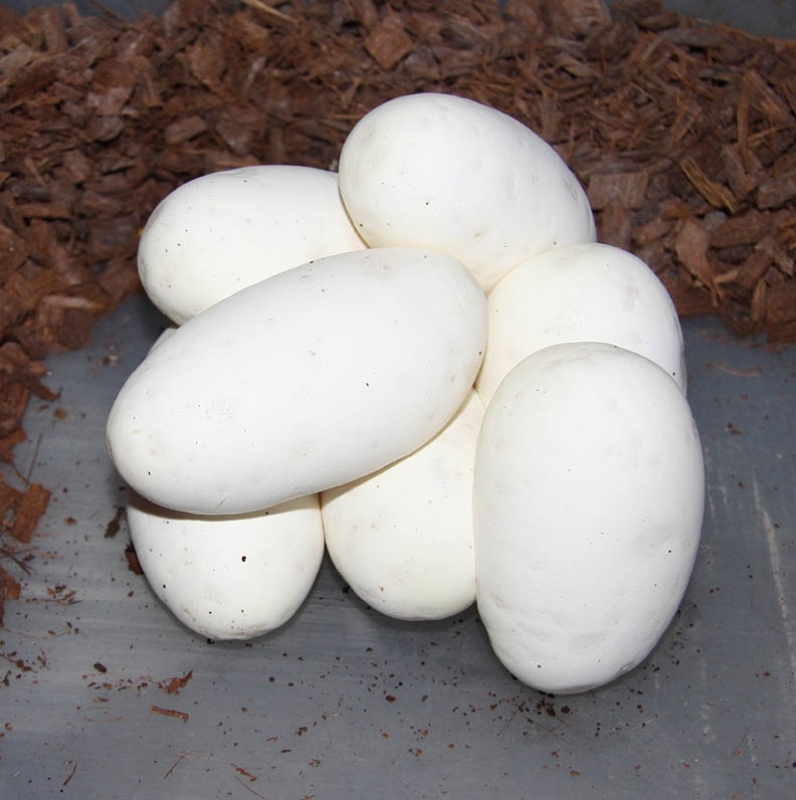 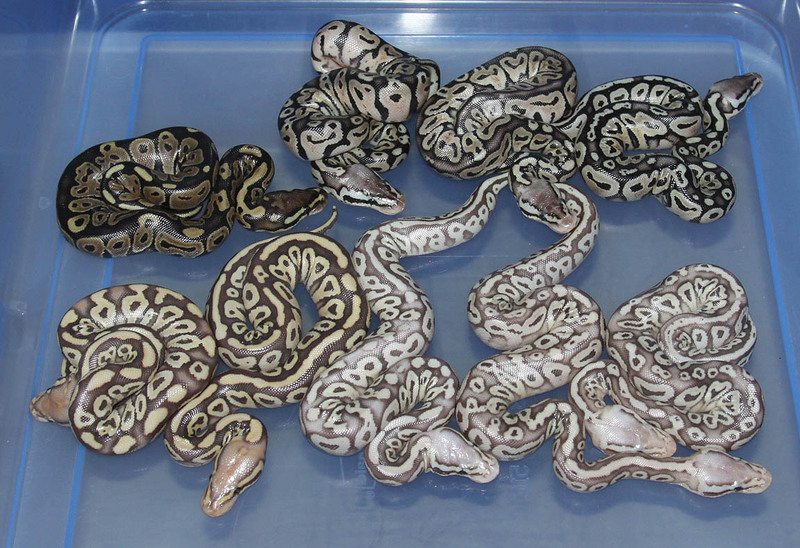 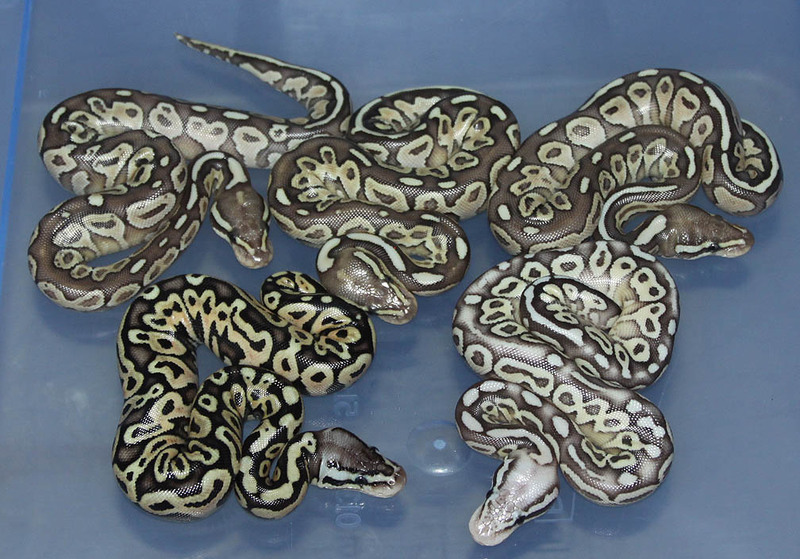 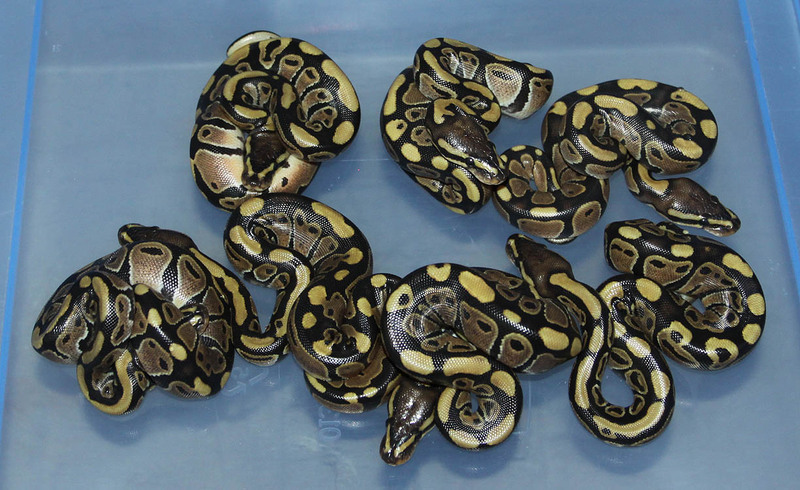 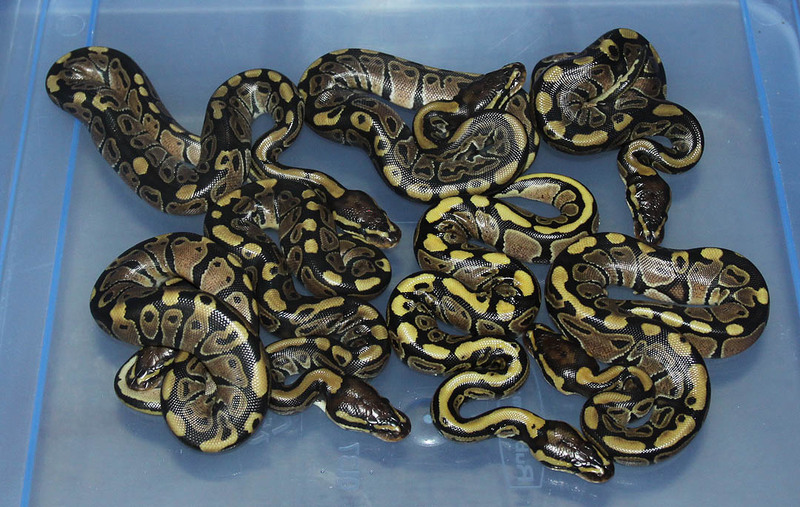 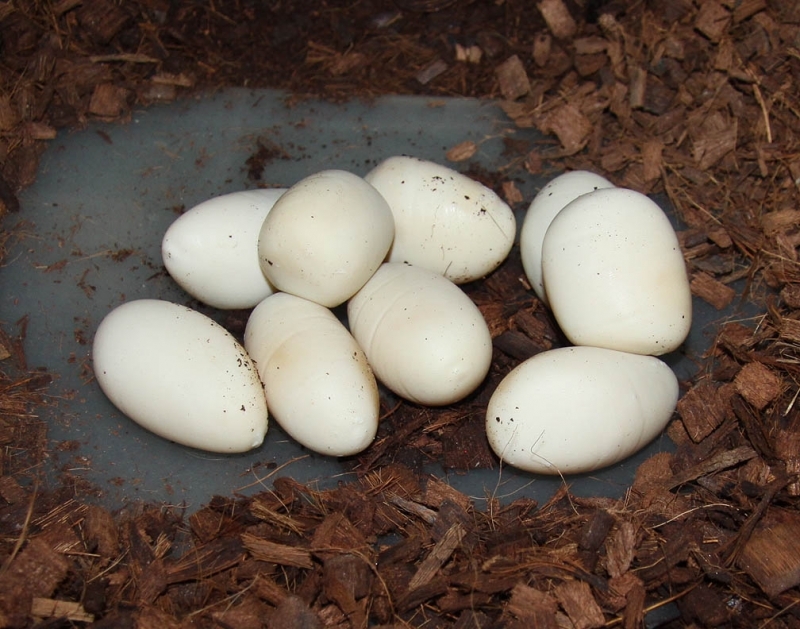 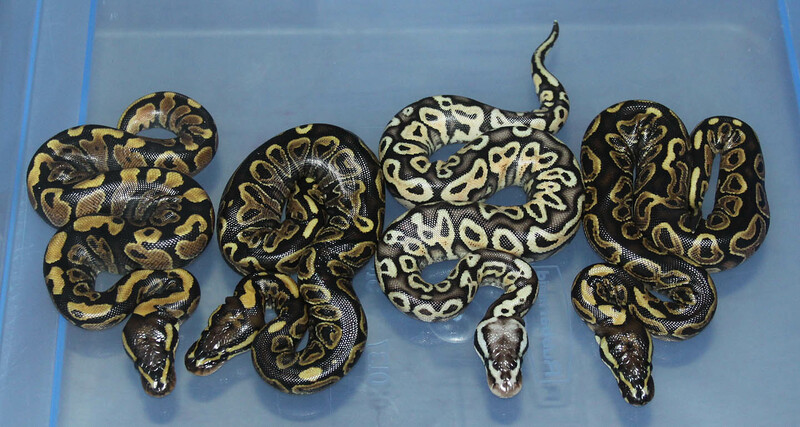 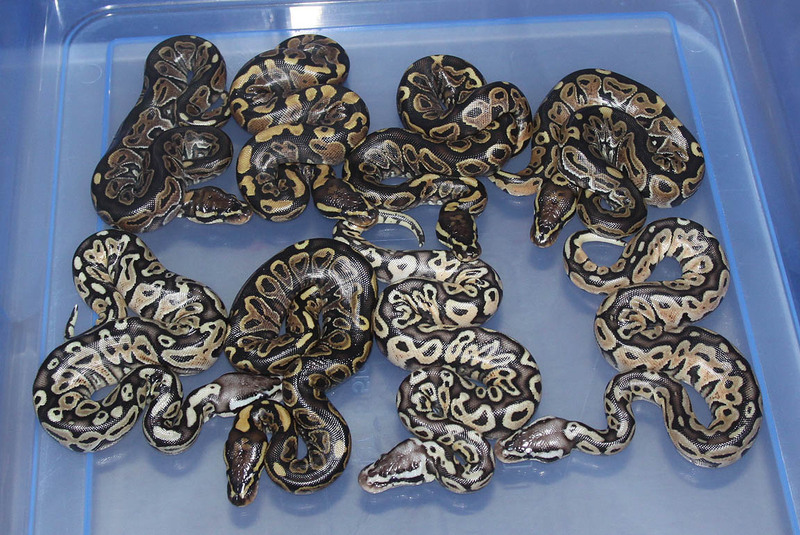 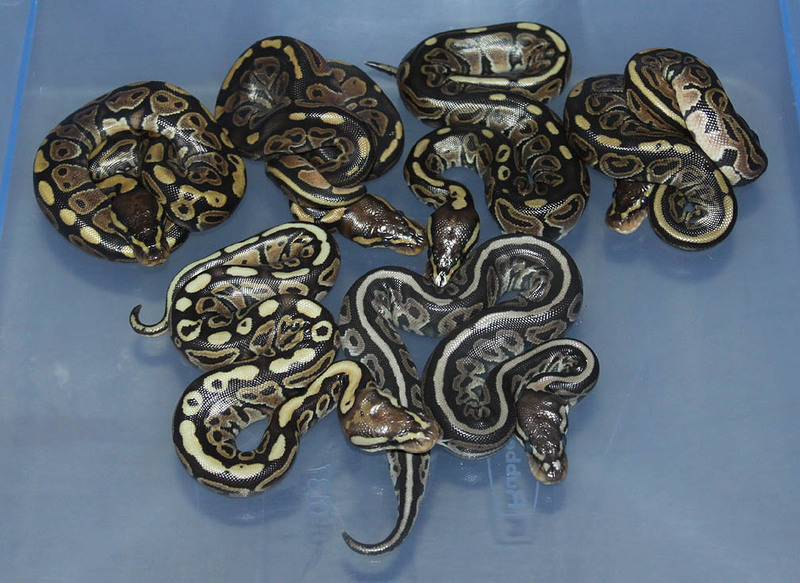 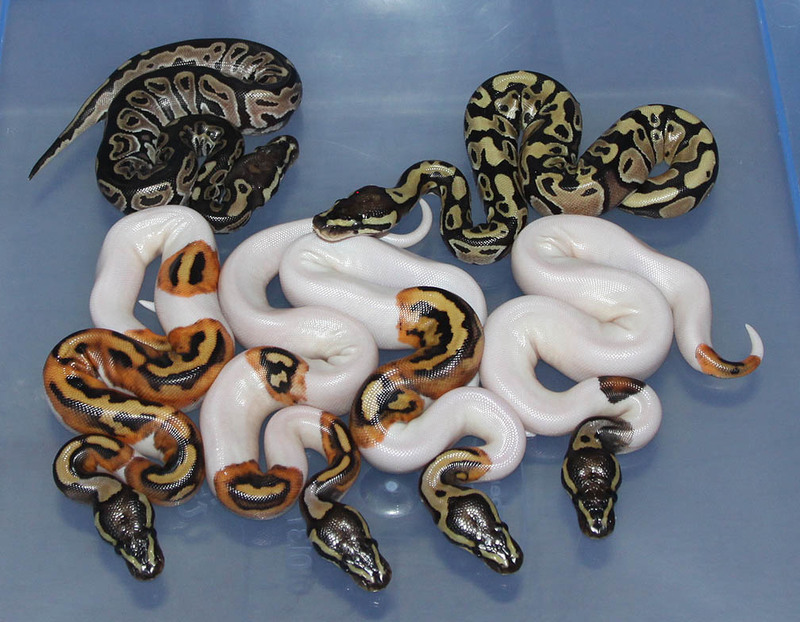 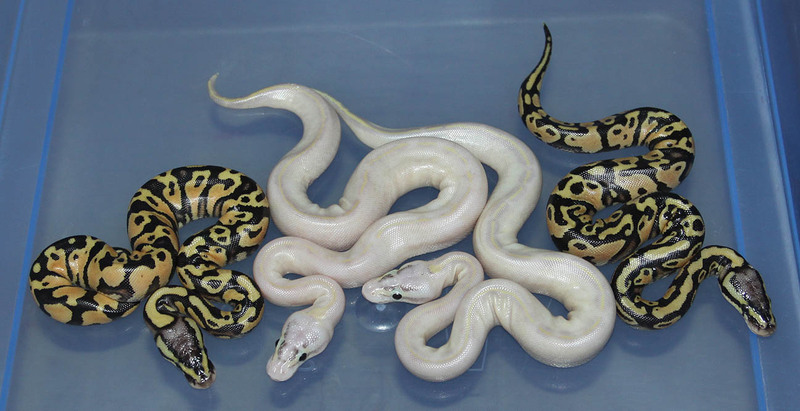 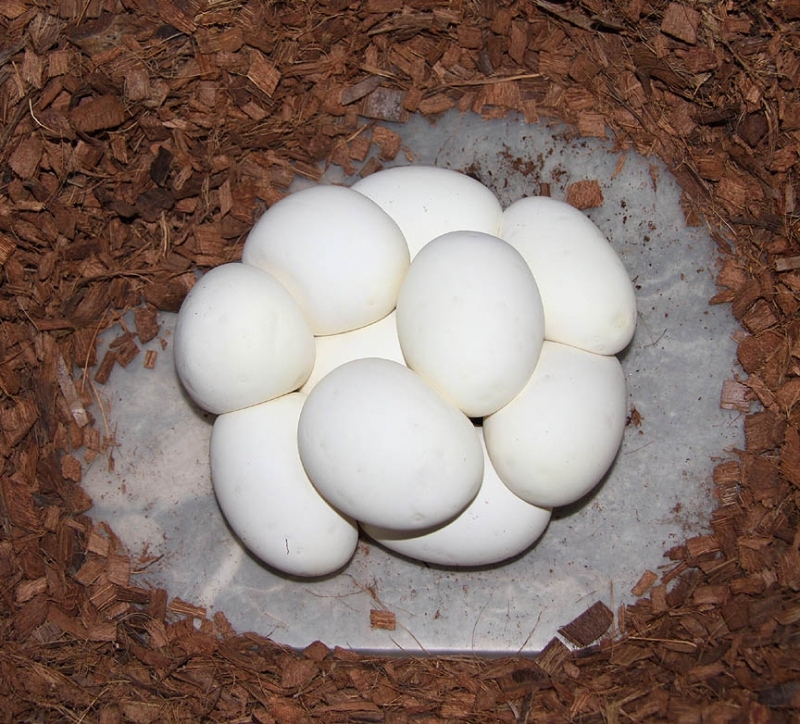 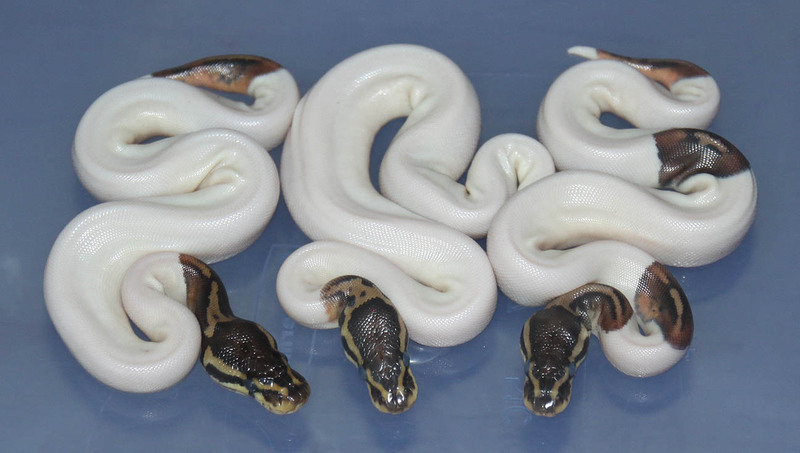 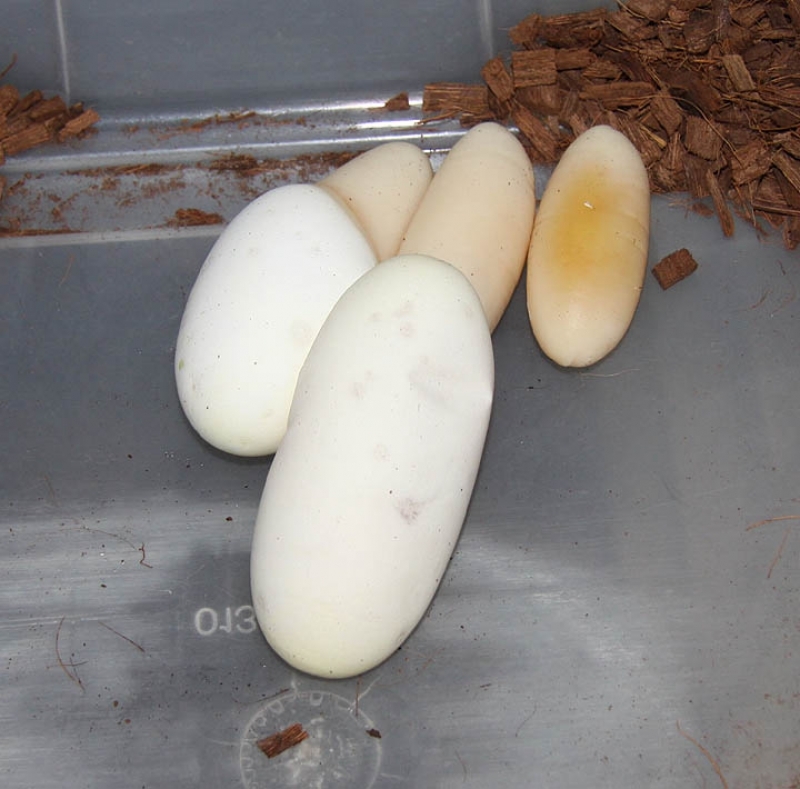 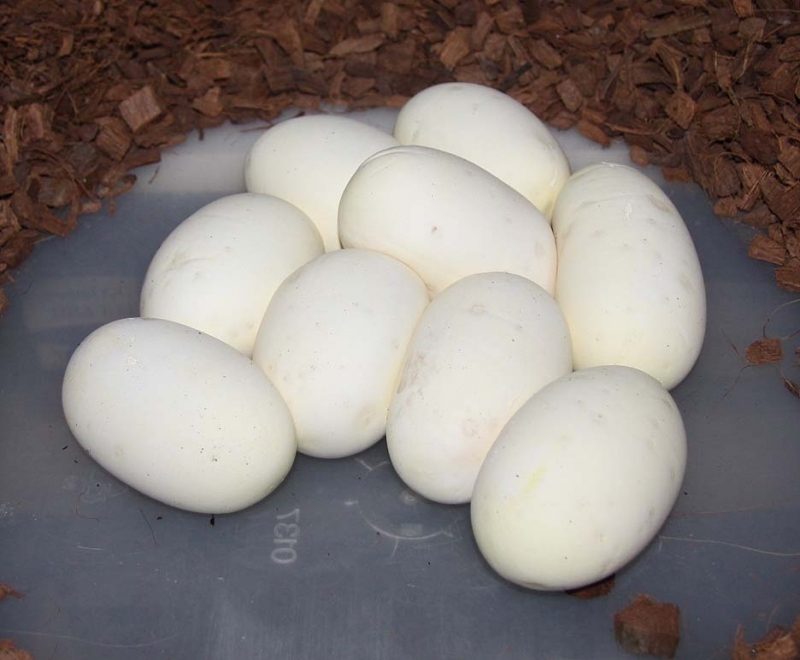 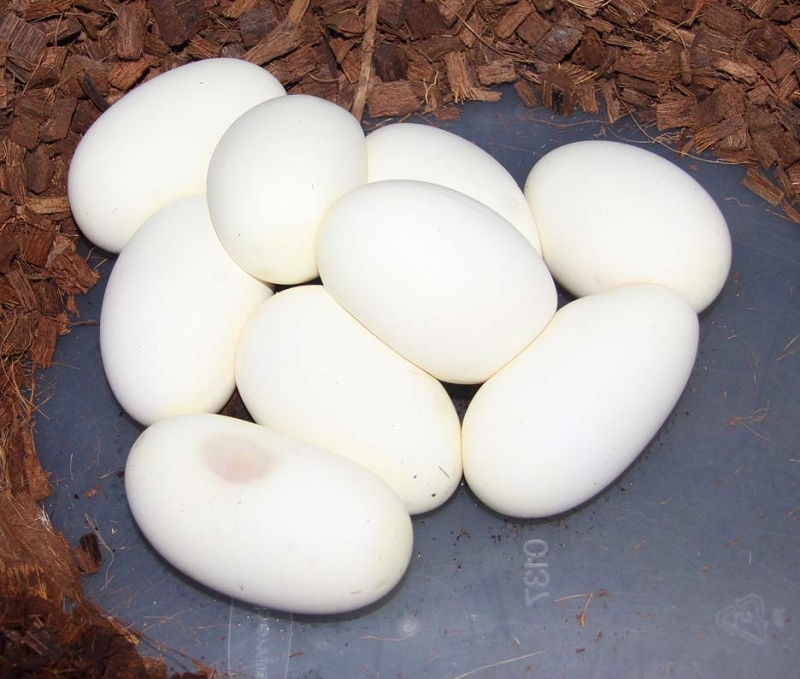 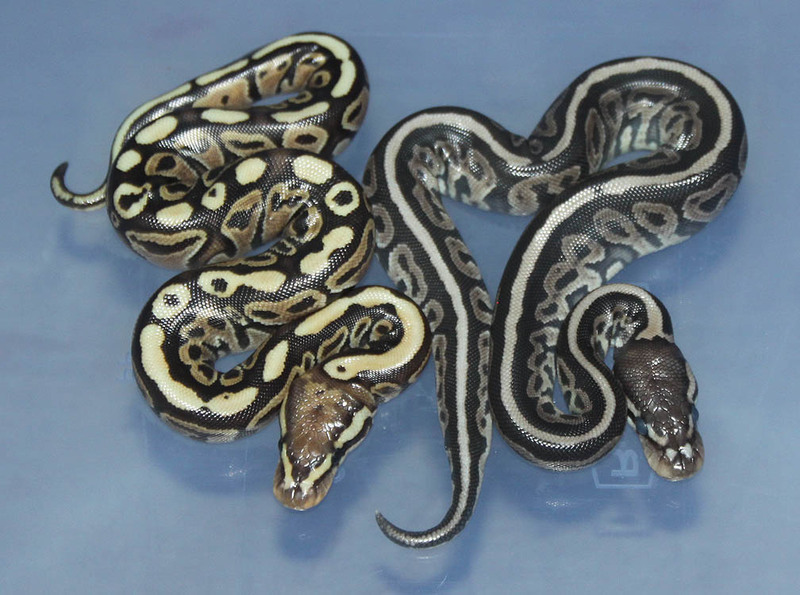 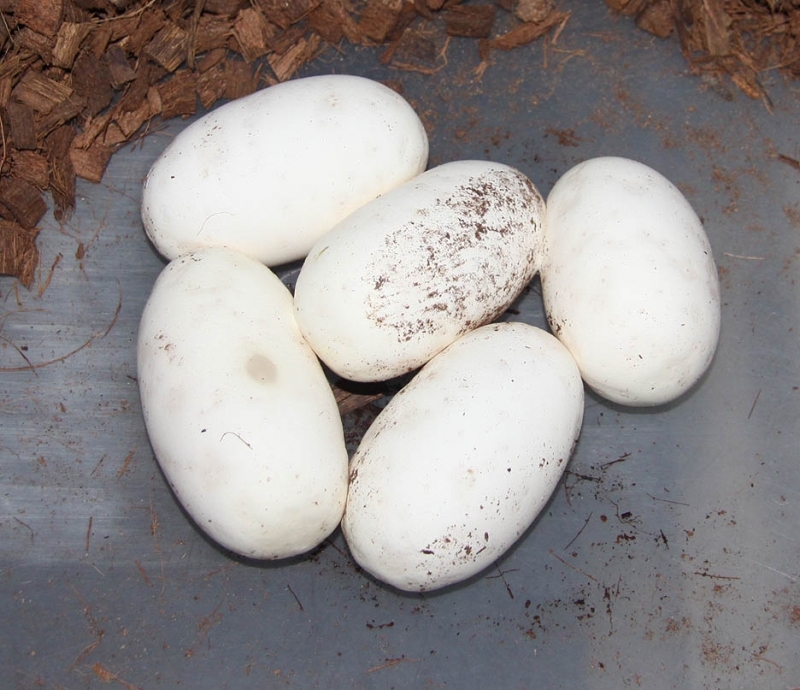 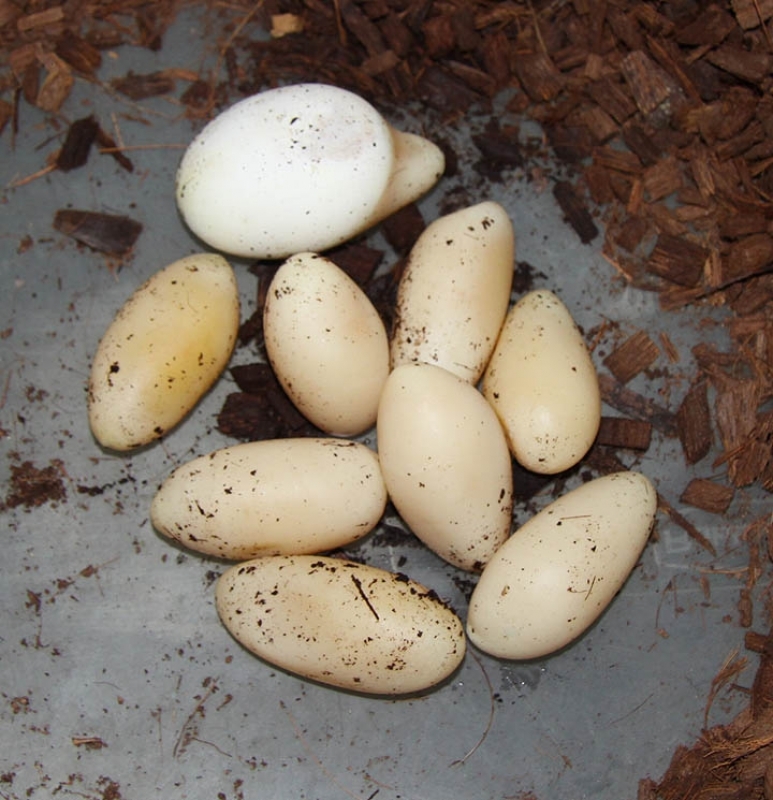 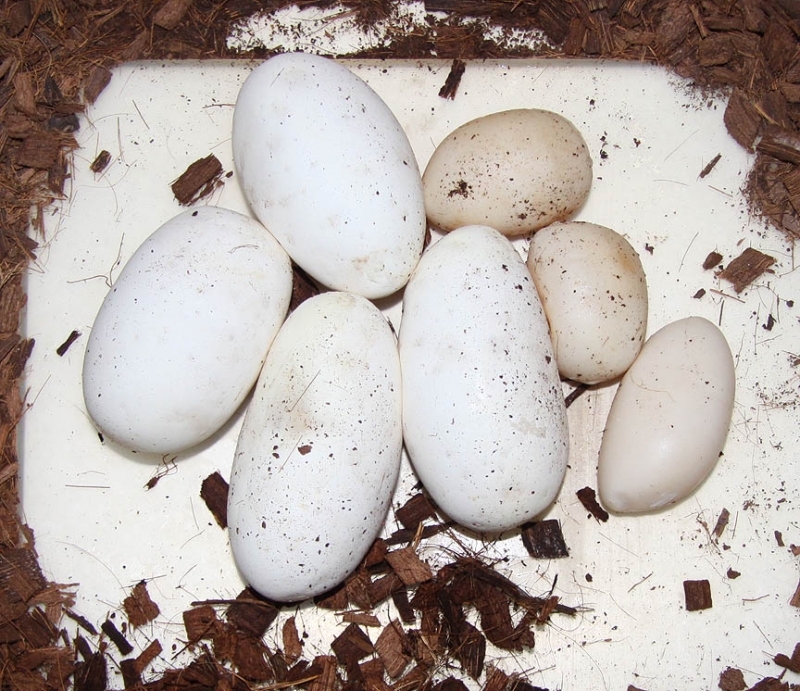 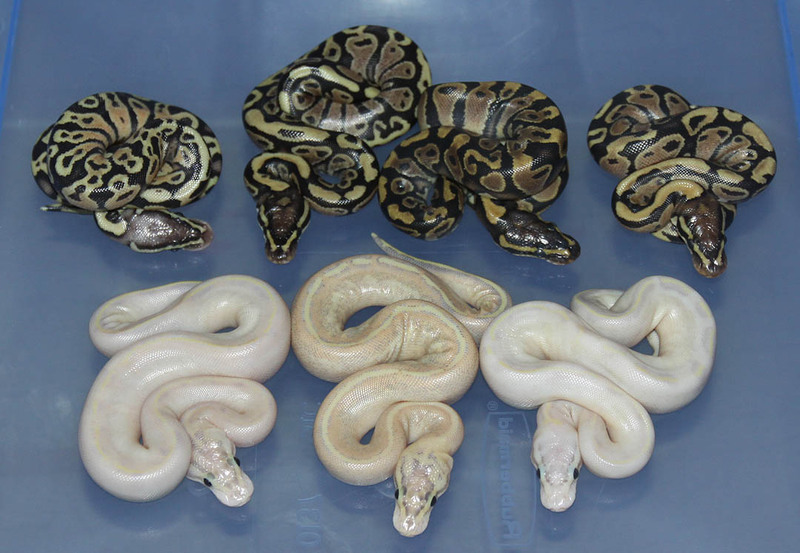 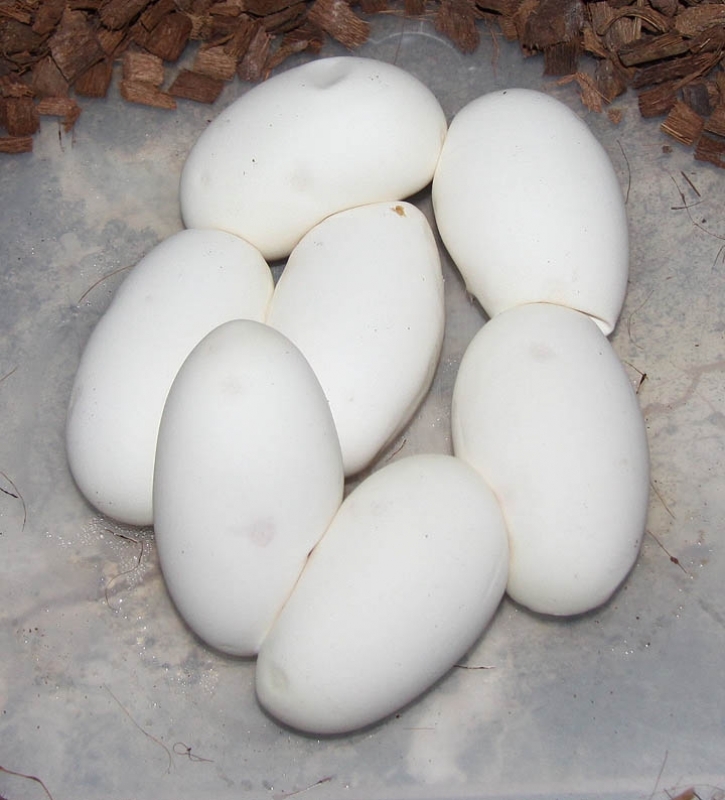 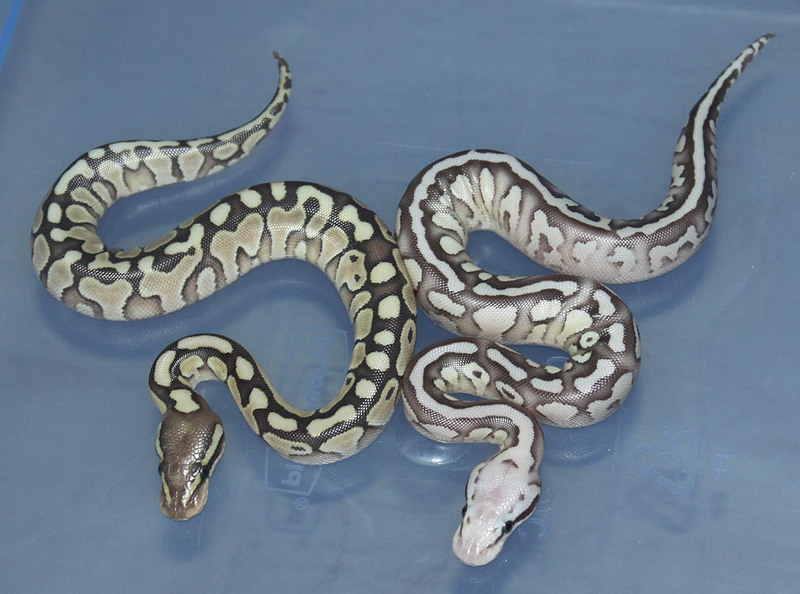 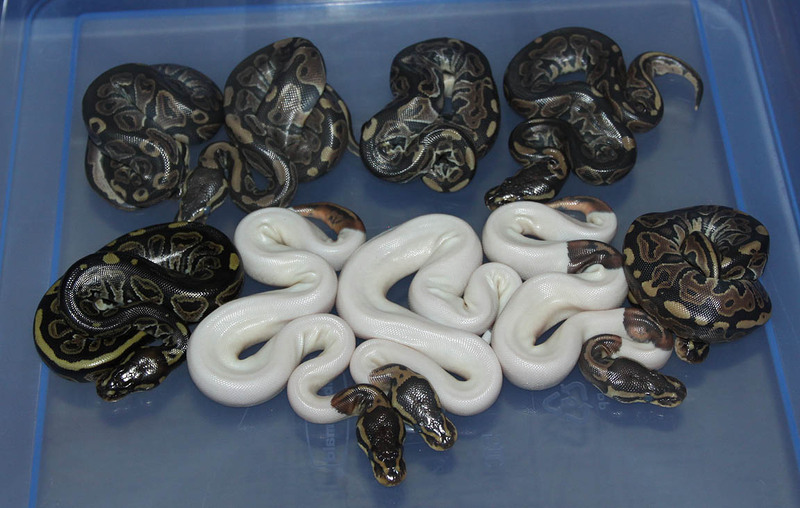 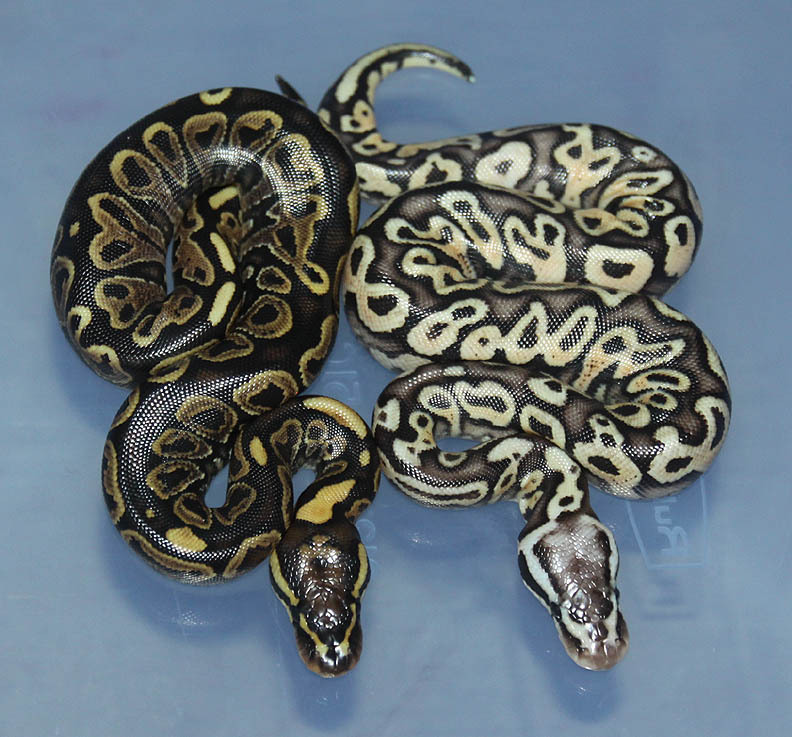 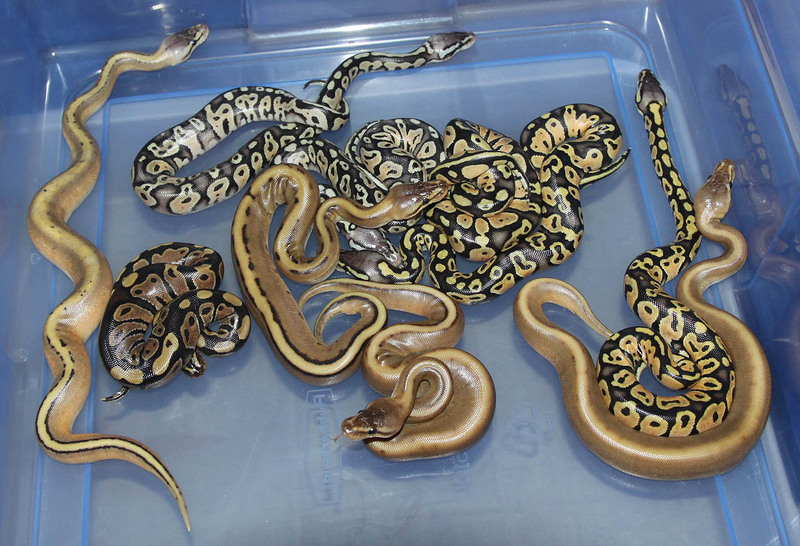 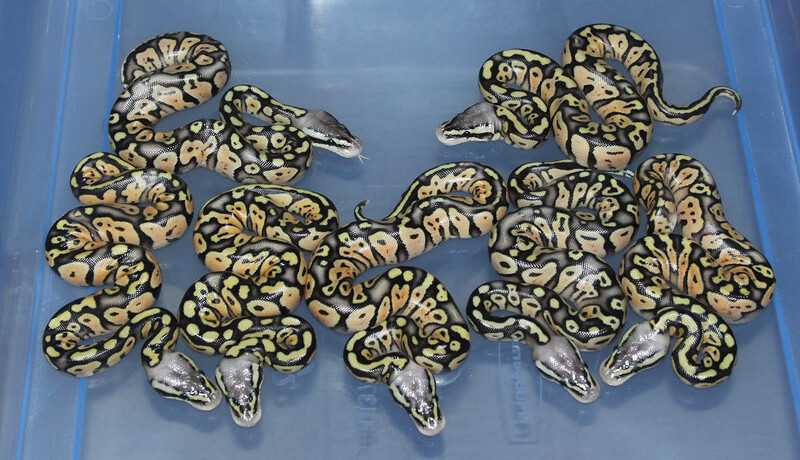 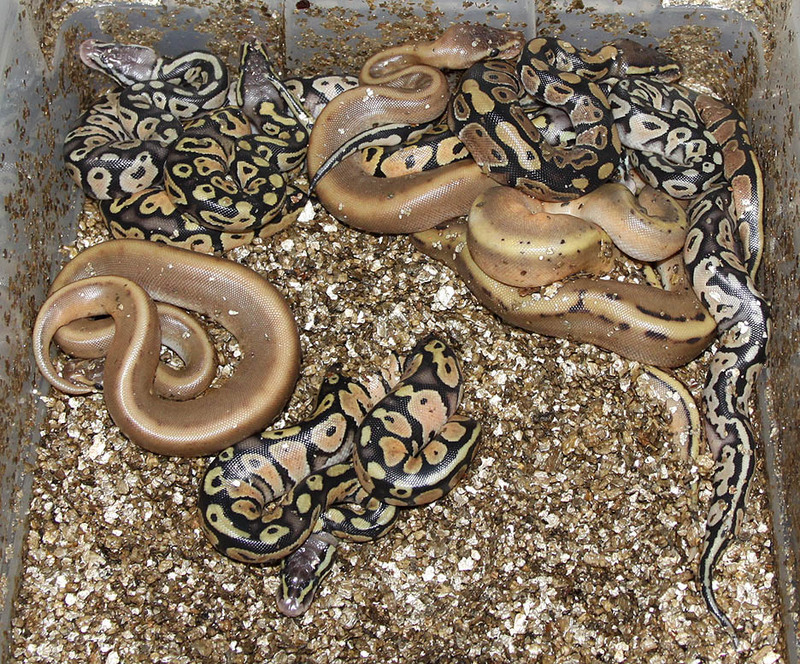 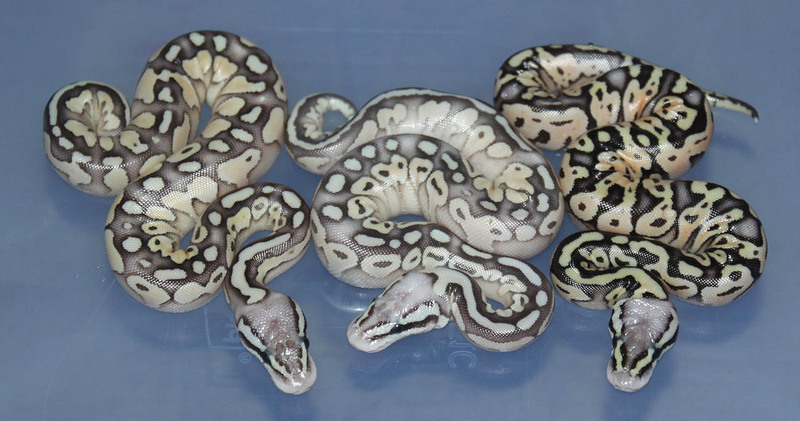 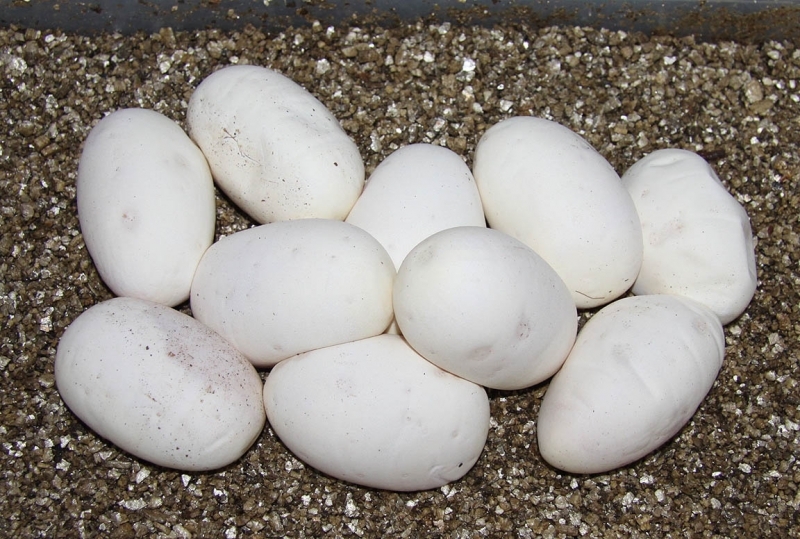 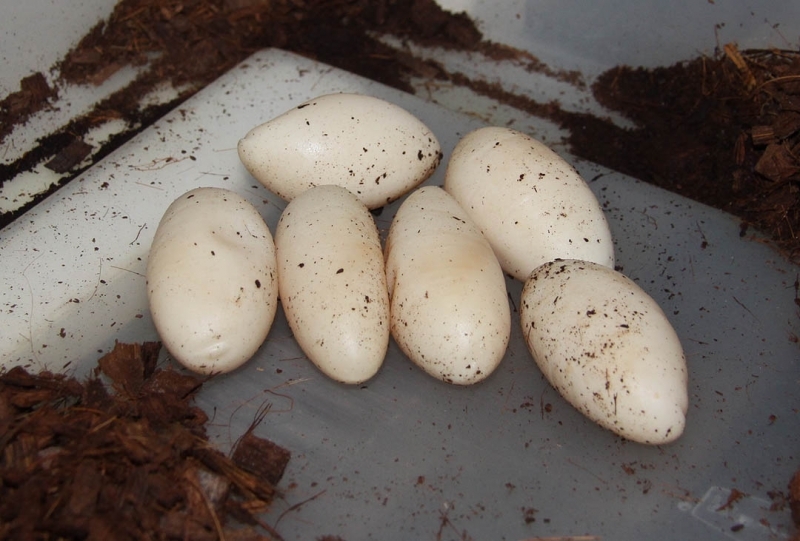 Description: Citrus Puma 2/11 & 1/11 & Pastel Lesser Red Axanthic PHGG 1/11 x Pastel Lesser Het RA 2/10. 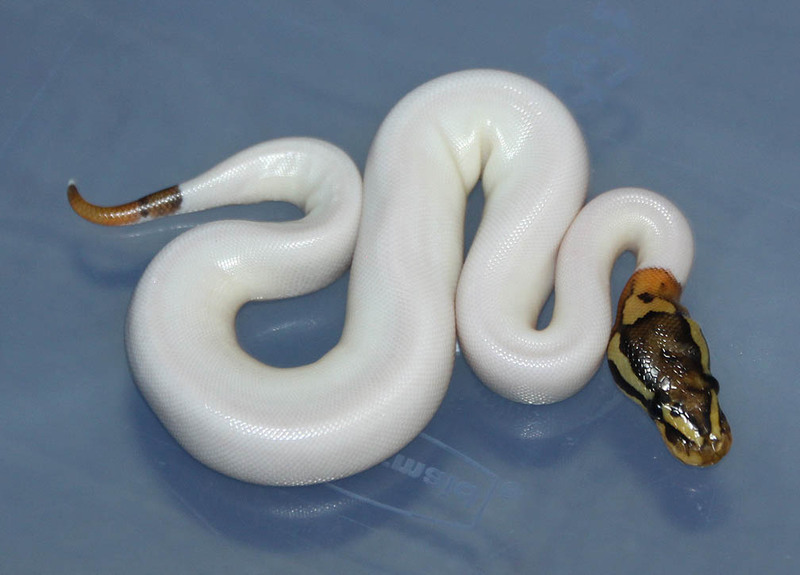 Description: Lesser Banded 1/10 x Banded 1/06. 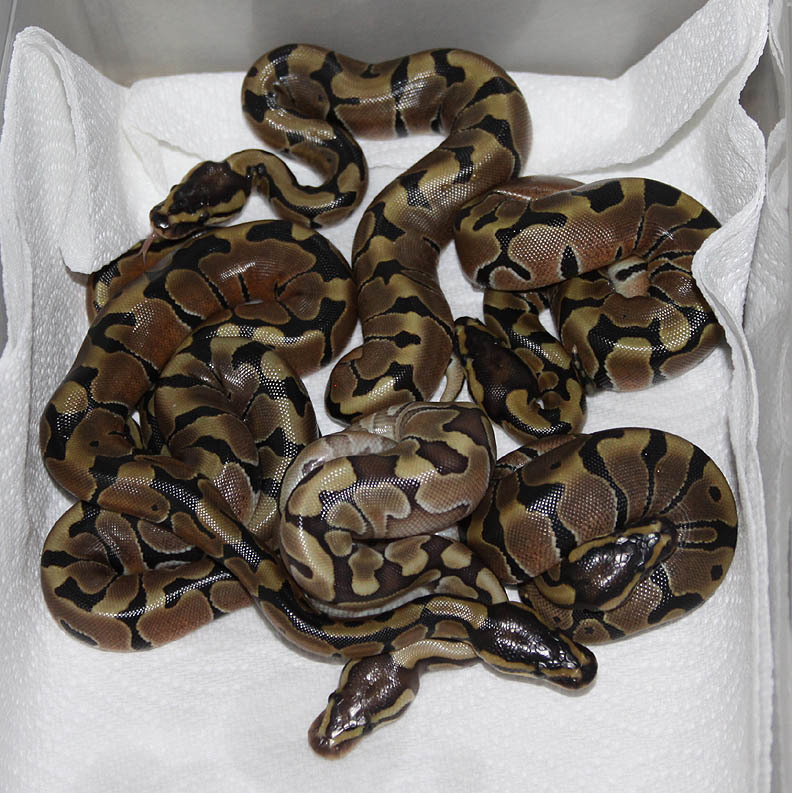 Description: Orange Ghost Pos Het GS 1/10 x Het GS 2/06. 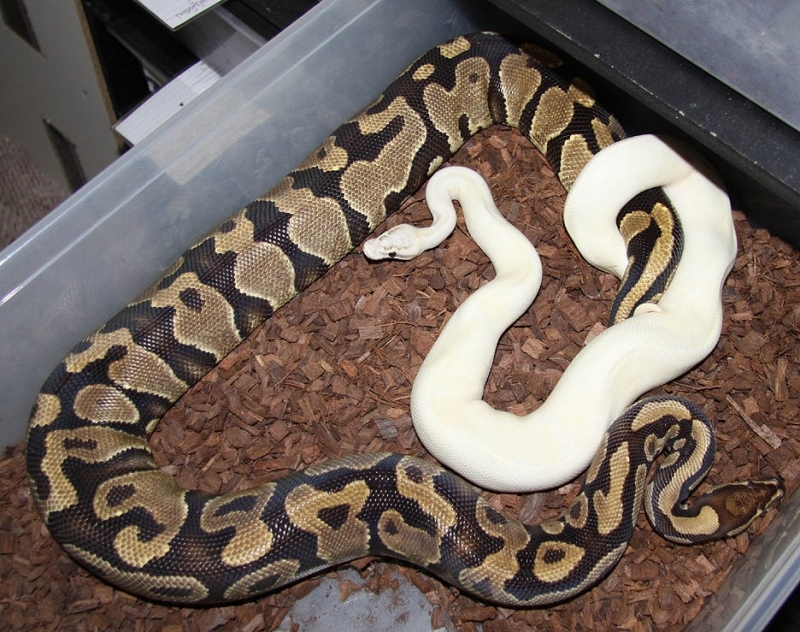 Description: POGL (Orange) 1/09 x Mutation X Het Orange Ghost 1/11. 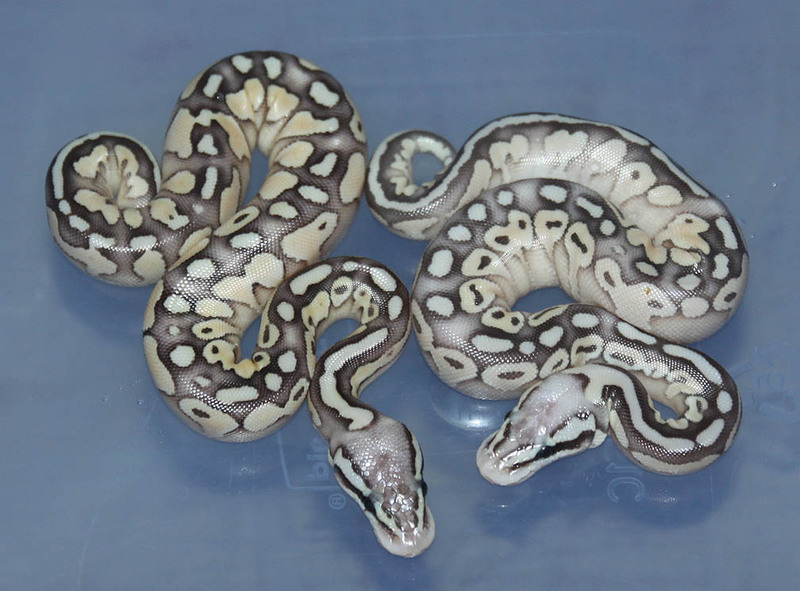 The Mutation X Orange Ghost combos are very nice!! 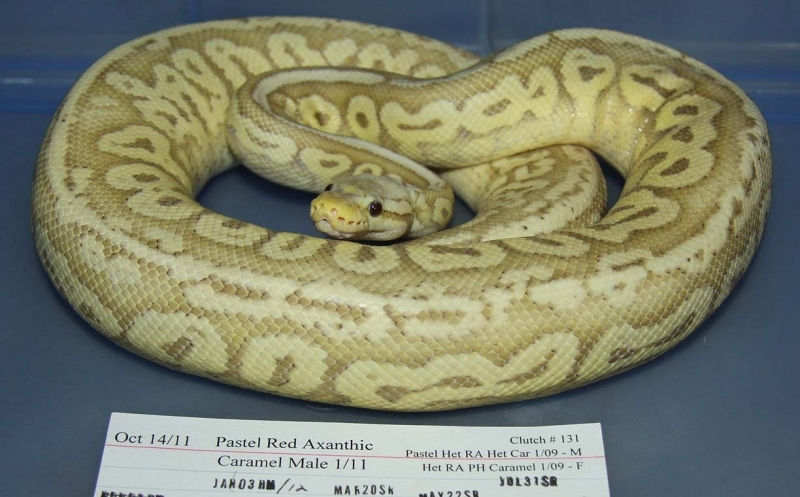 Description: Pastel Red Axanthic Caramel 1/11 x Het Caramel 1/09. 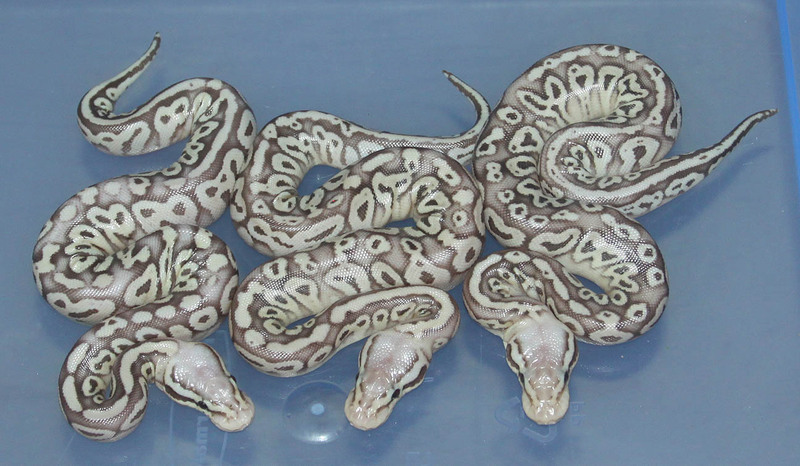 I really like the Caramels and their crosses!! 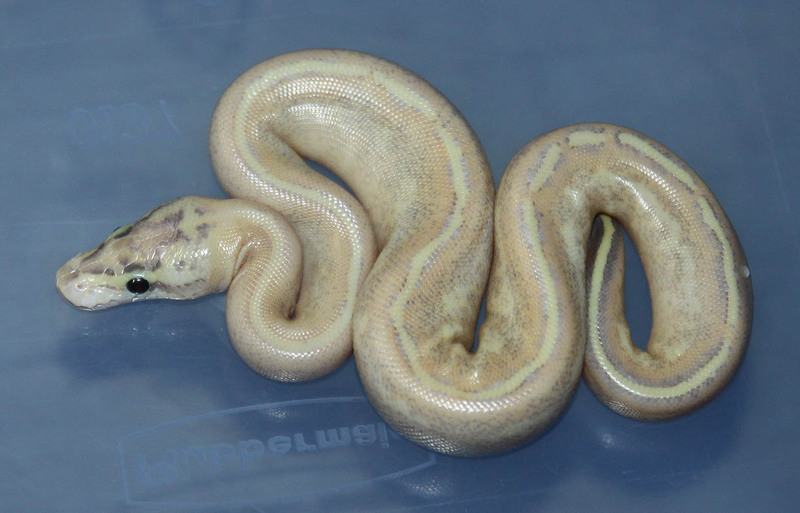 Description: Super Phantom 6/10 x Genetic Stripe "Weird Belly" 2/10. 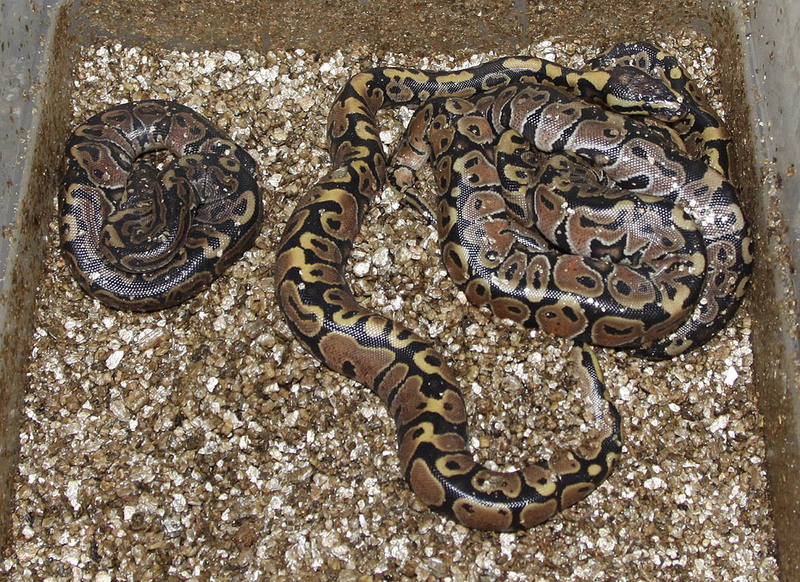 Description: Different Het RA 1/10 x Het RA 16/06. 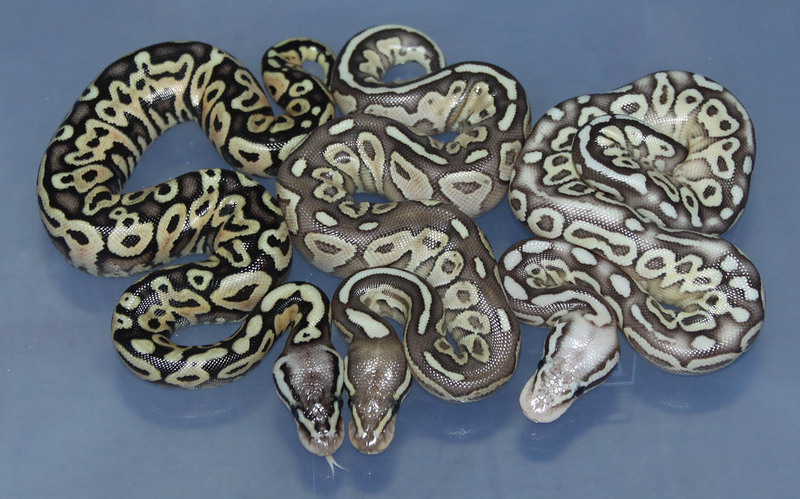 Description: Different Het RA 1/10 x Het RA 2/06. 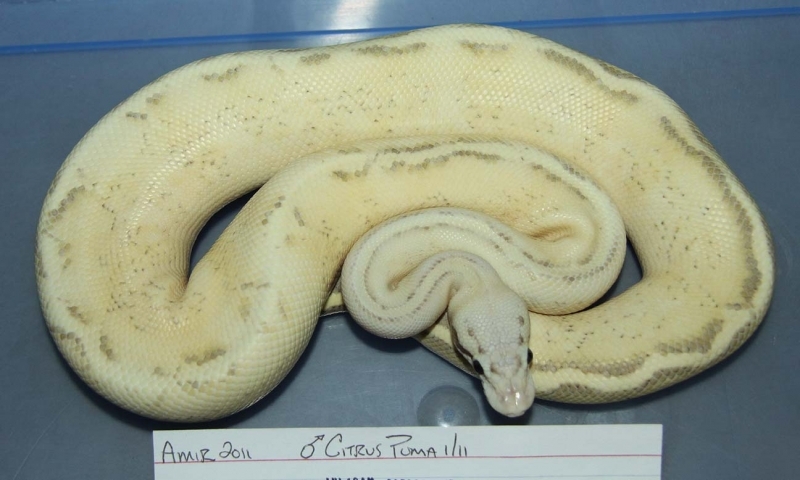 Description: SUMA 1/11 x Super Pastel "Weird" 1/06. 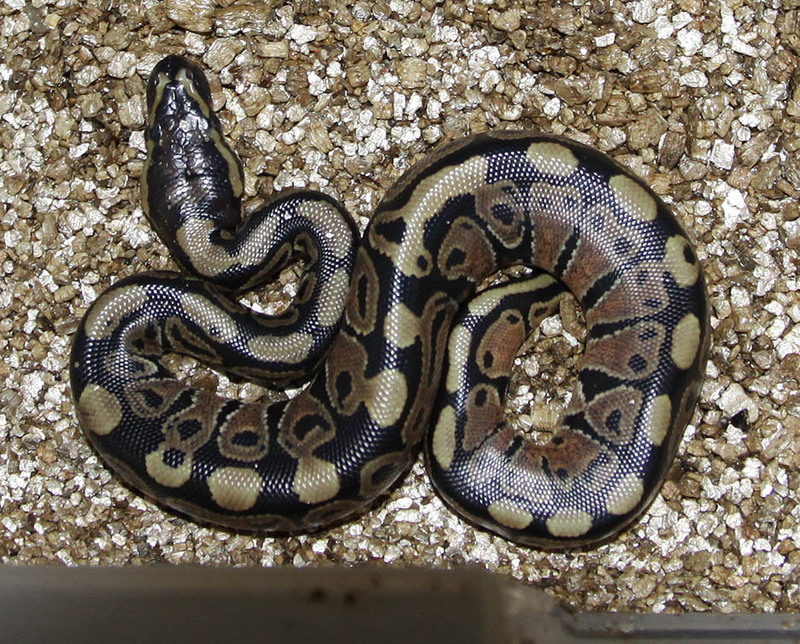 The Super Pastel female has another gene in her that I haven't named yet. 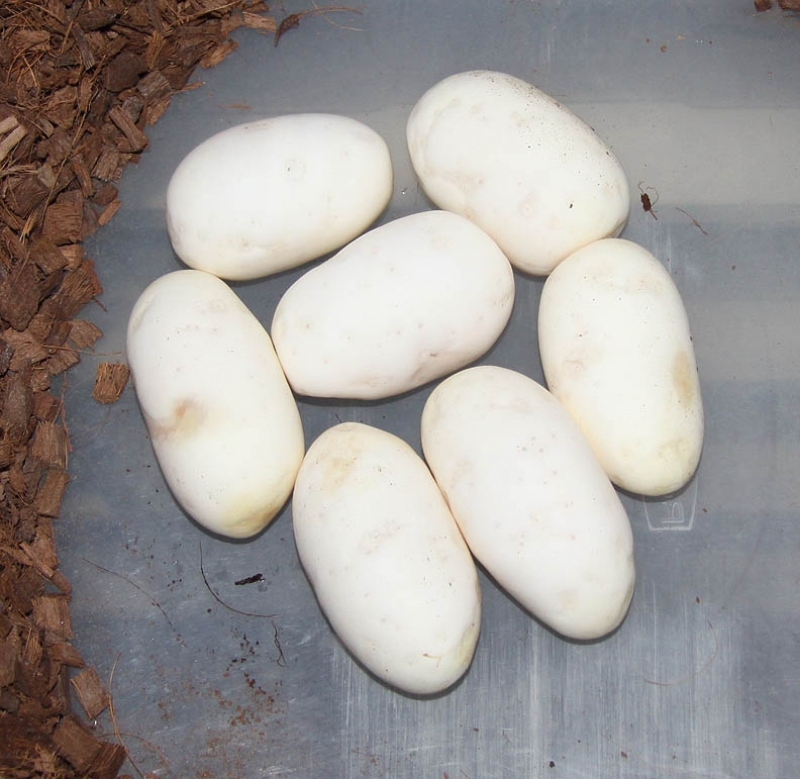 Description: Pastel Ivory 1/11 JW x HY YB 2/09. 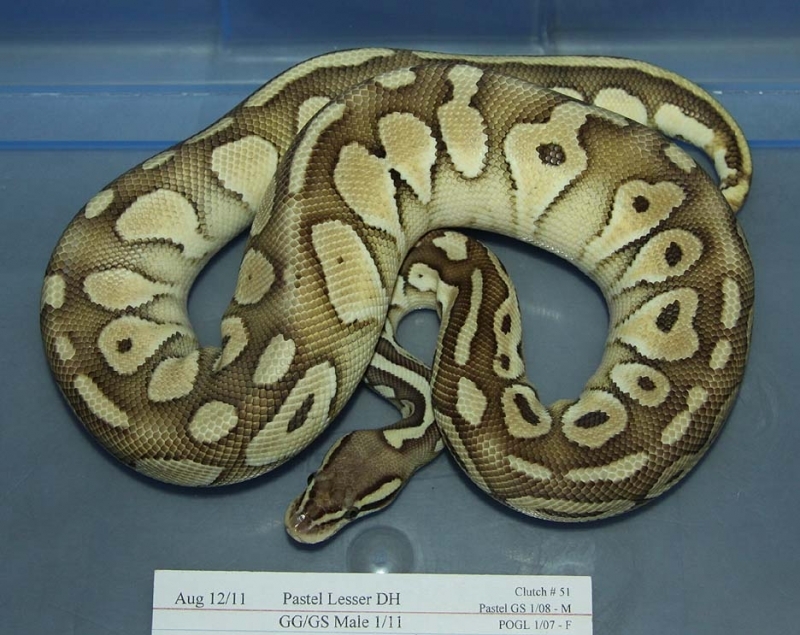 Description: Lesser Het RA Het GS 1/10 x Het GS 2/08. 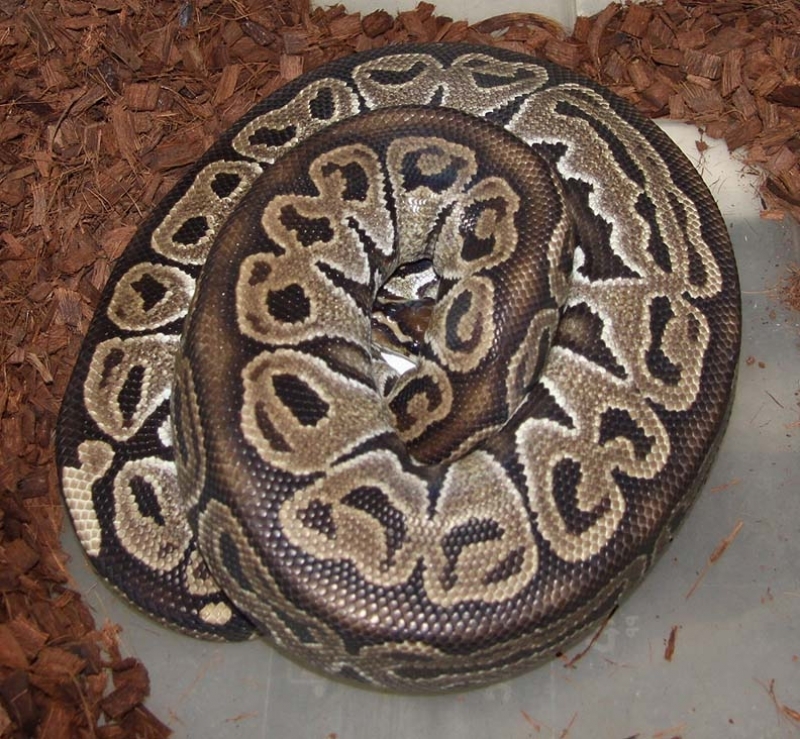 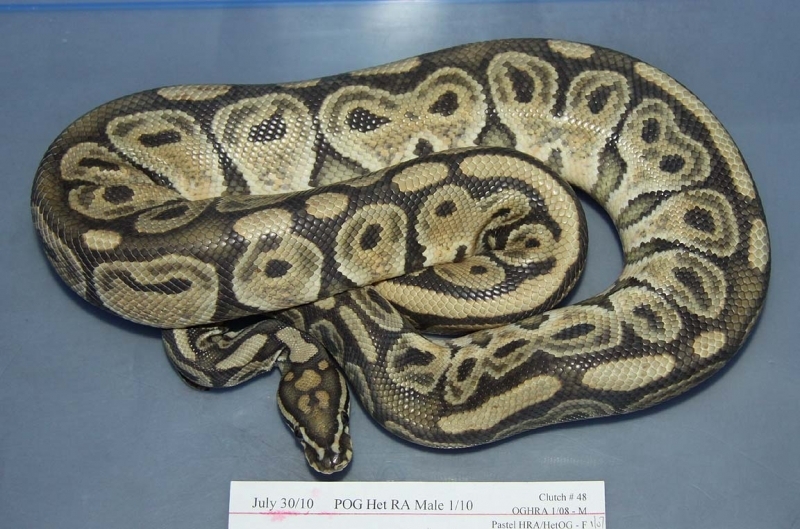 Description: POG Het RA 1/10 x Pastel Het RA Het OG 1/07. 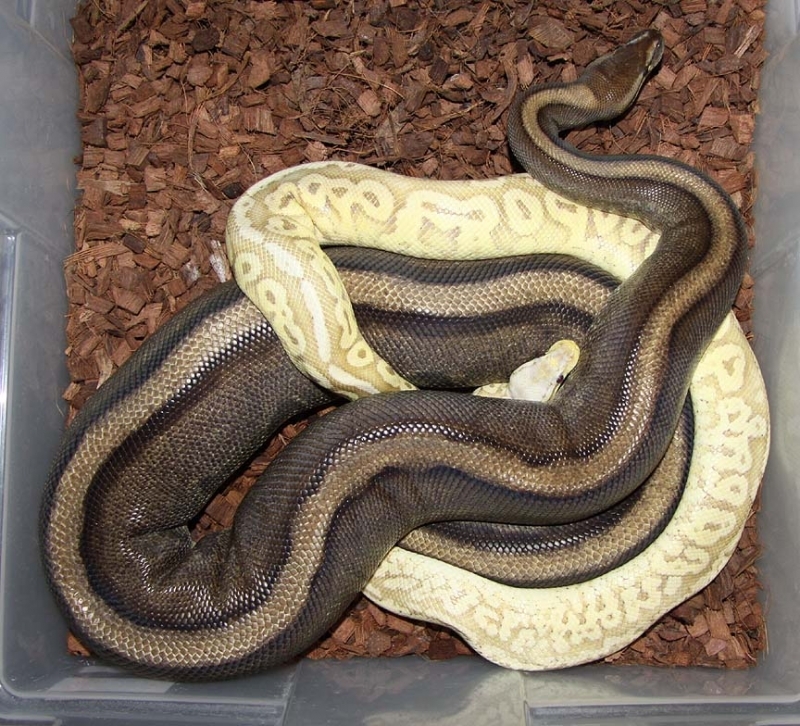 Description: Pastel Double Het Green Ghost/Genetic Stripe 1/11 x Pastel Lesser Double Het Green Ghost/Genetic Stripe 2/10. 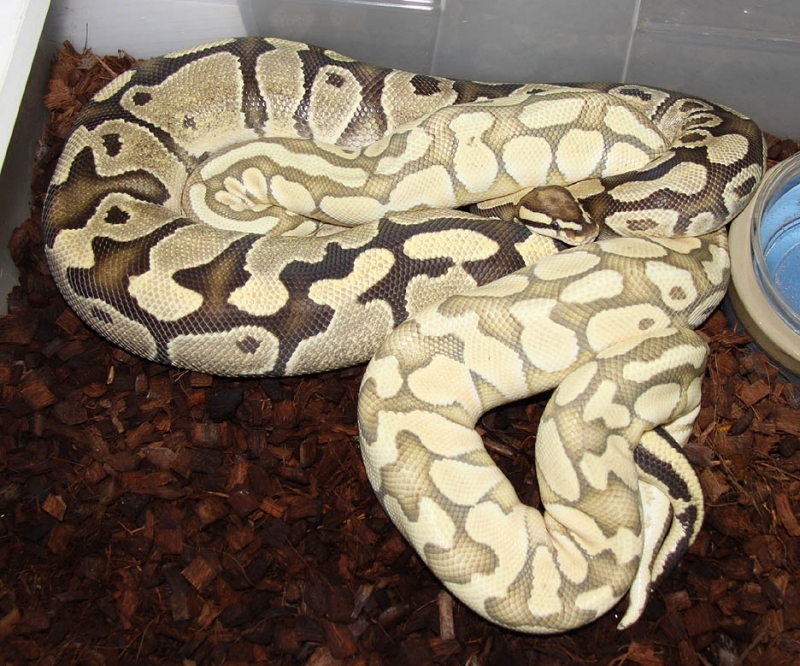 Description: Split Neck 1/06 x Het Split Neck 1/09. 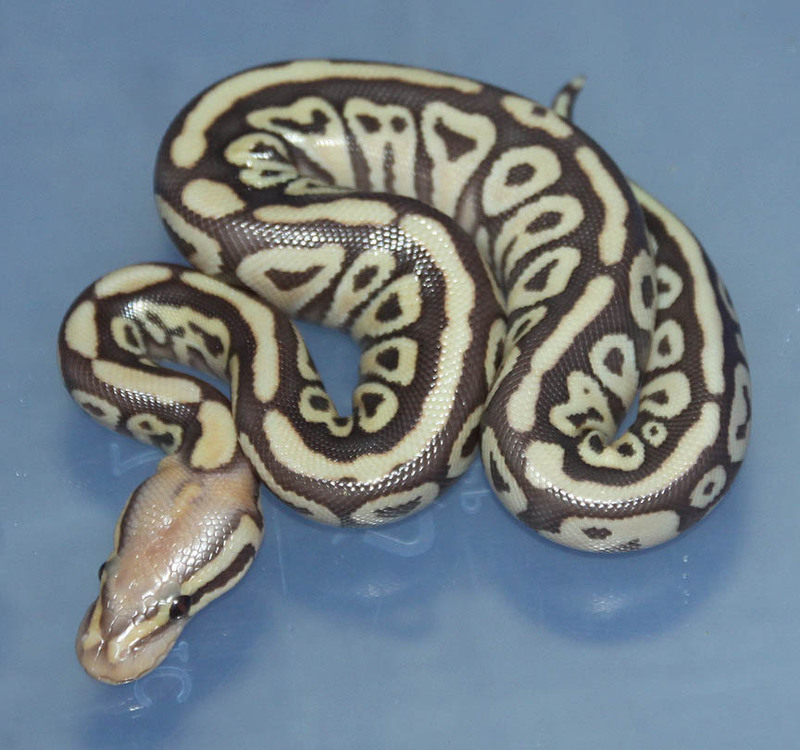 Description: Pastel Genetic Stripe Het RA 3/11 x Pastel Het GS 2/07. 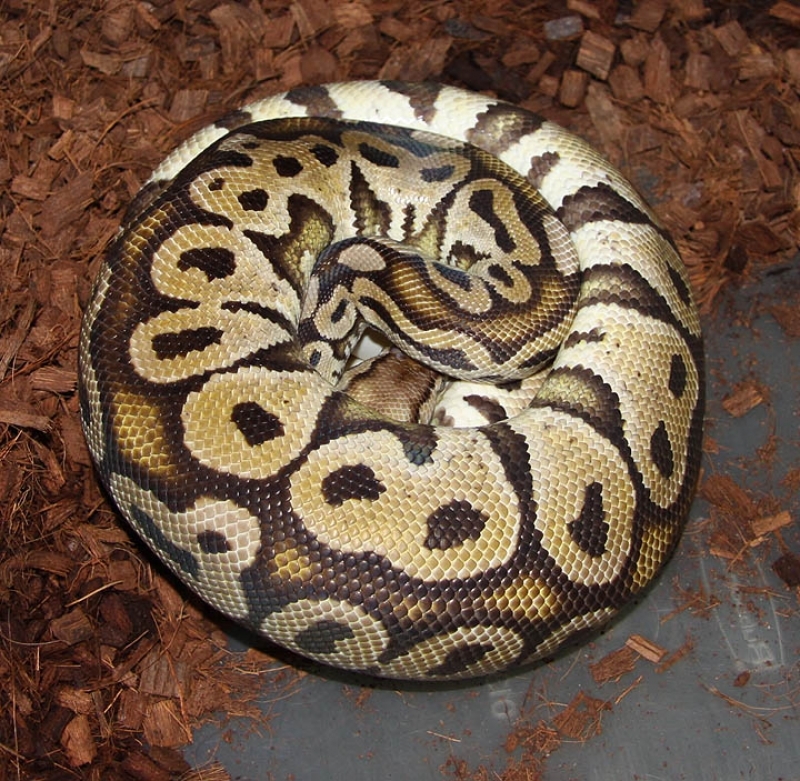 Description: Pied 1/06 "Russell" x Het RA Het Pied 2/10. 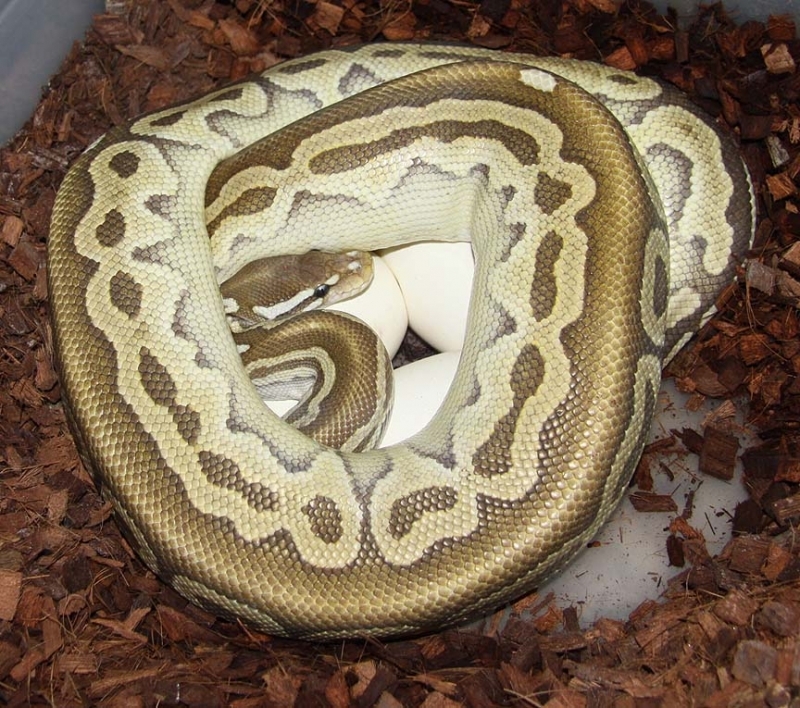 Description: Pastel Lesser Double Het Green Ghost/Genetic Stripe 1/11 x Pastel Double Het Green Ghost/Genetic Stripe 2/11. 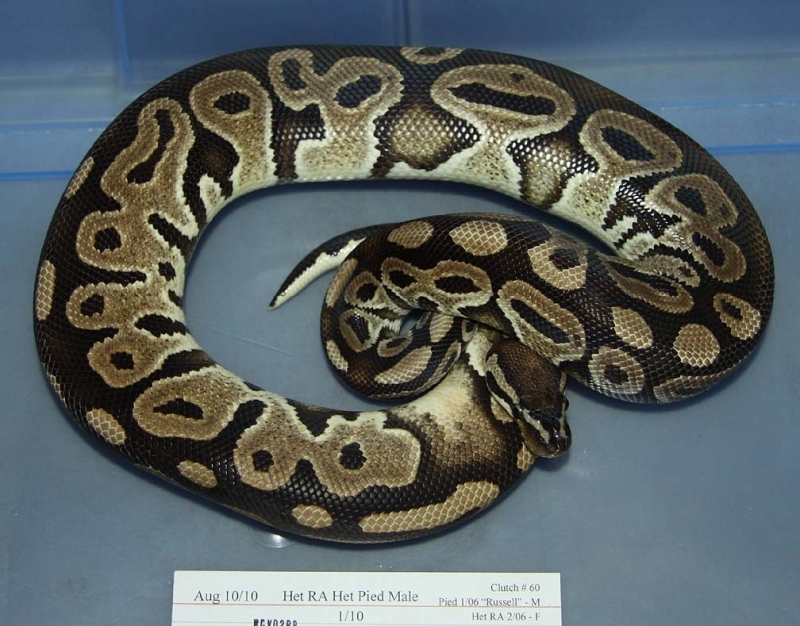 Description: Het RA Het Pied 1/10 x Het RA Het Pied 10/10.